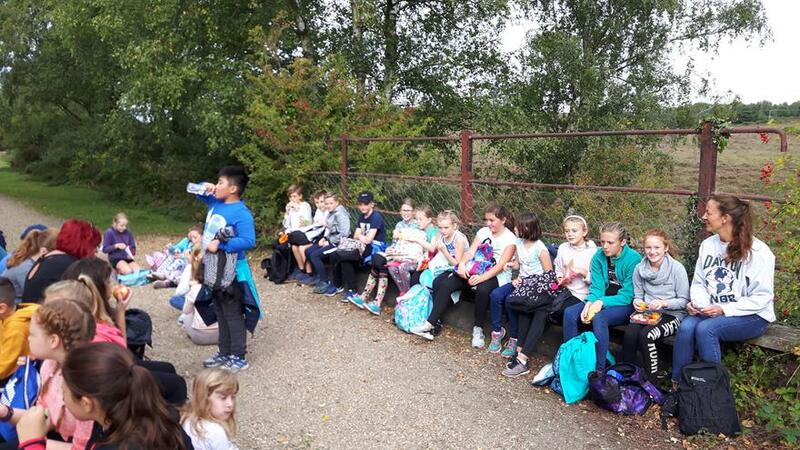 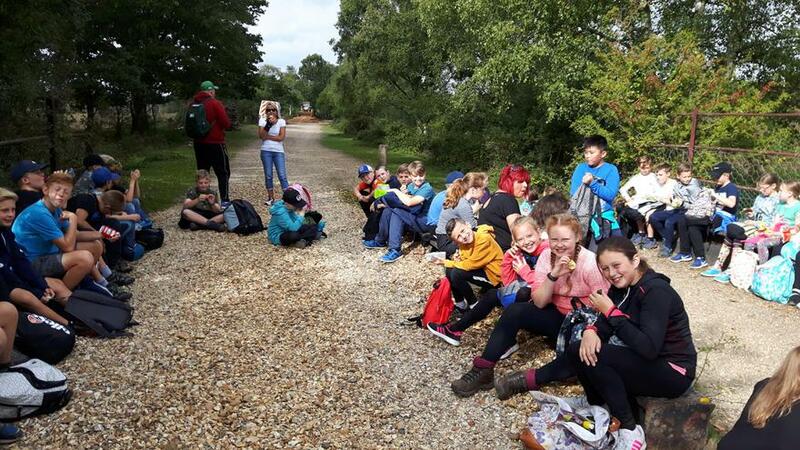 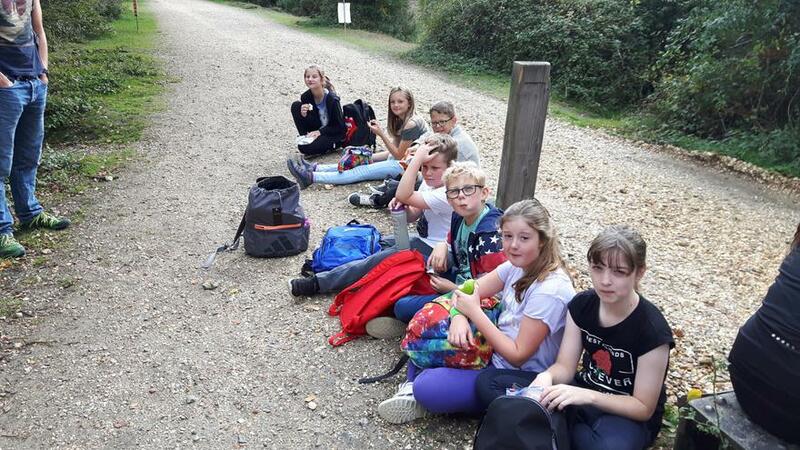 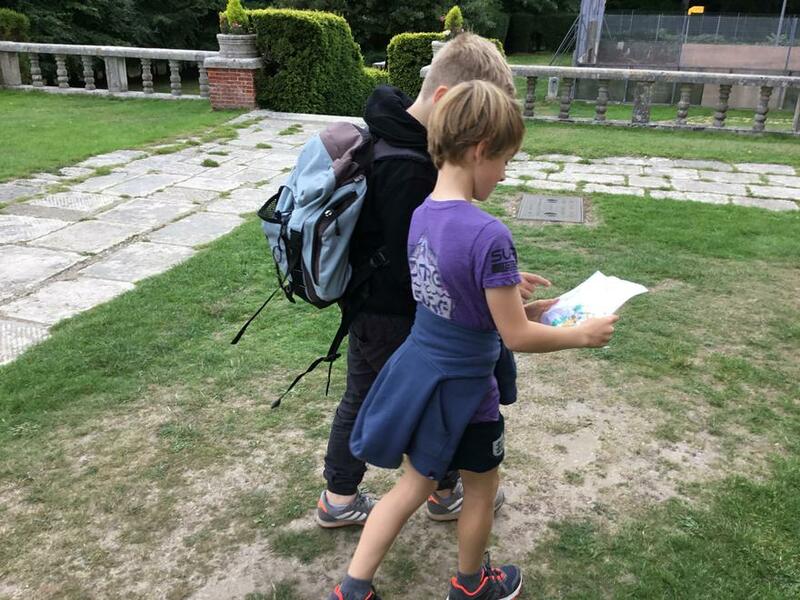 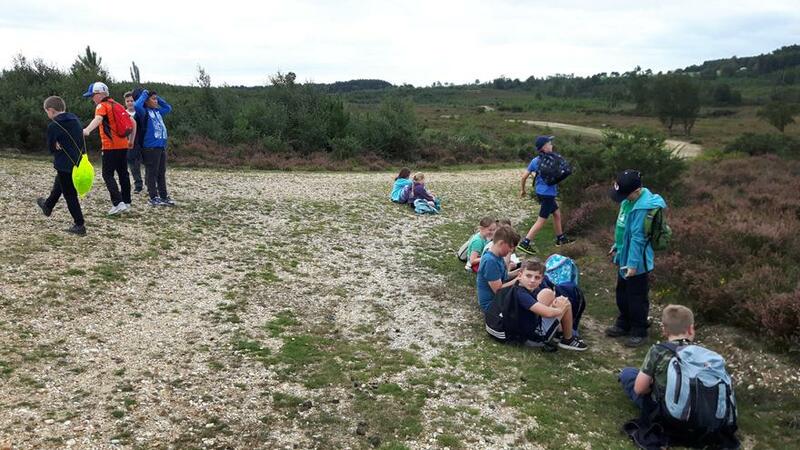 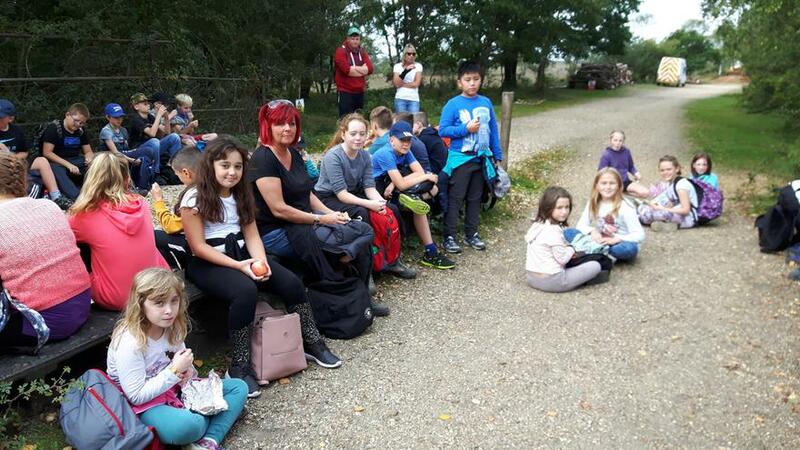 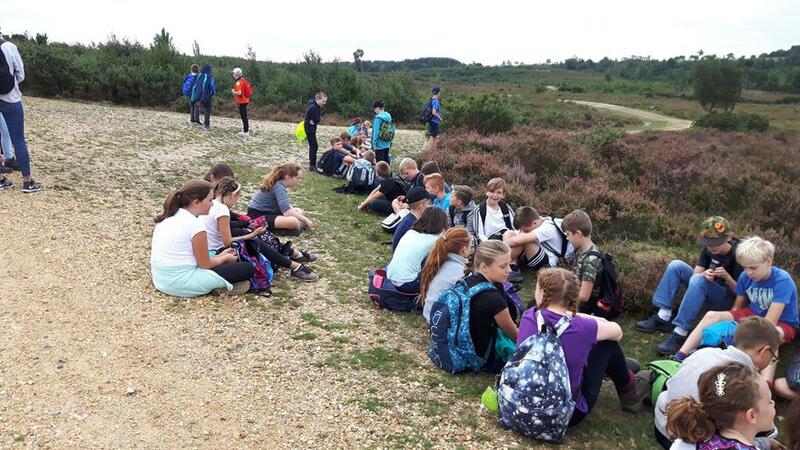 After a great walk of 7.5km with Mrs Kolbucaj repeatedly telling the children that Avon Tyrell was 'around the corner....just not the next corner' , we arrived safely at Avon Tyrell. 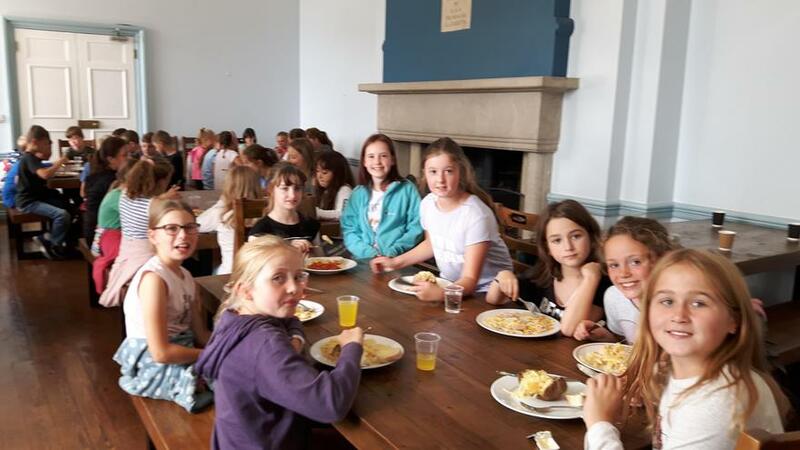 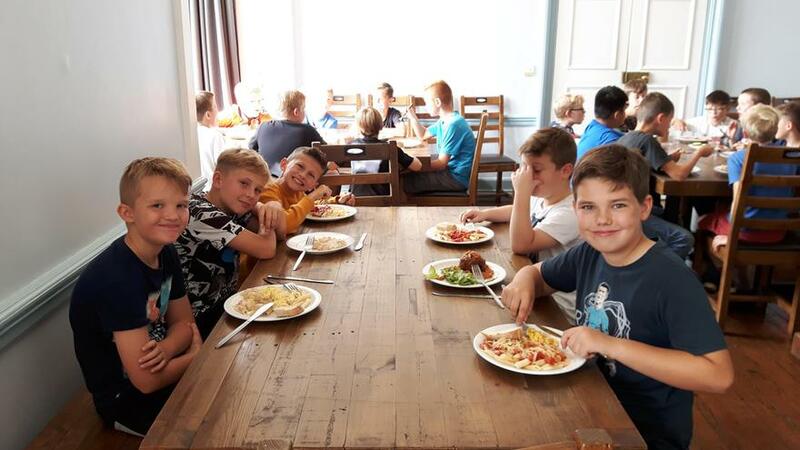 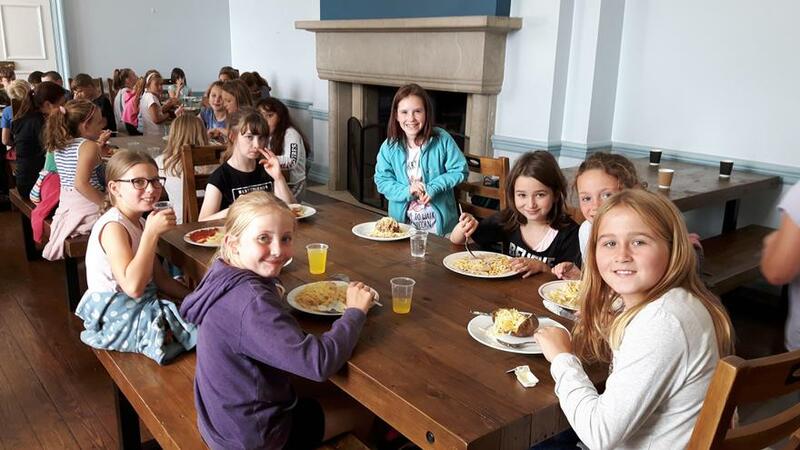 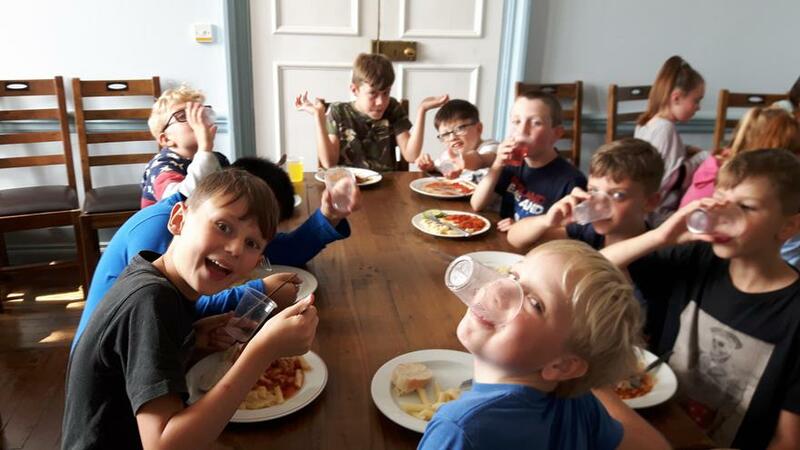 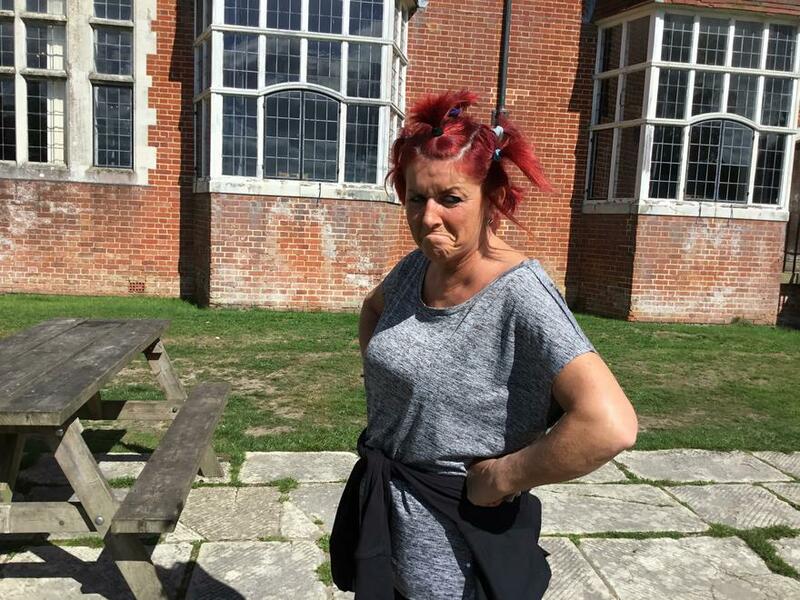 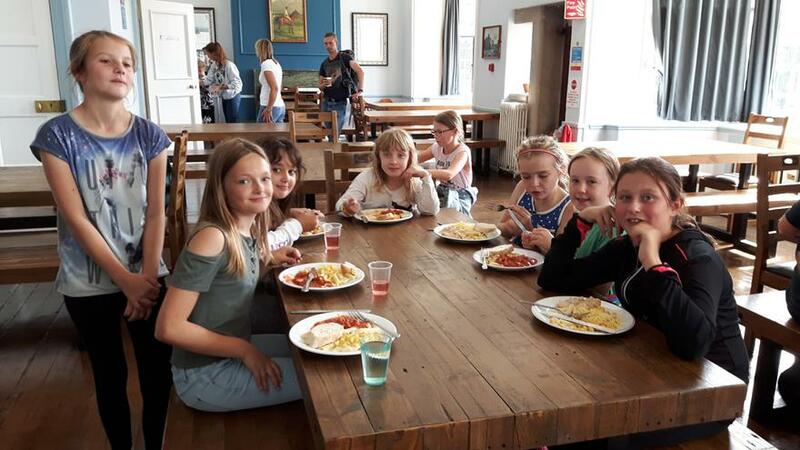 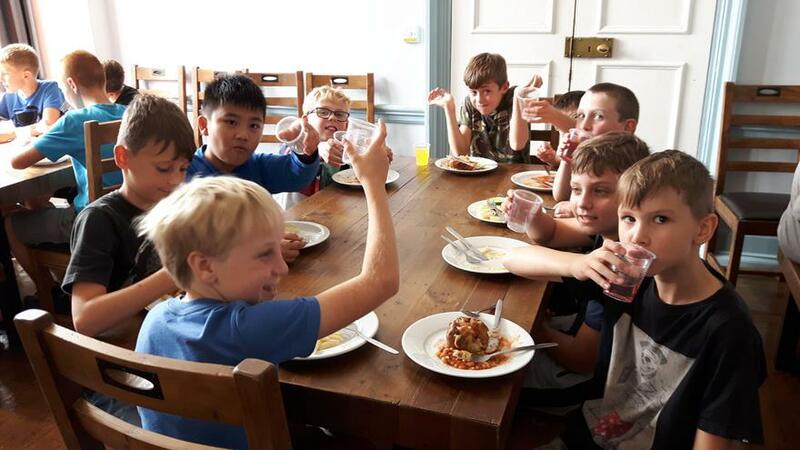 Lunch was eaten with no complaints especially as the children were ravenous! 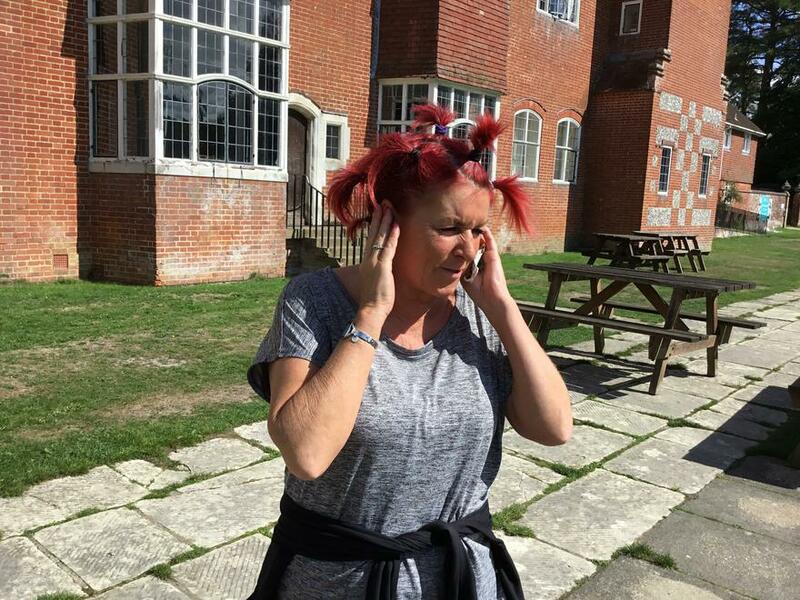 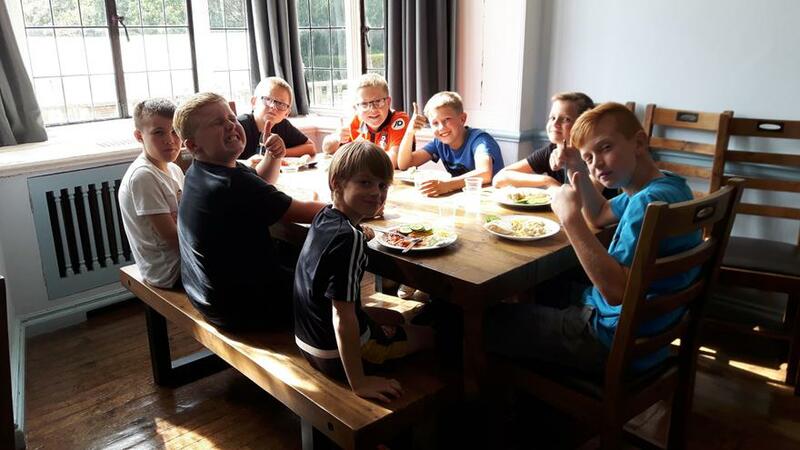 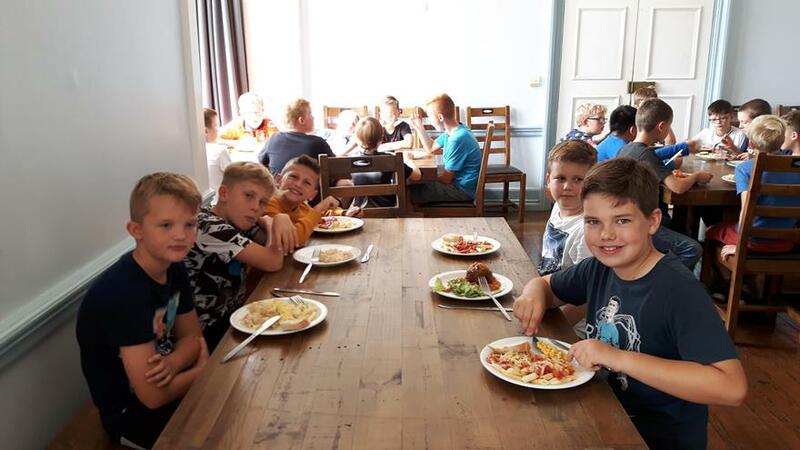 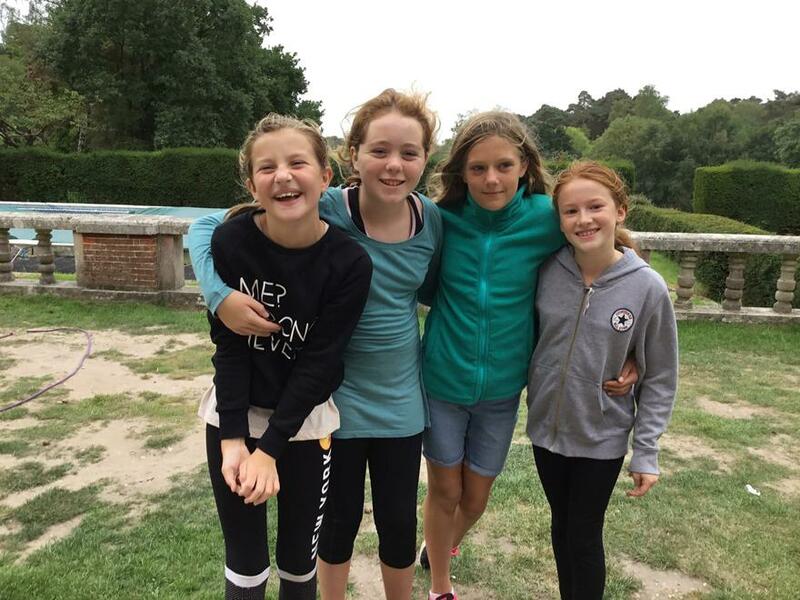 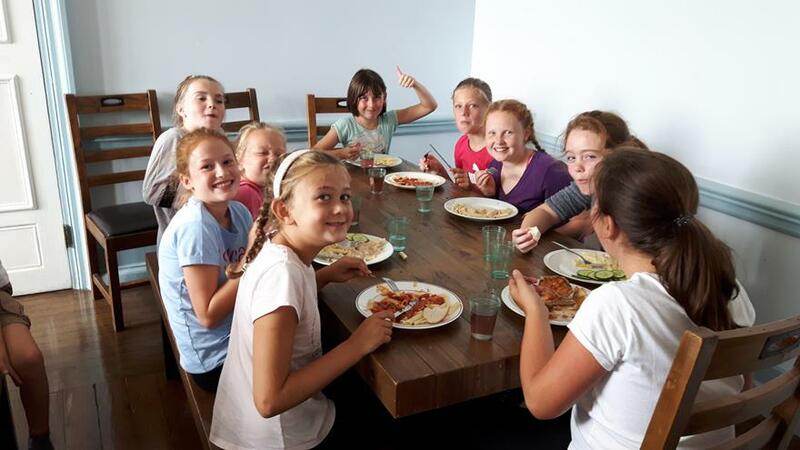 Rooms were greeted with great excitement and ALL children are happily settled. 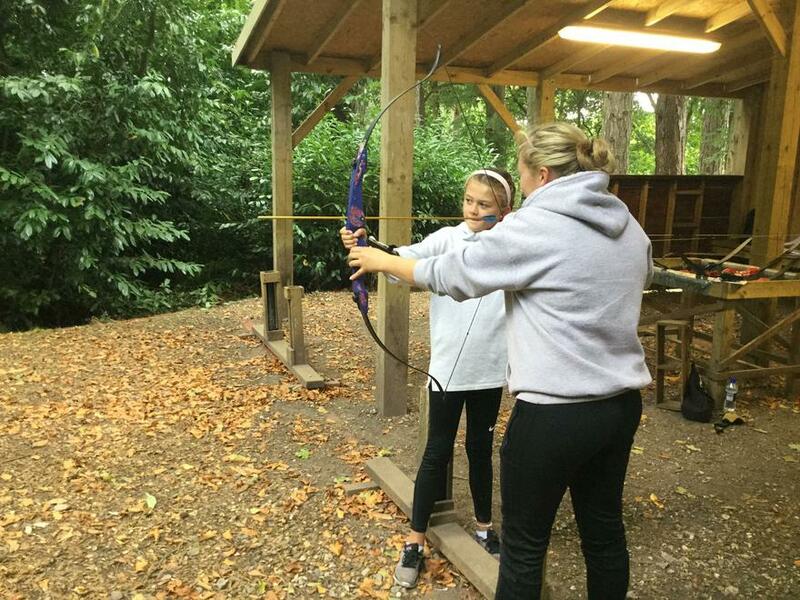 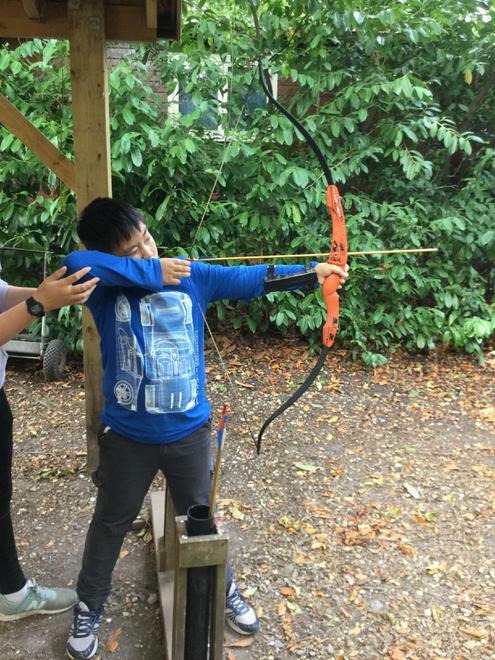 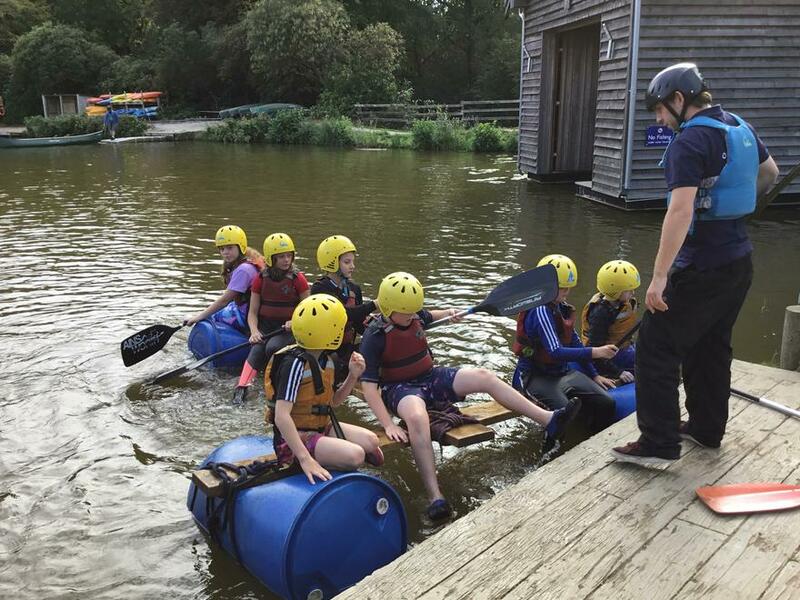 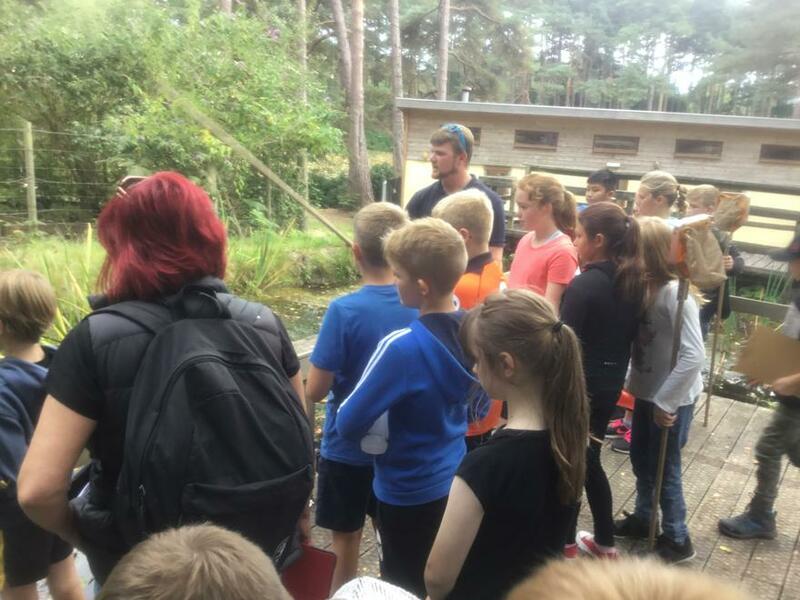 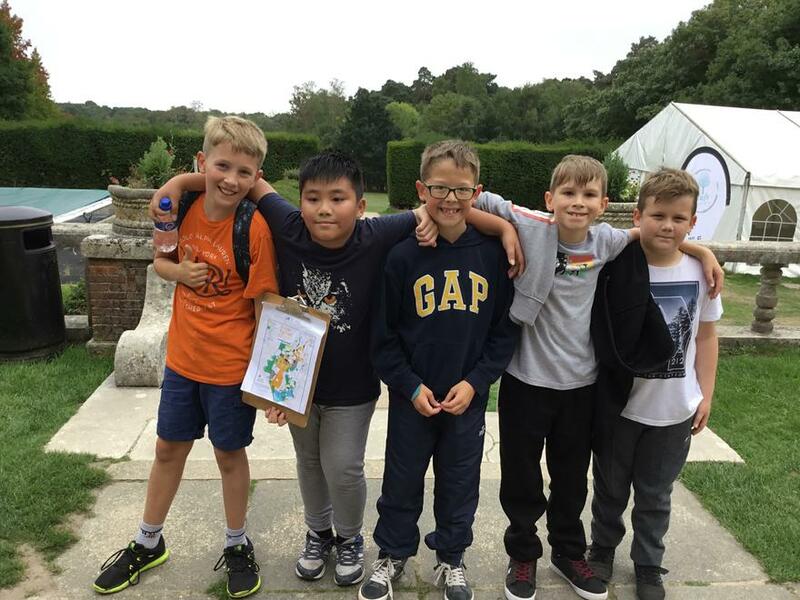 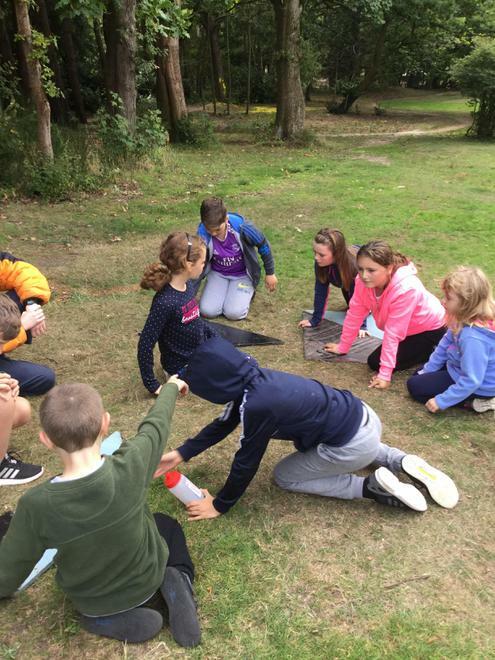 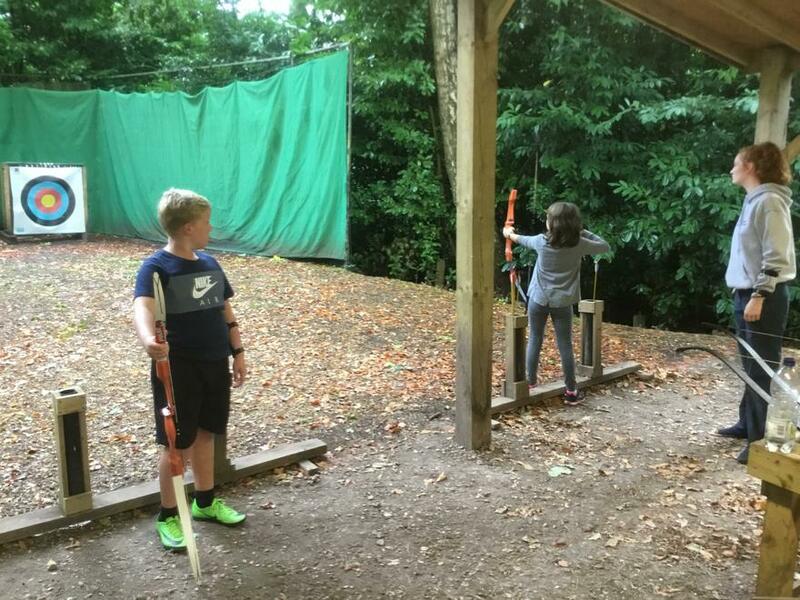 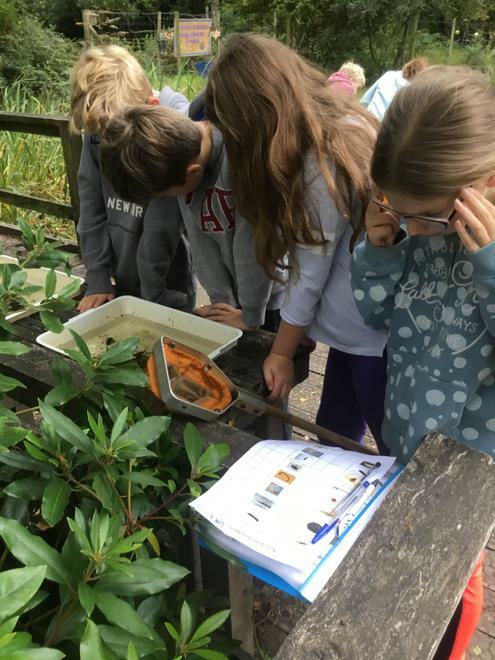 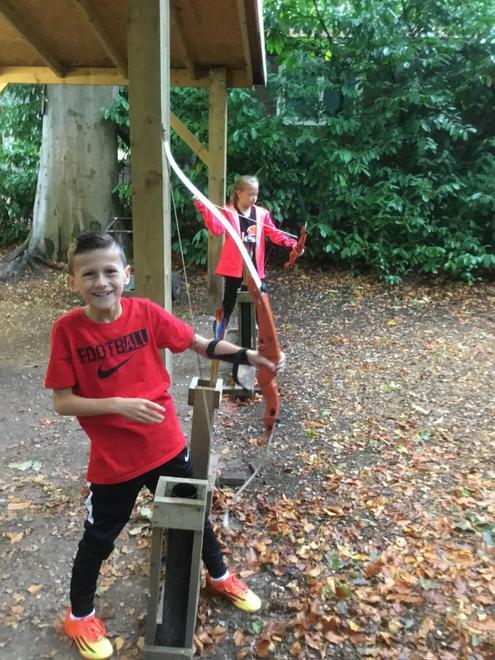 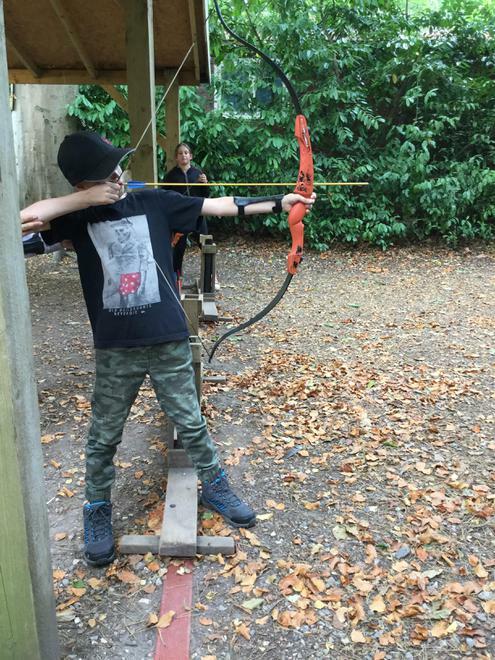 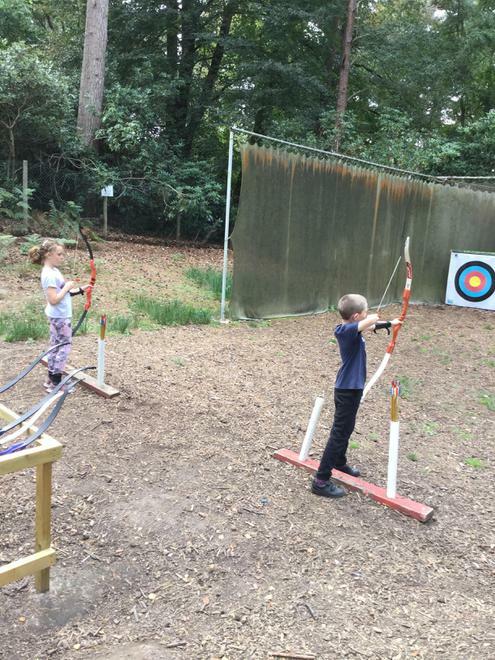 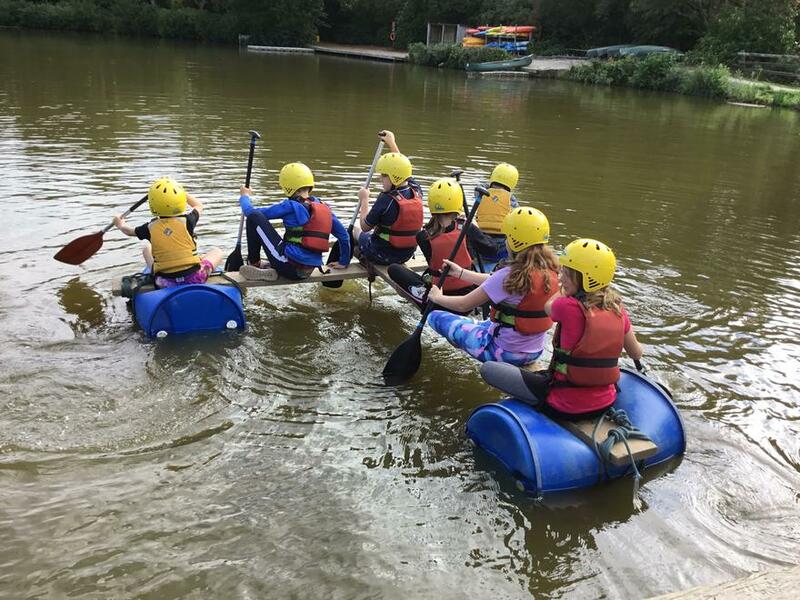 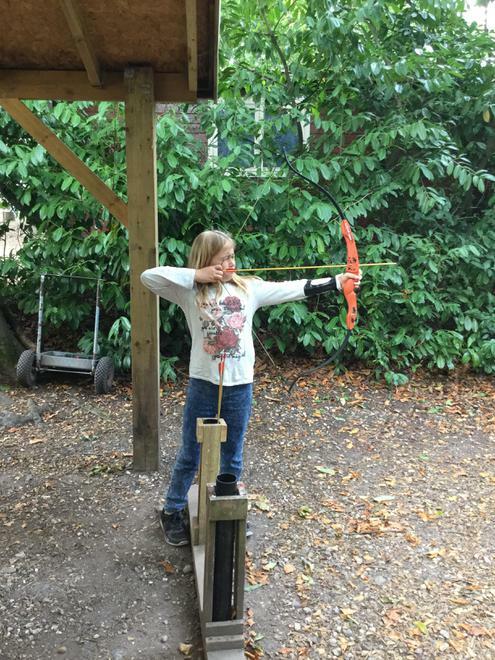 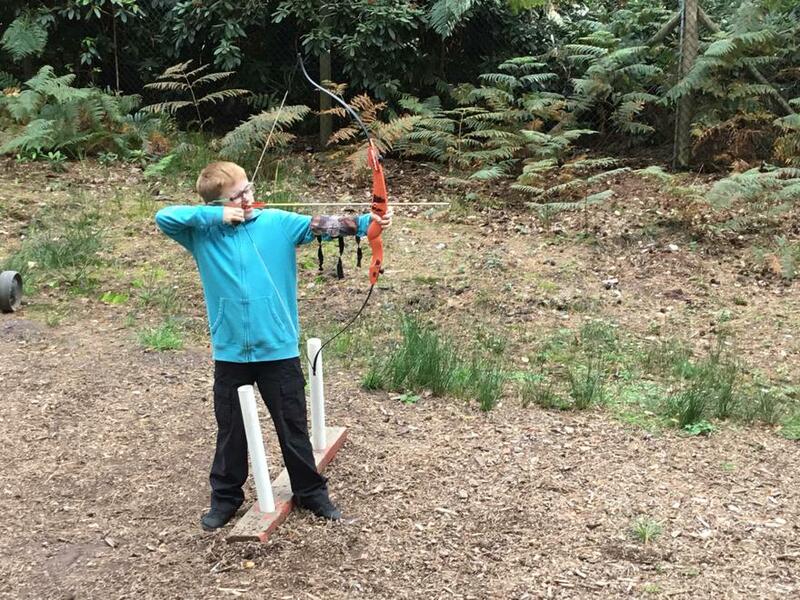 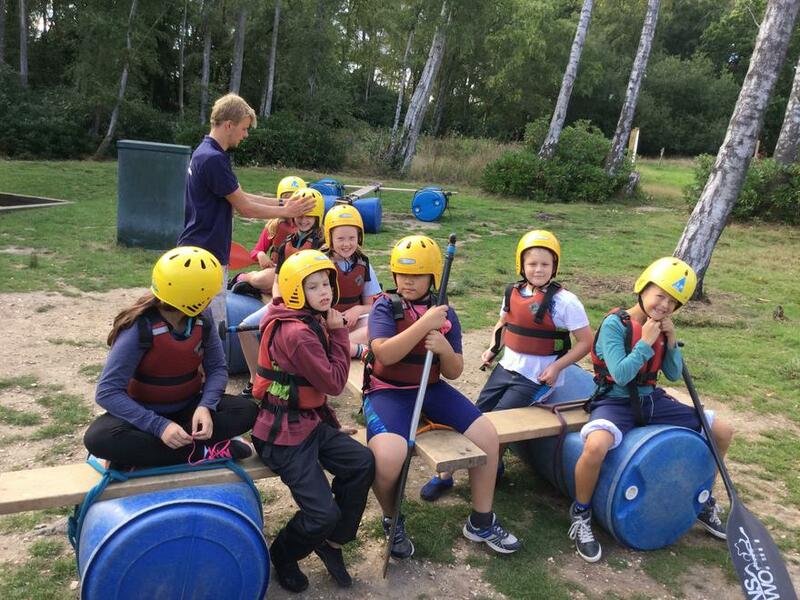 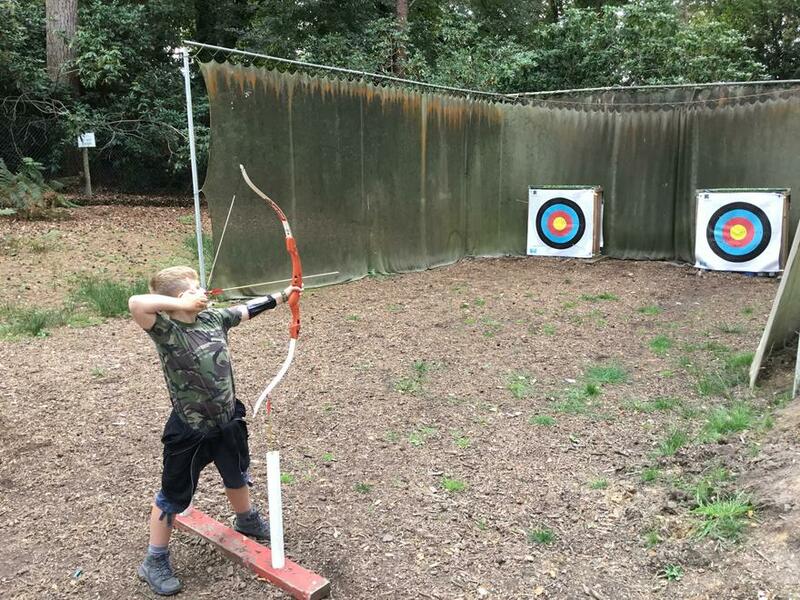 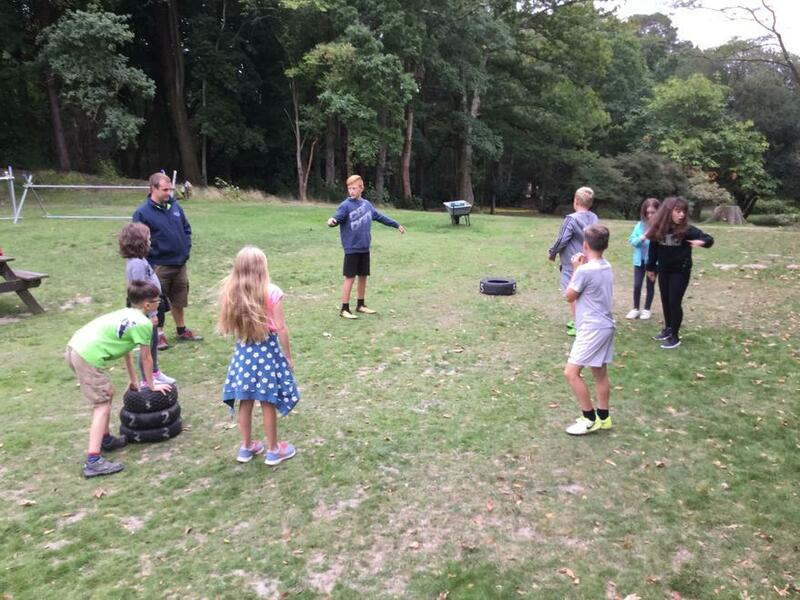 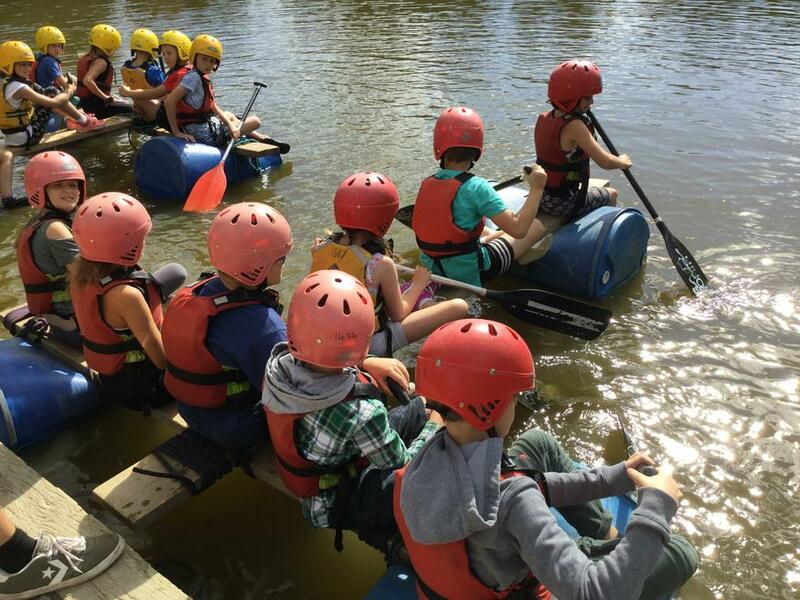 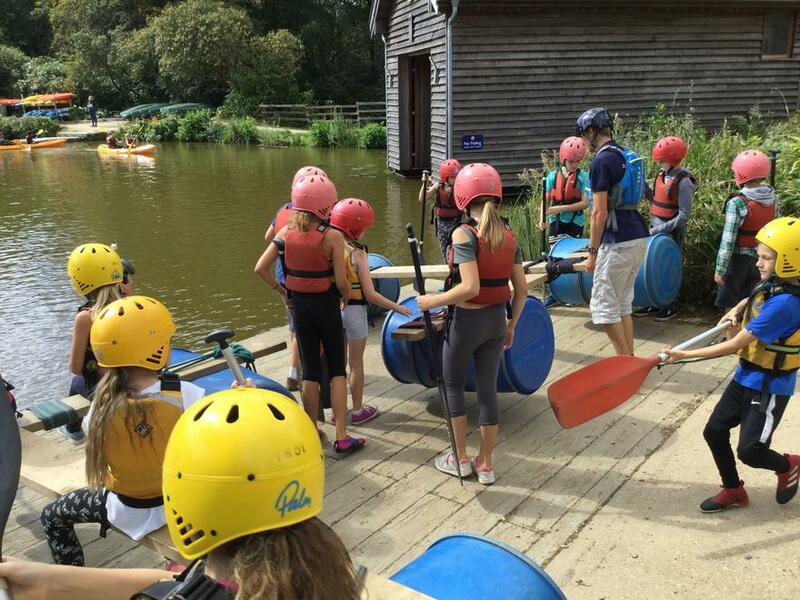 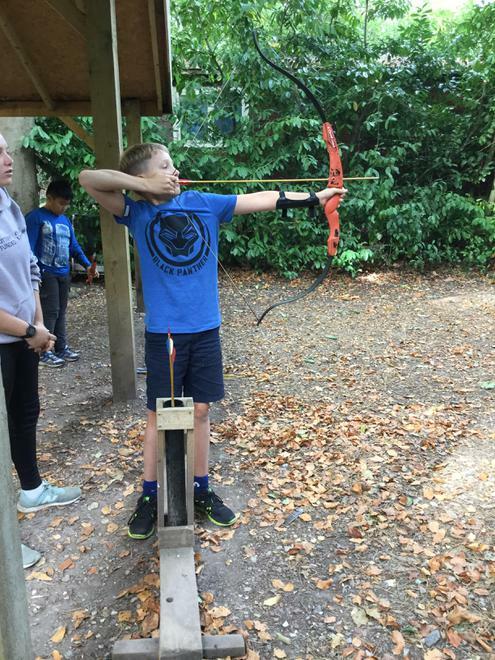 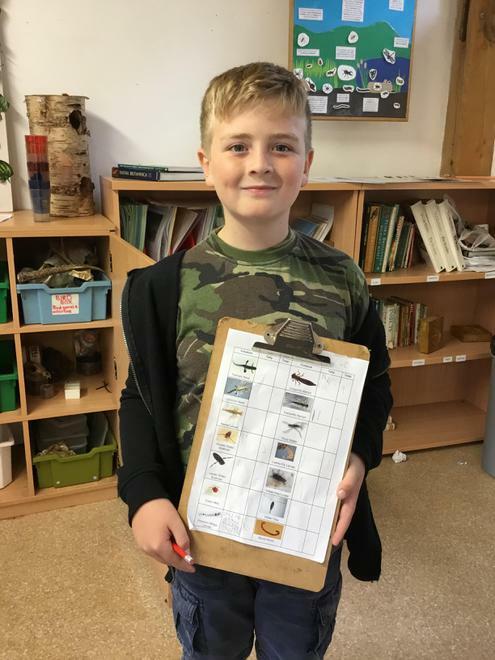 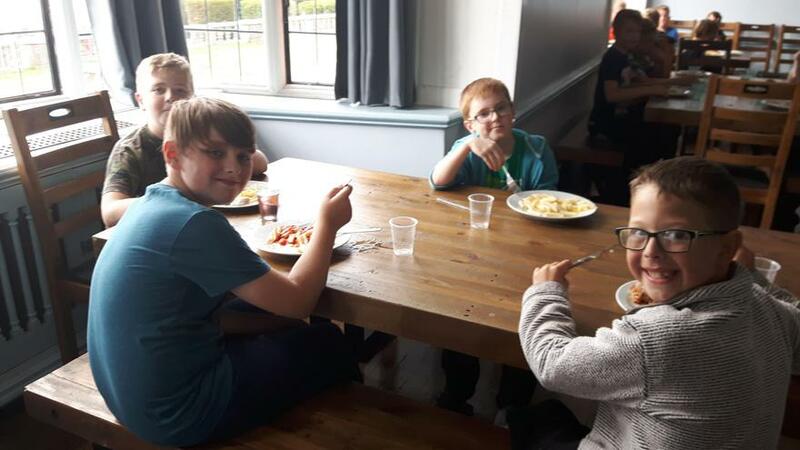 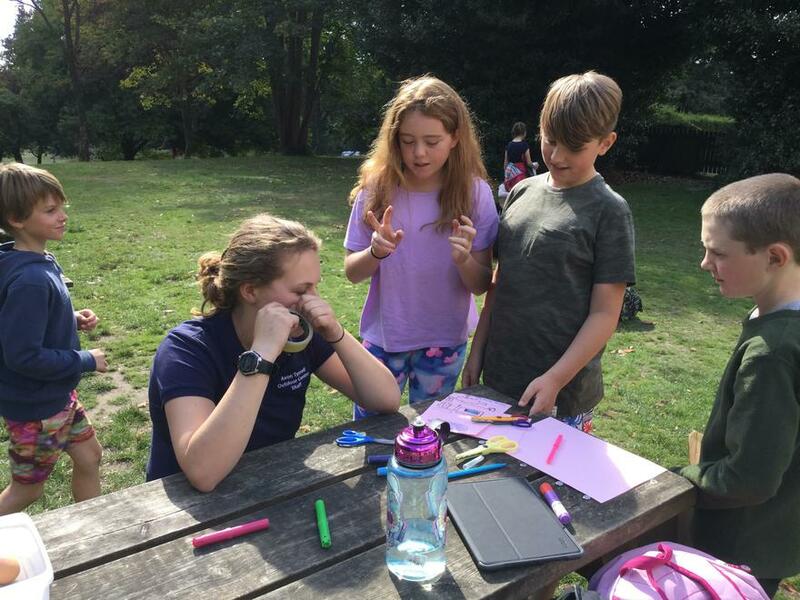 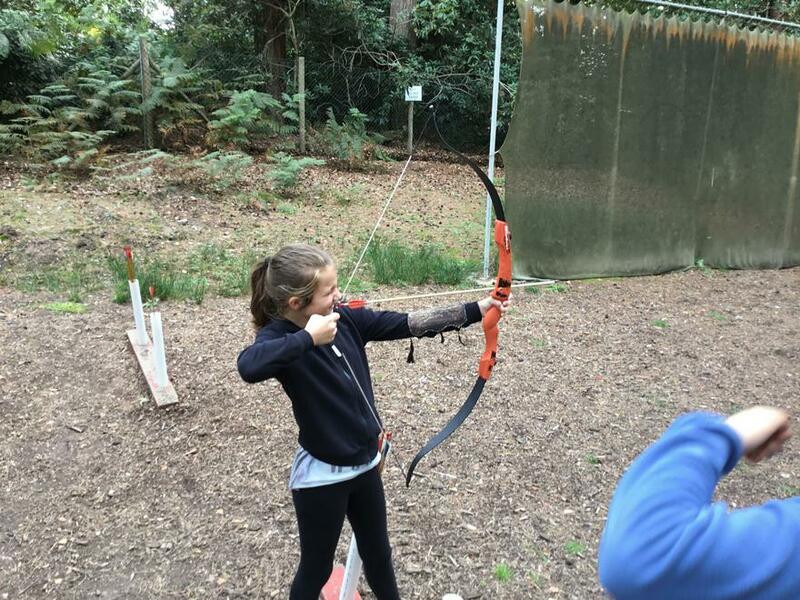 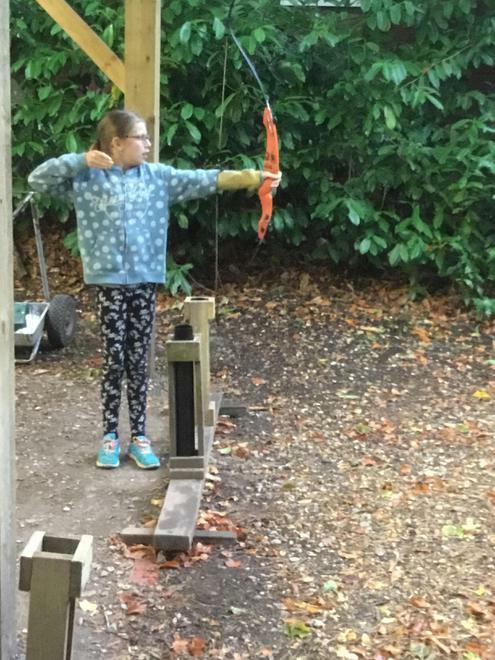 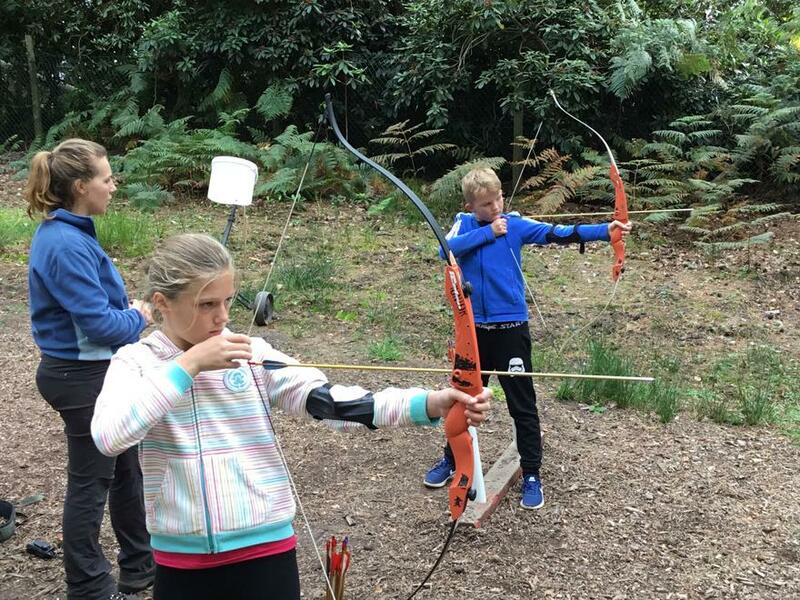 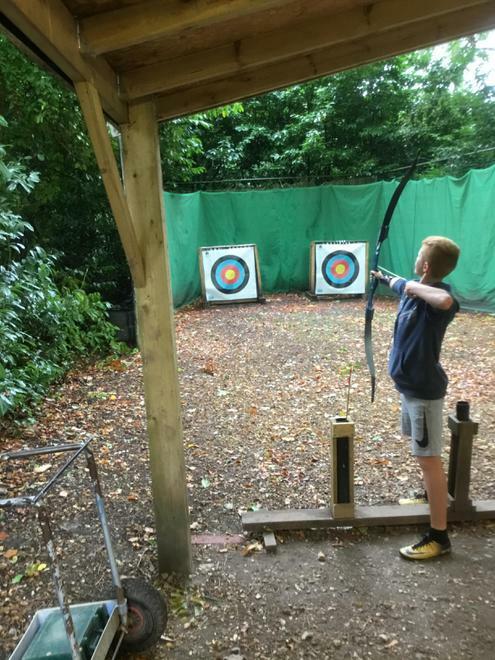 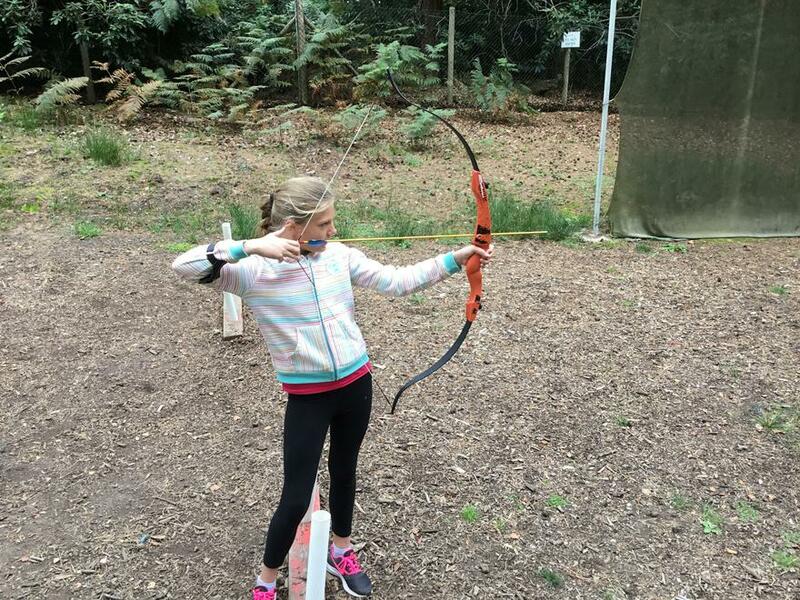 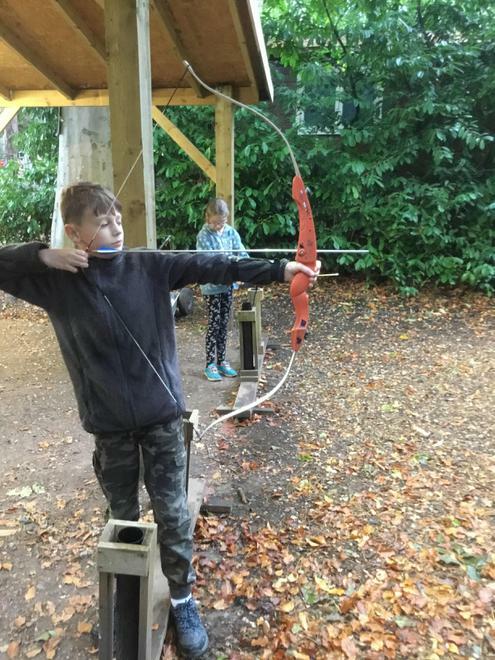 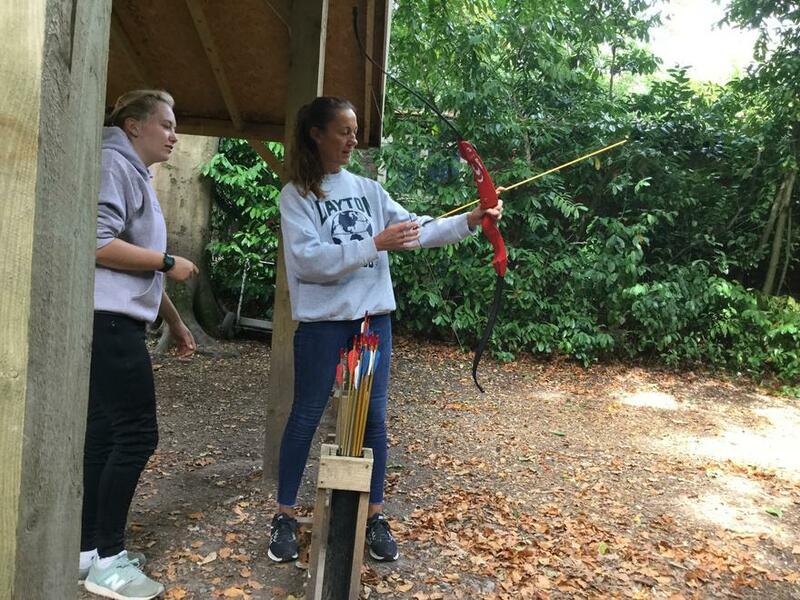 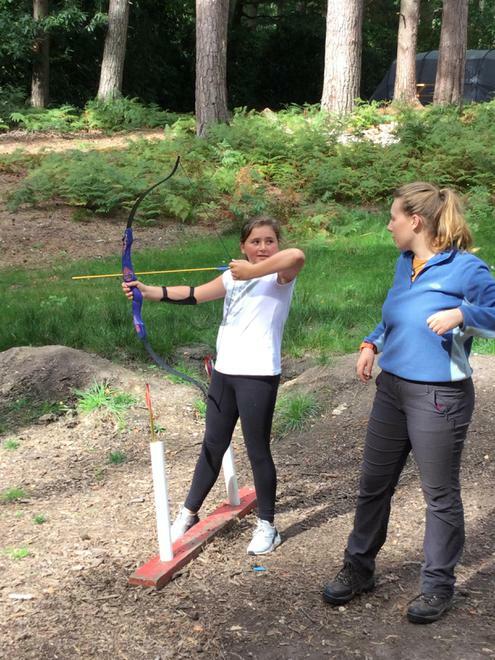 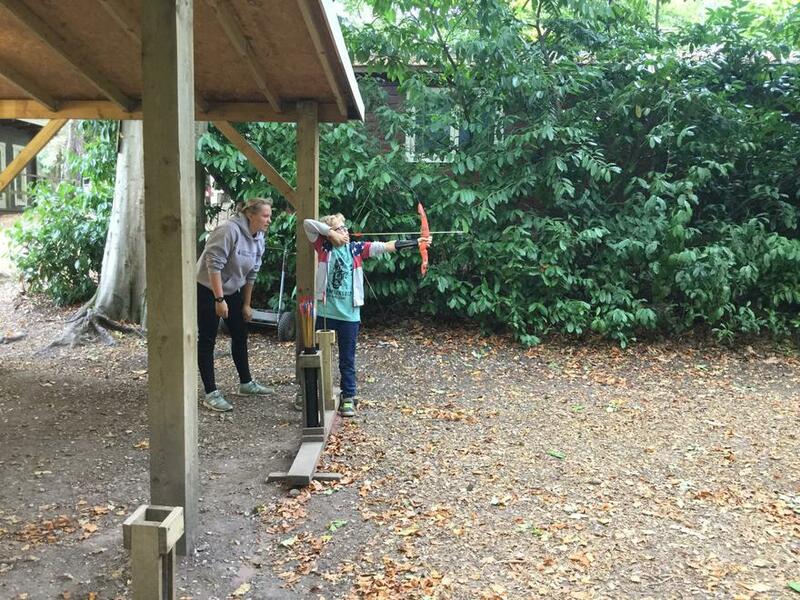 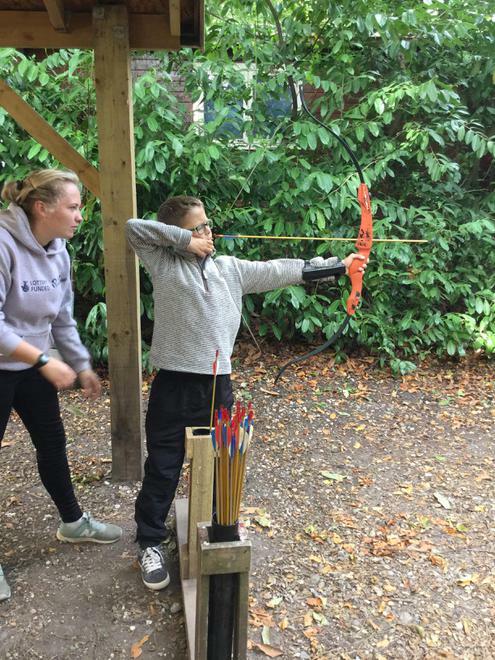 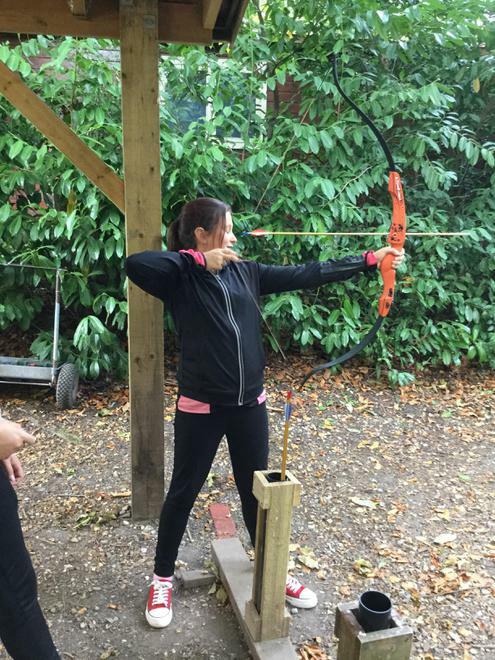 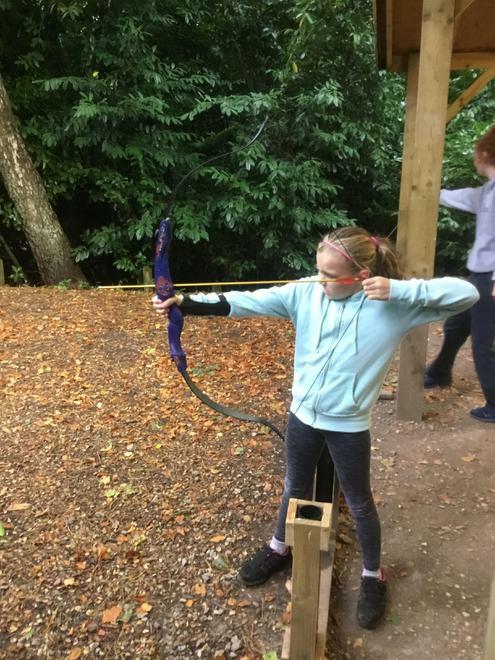 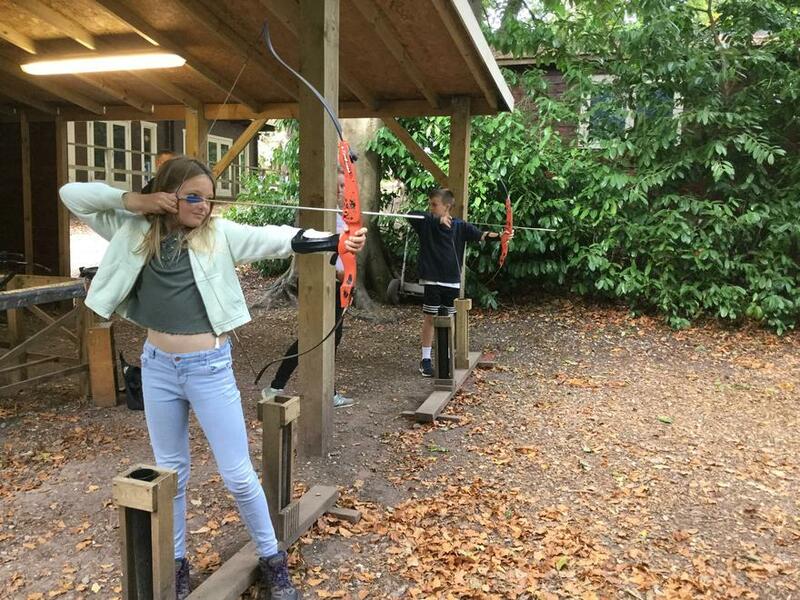 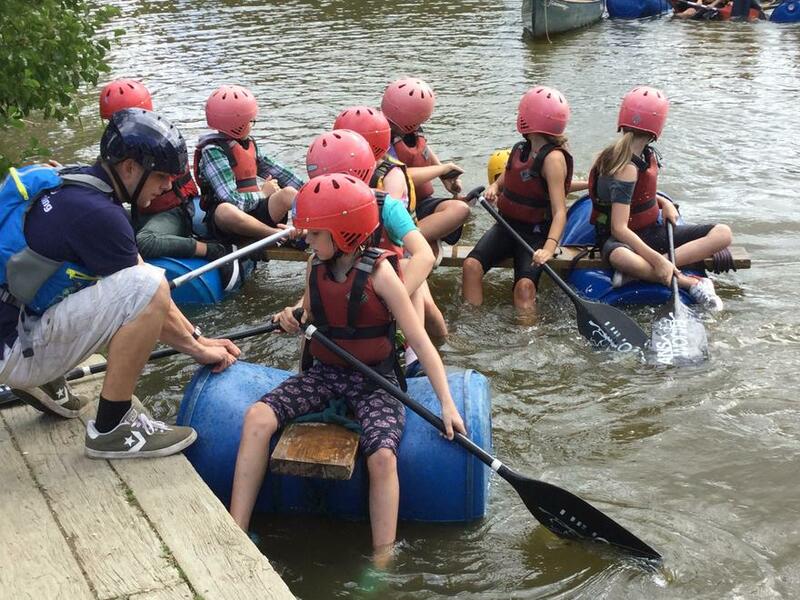 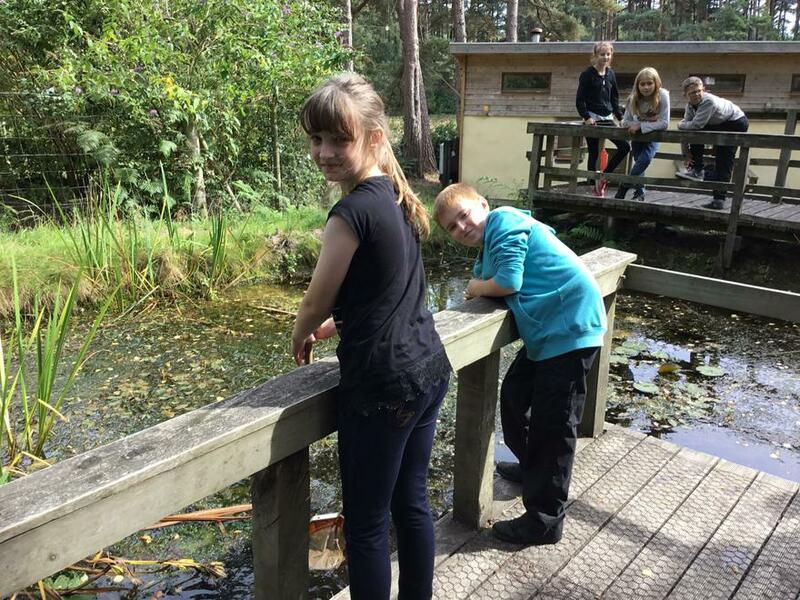 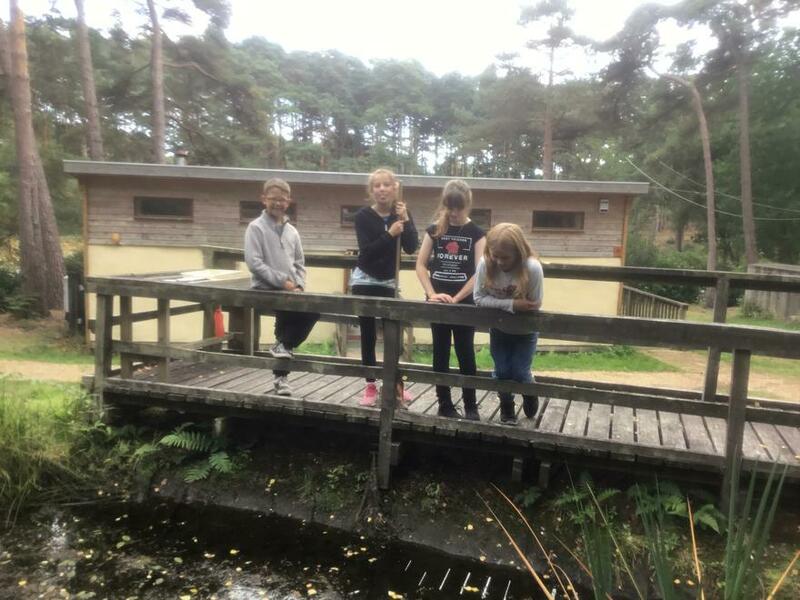 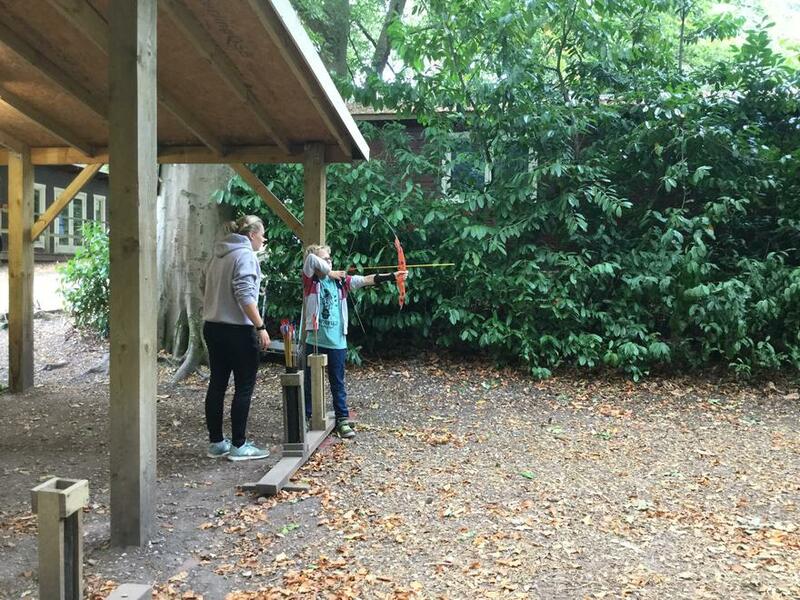 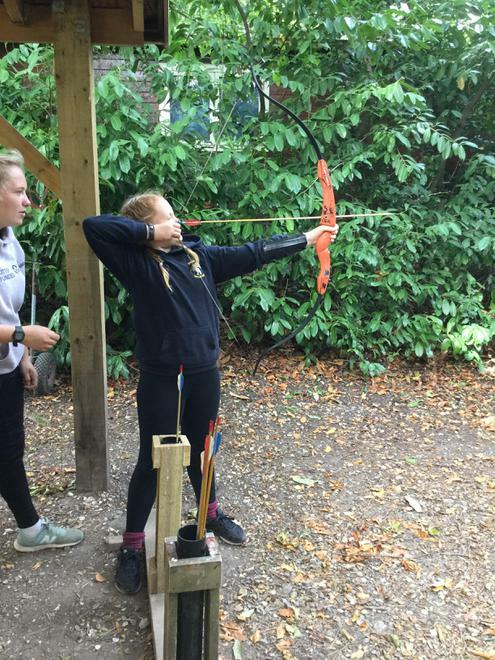 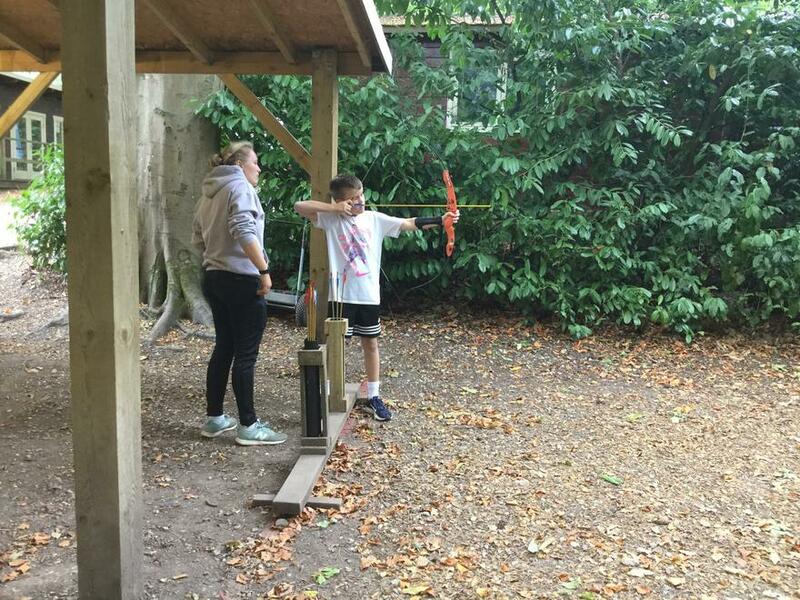 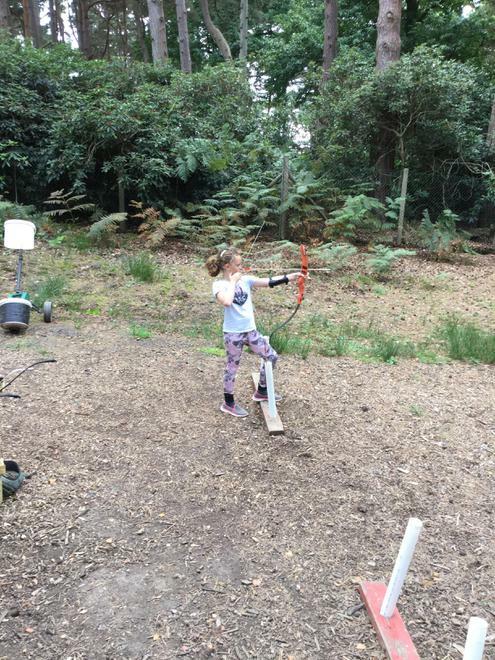 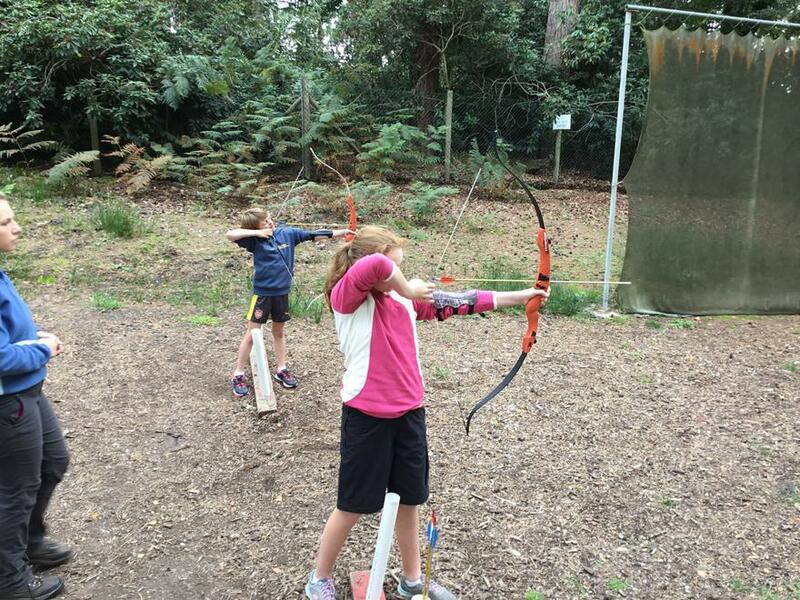 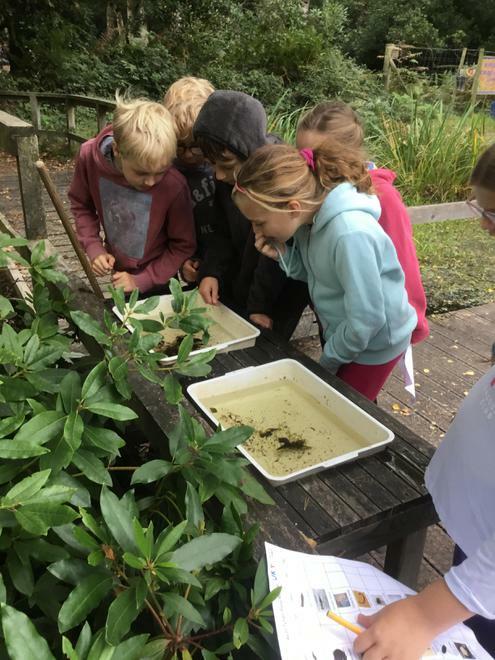 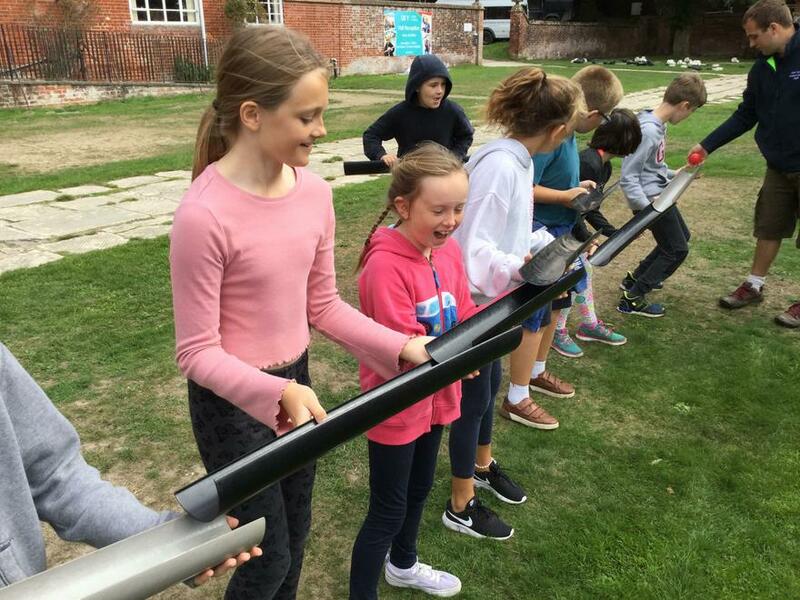 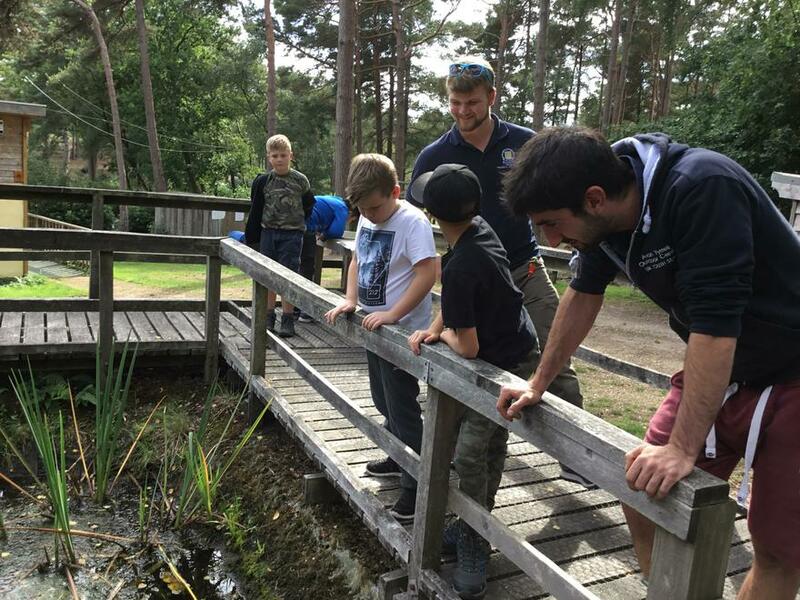 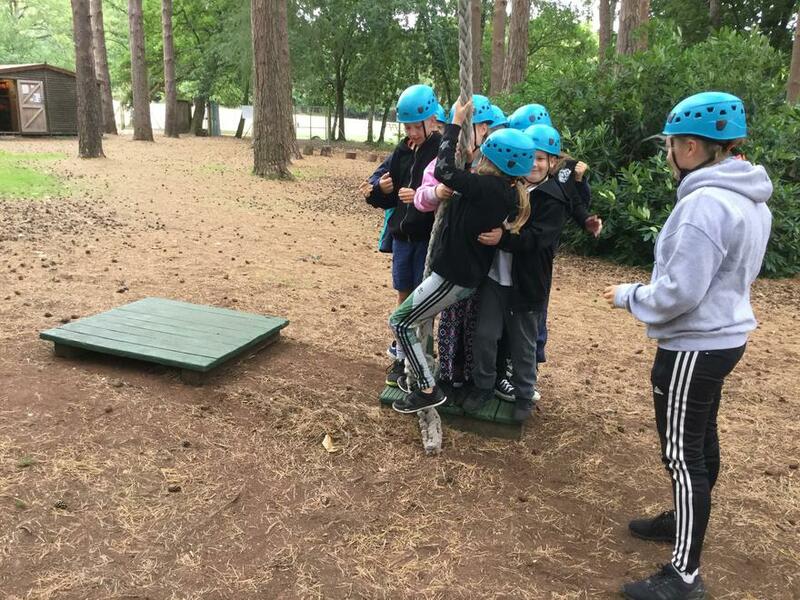 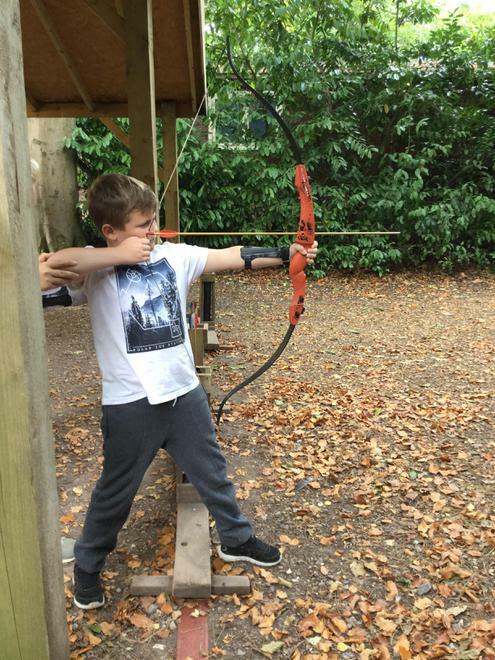 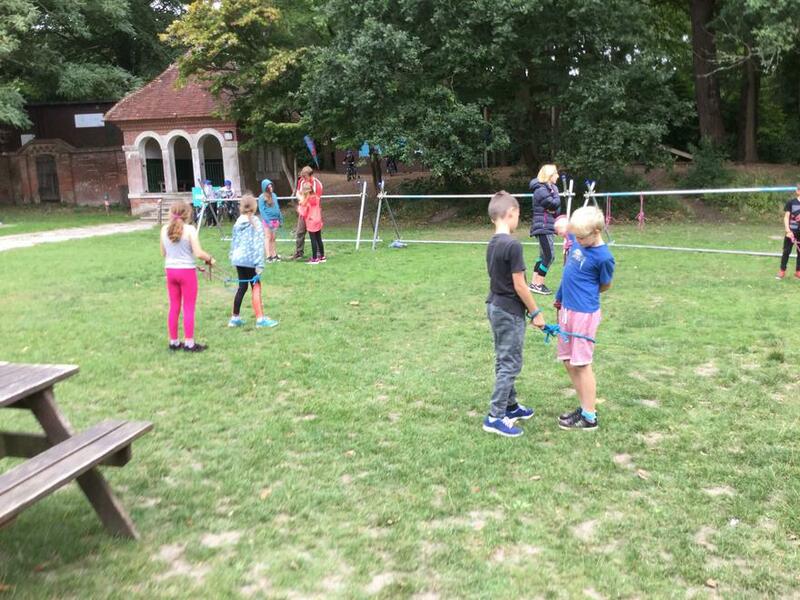 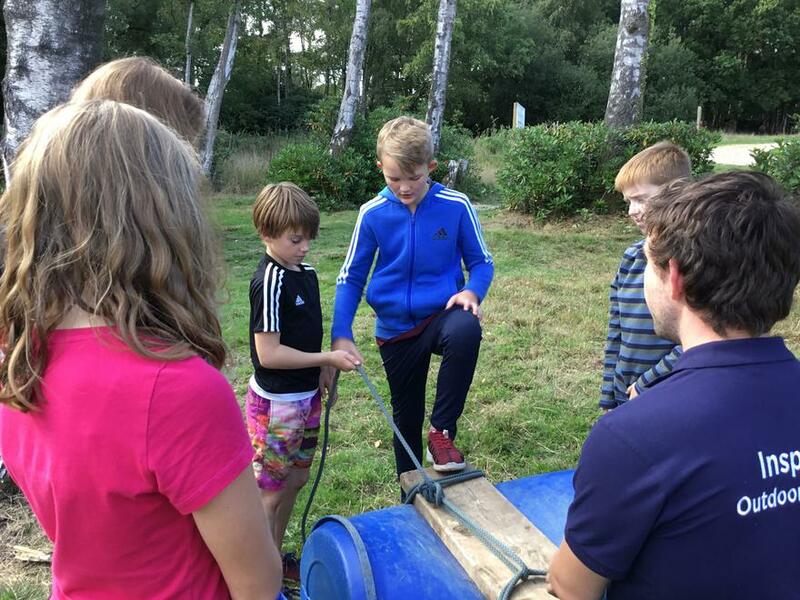 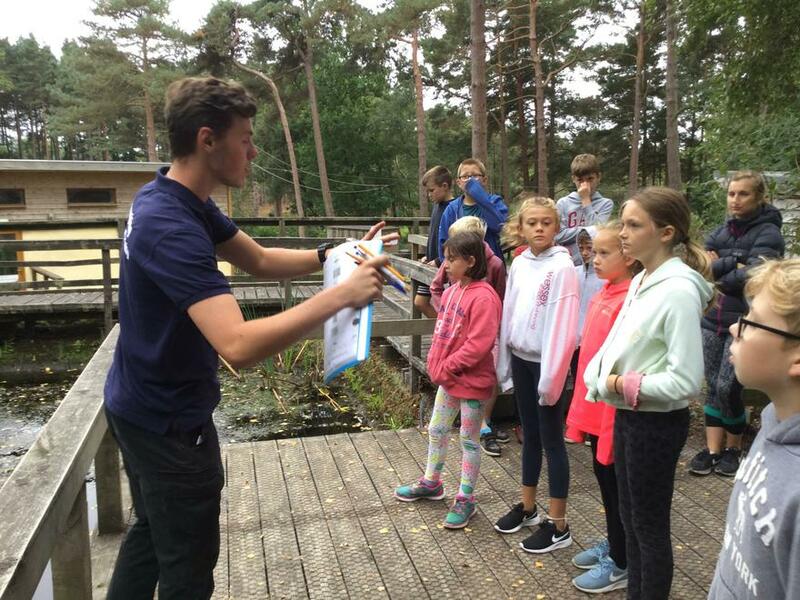 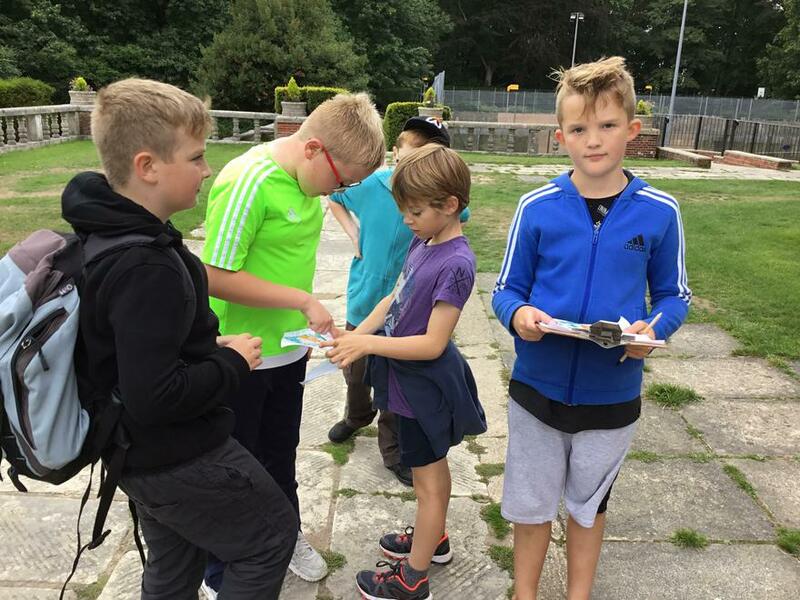 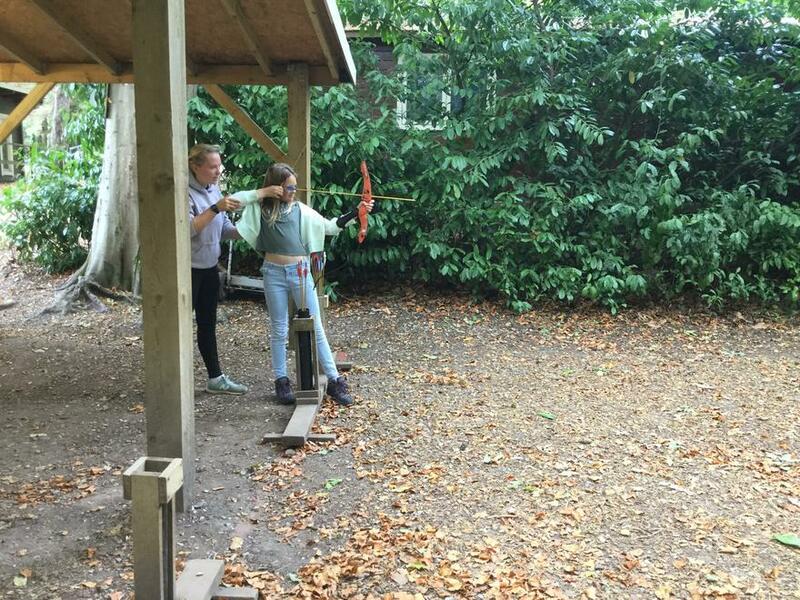 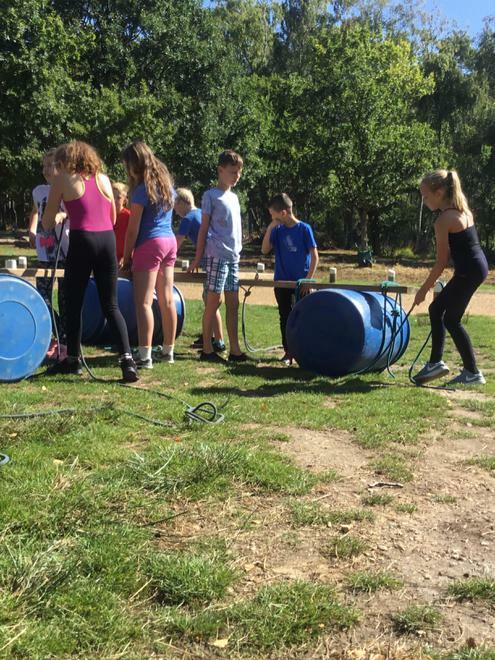 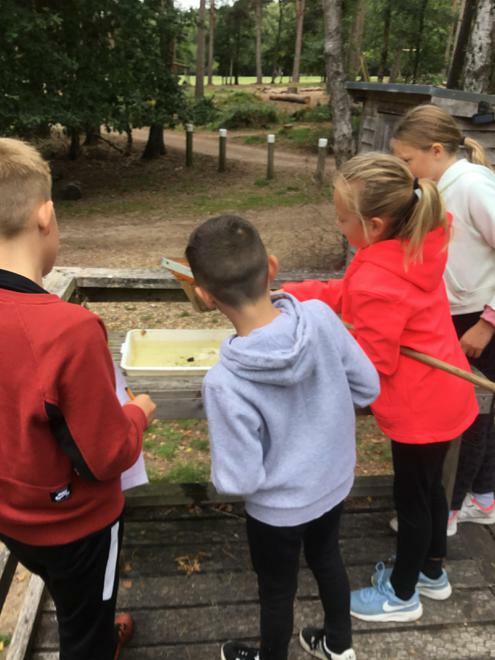 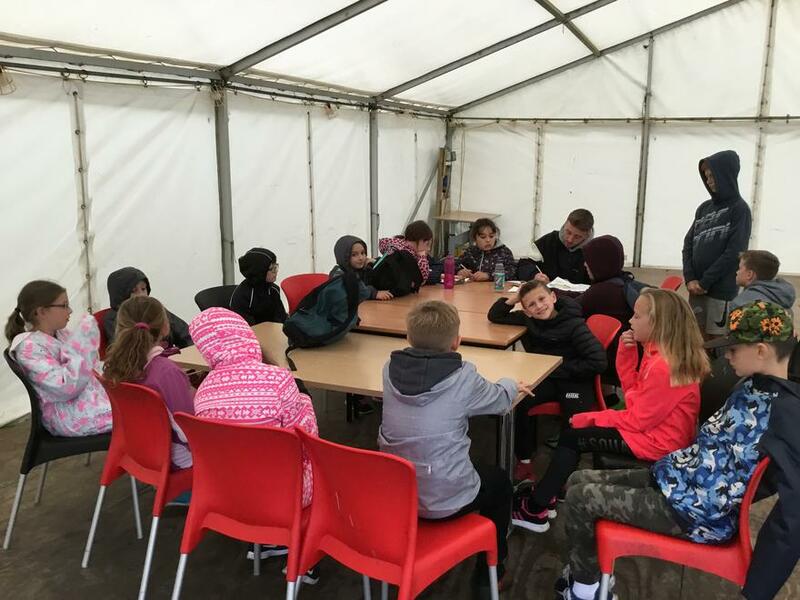 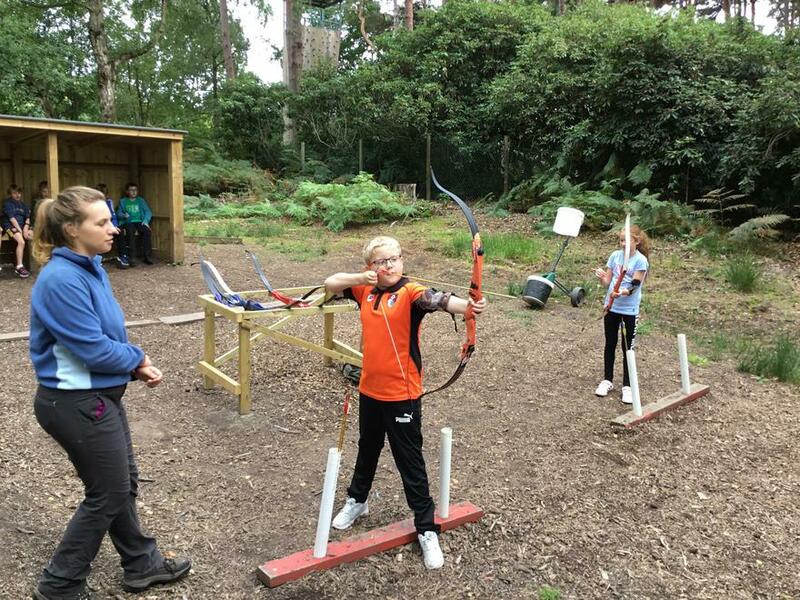 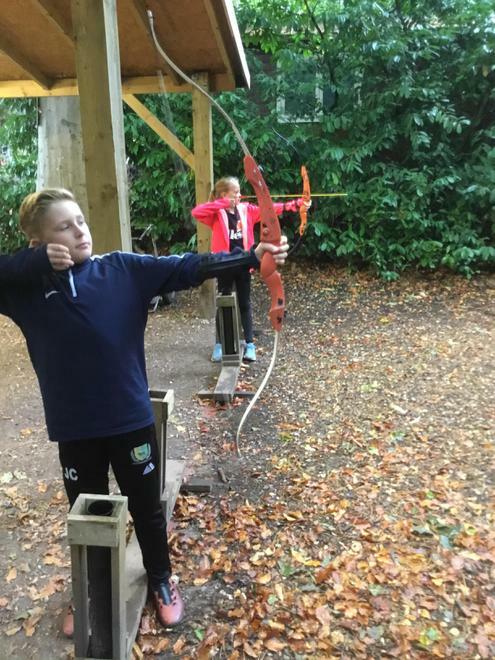 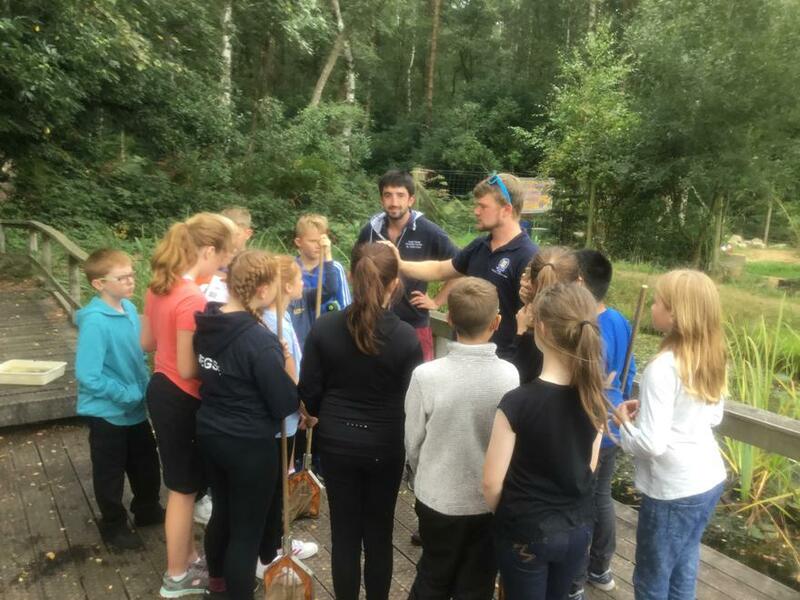 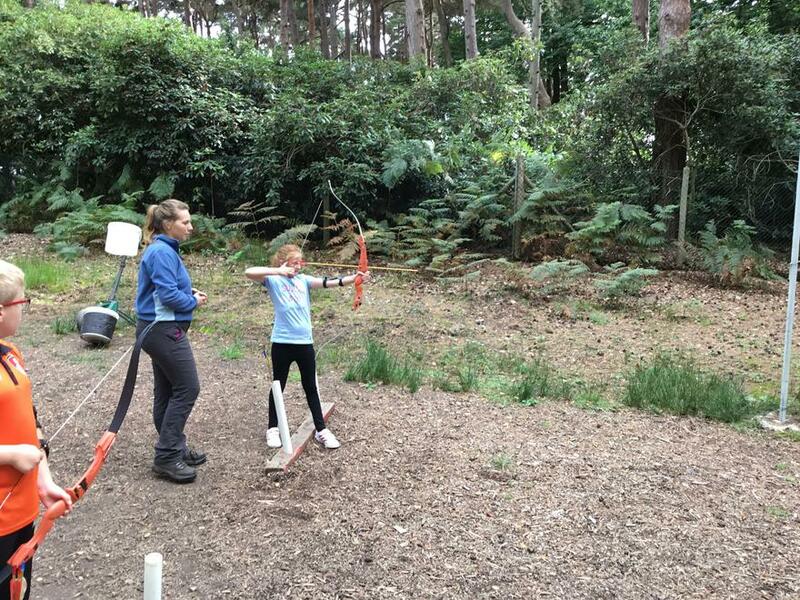 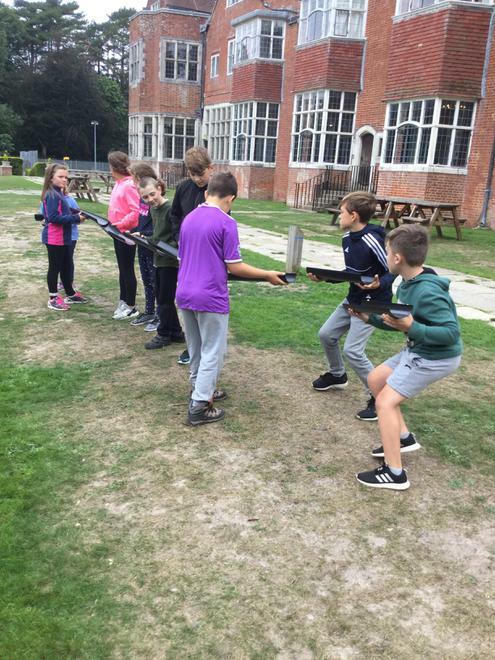 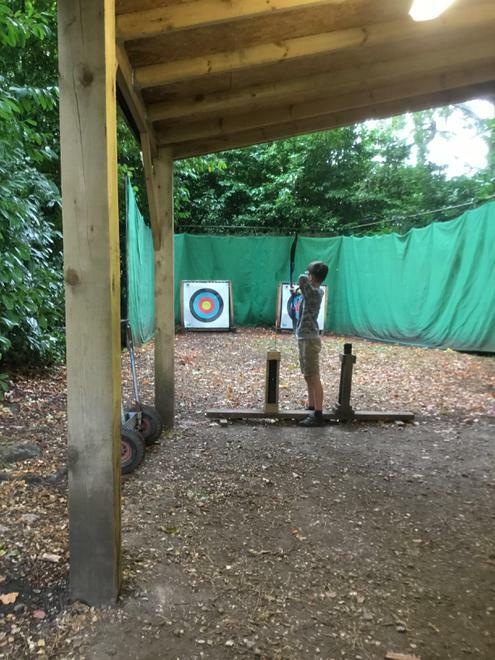 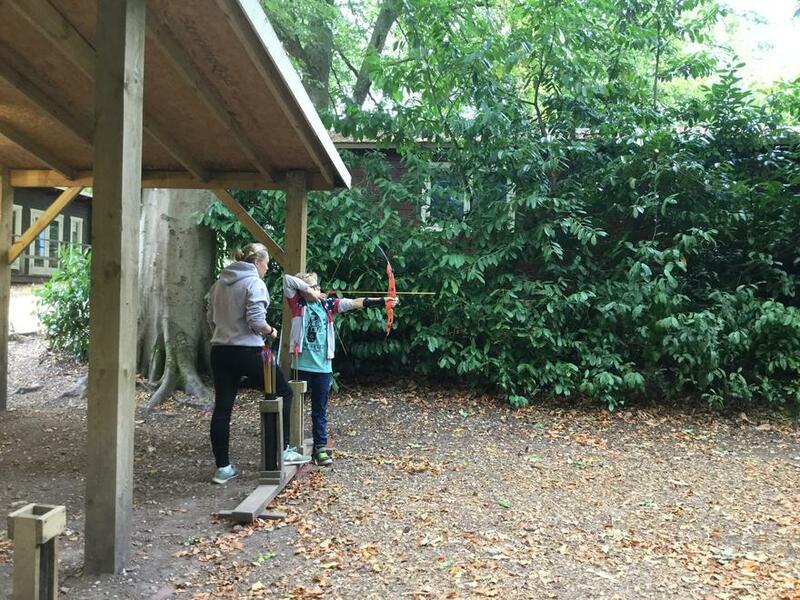 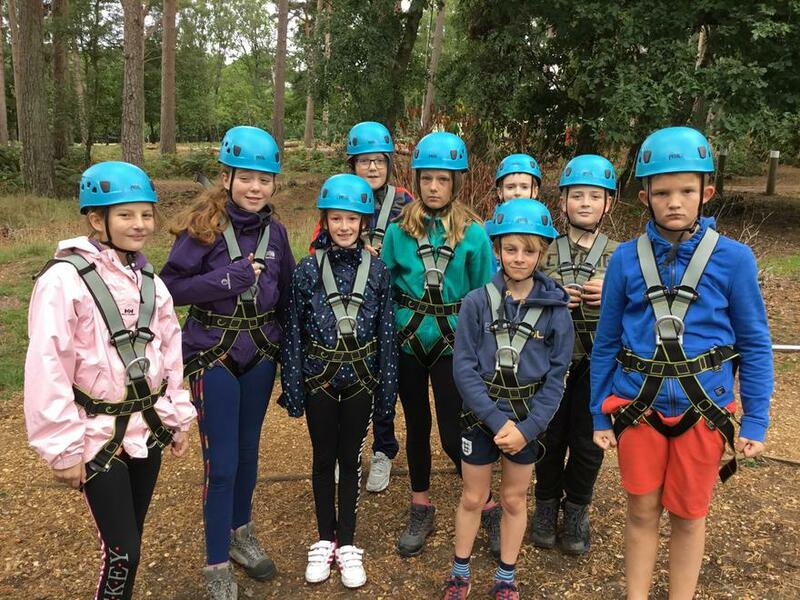 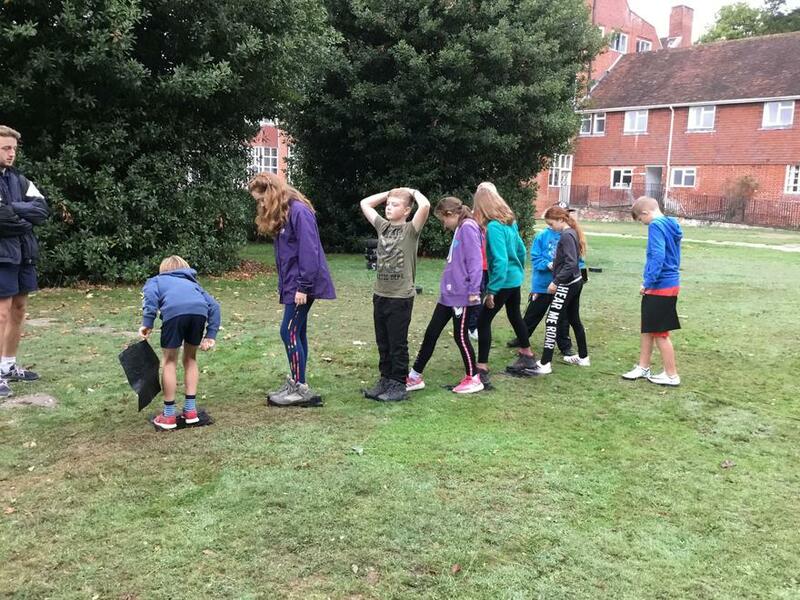 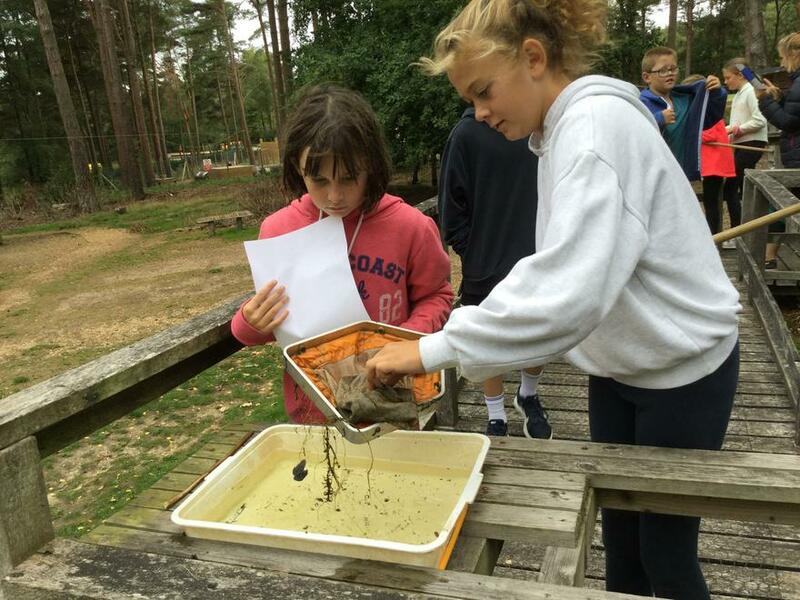 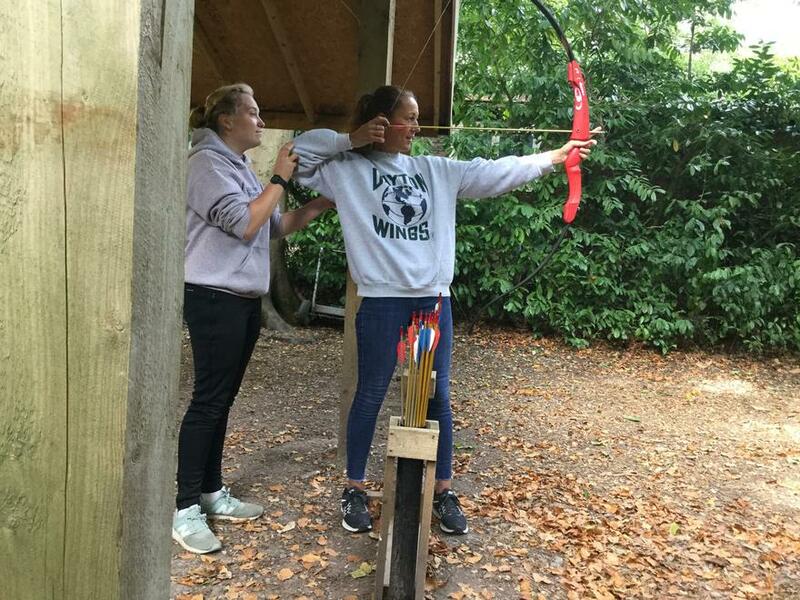 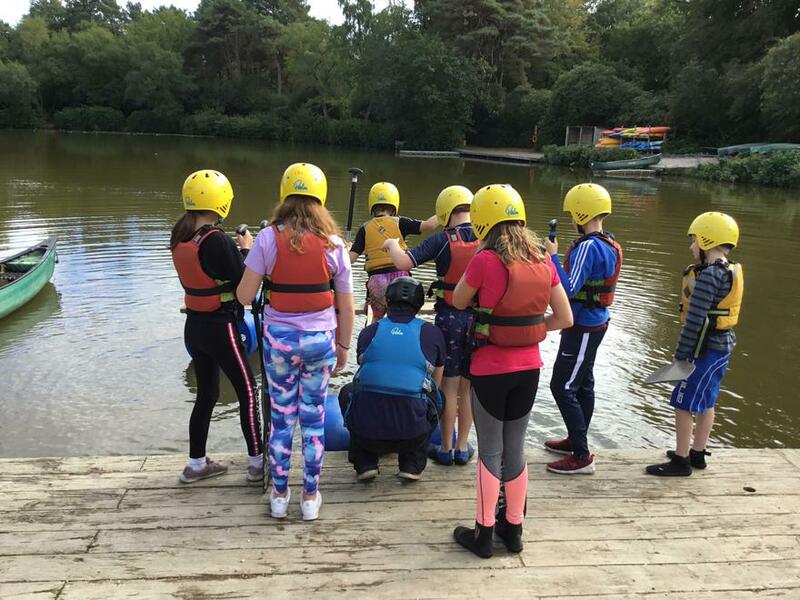 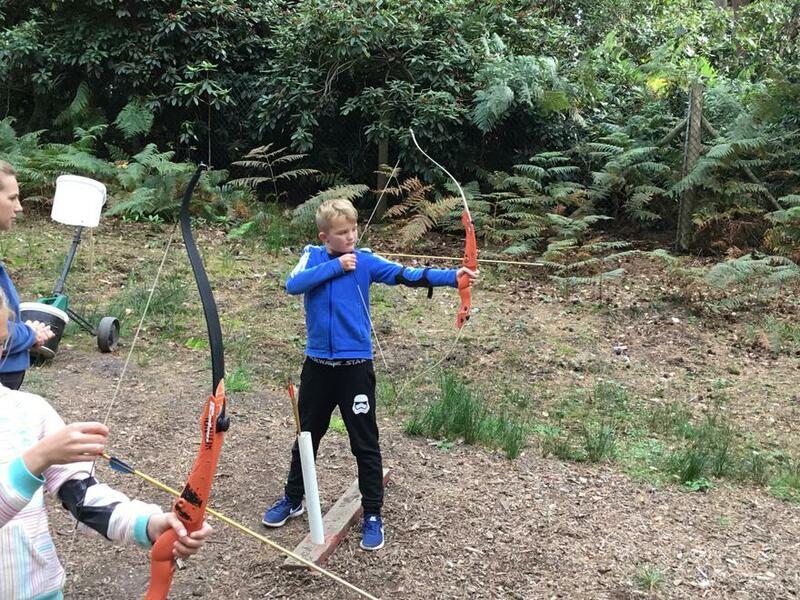 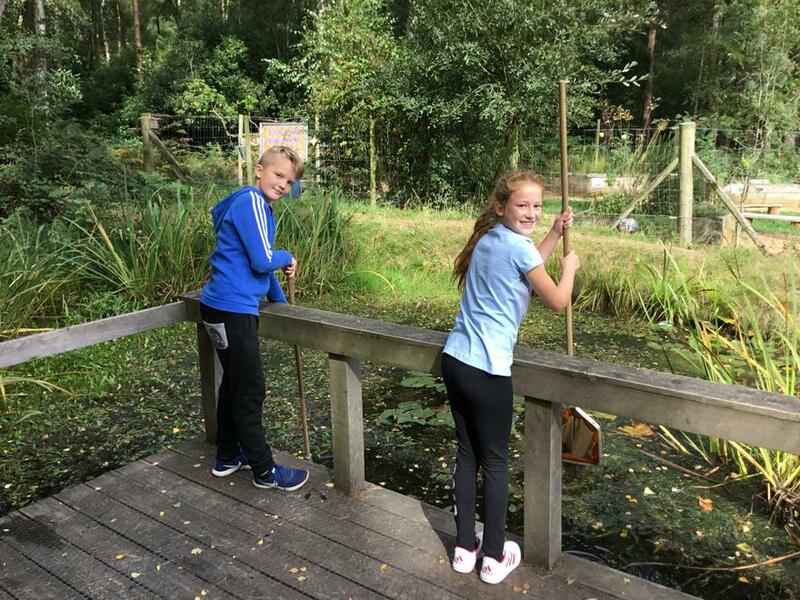 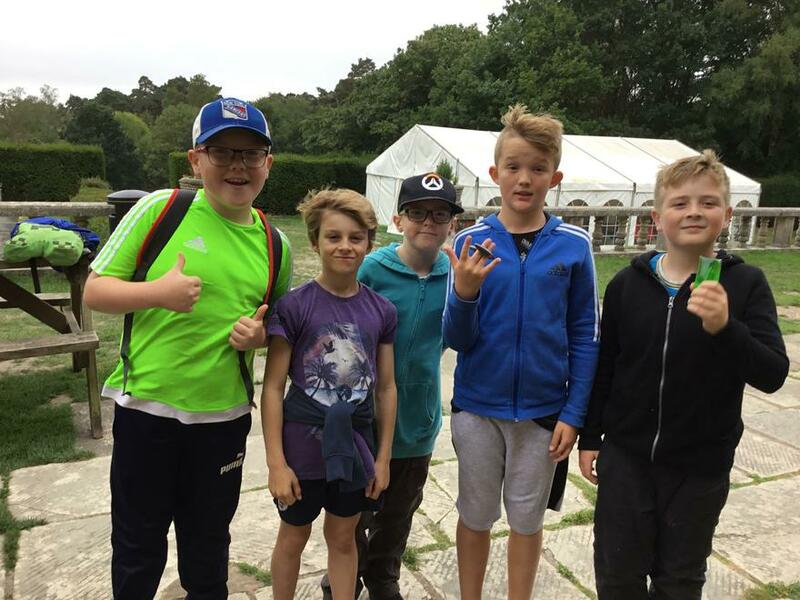 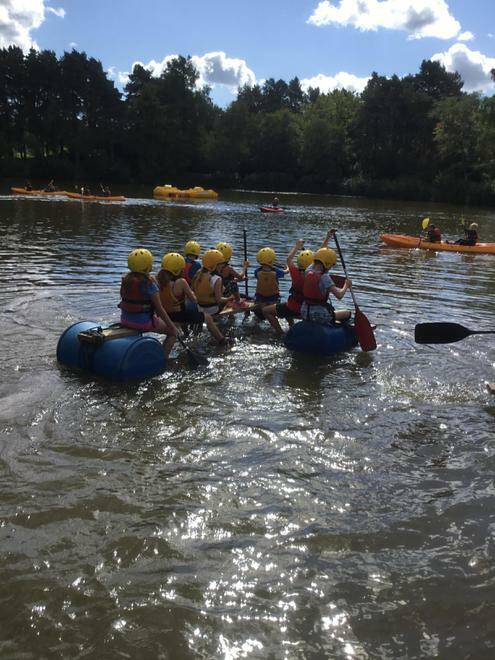 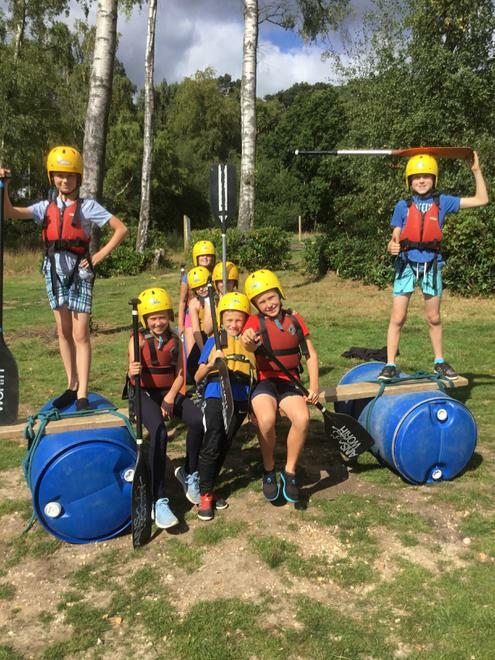 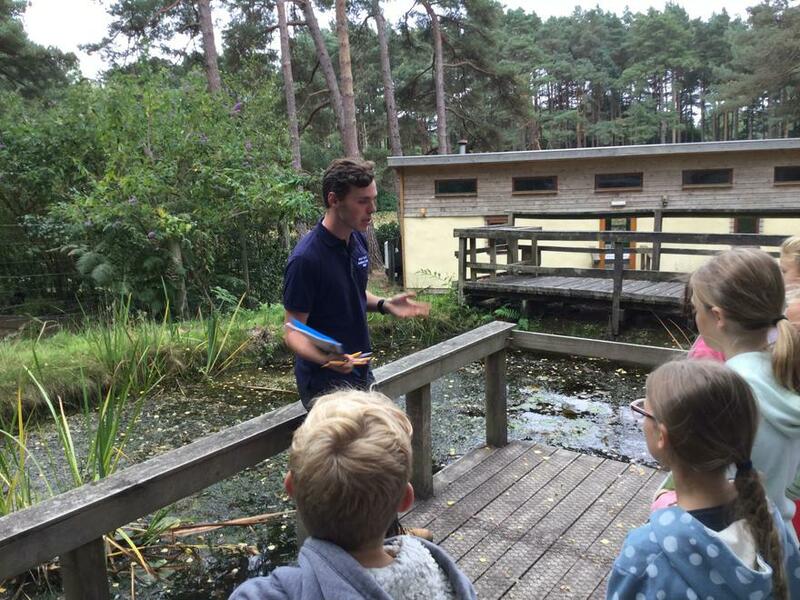 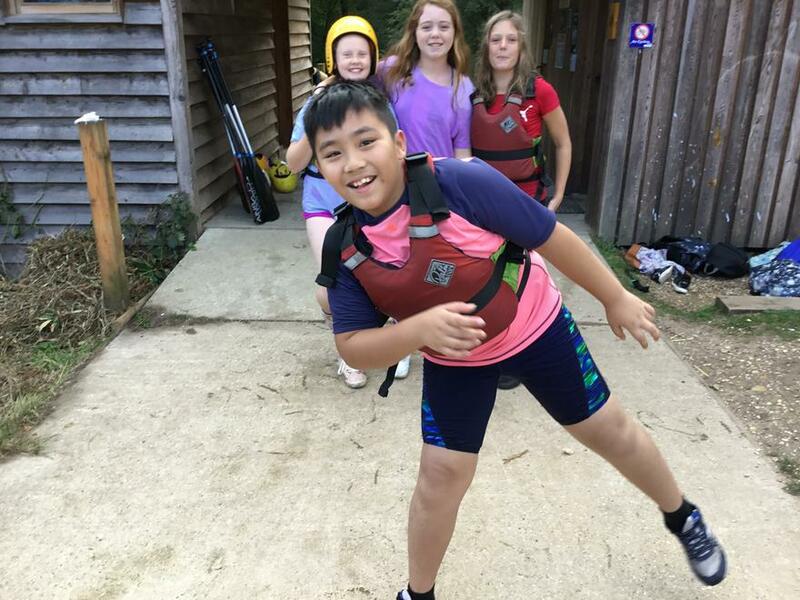 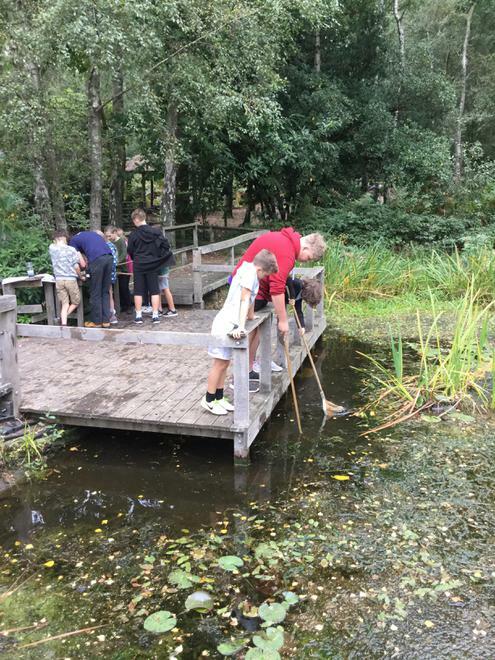 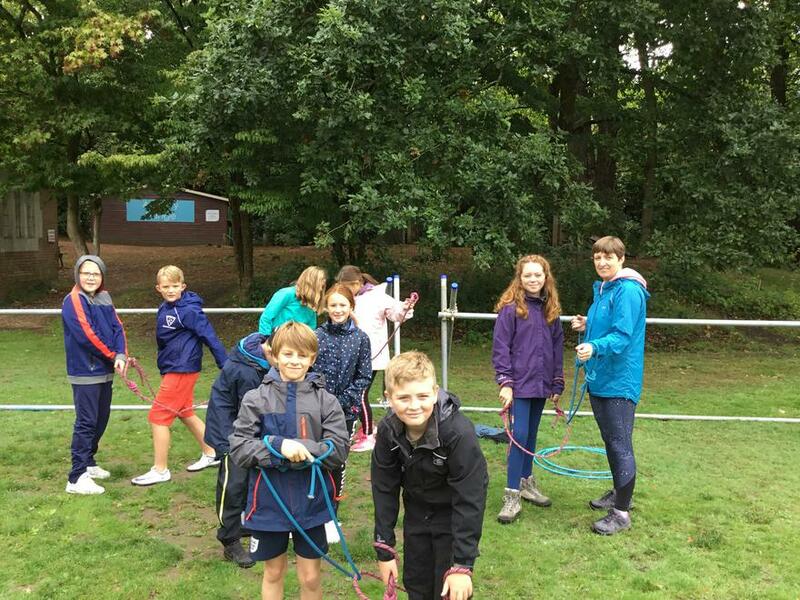 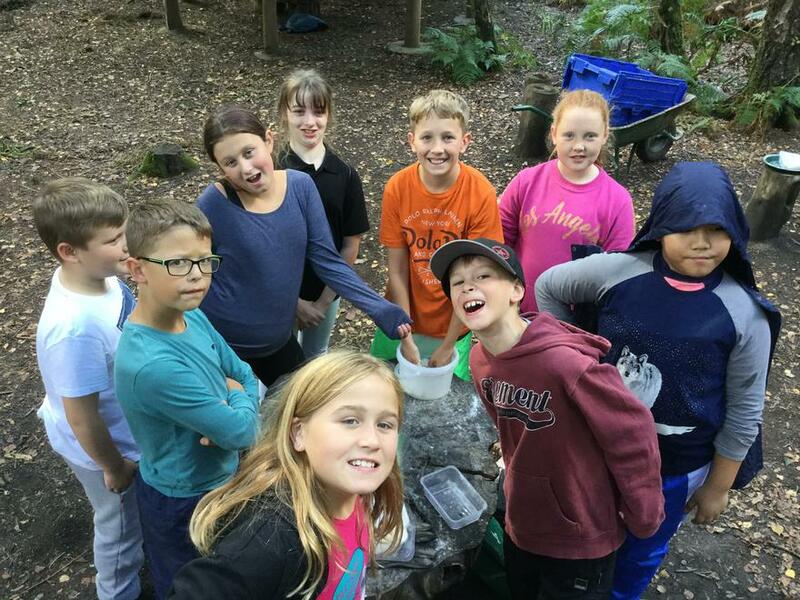 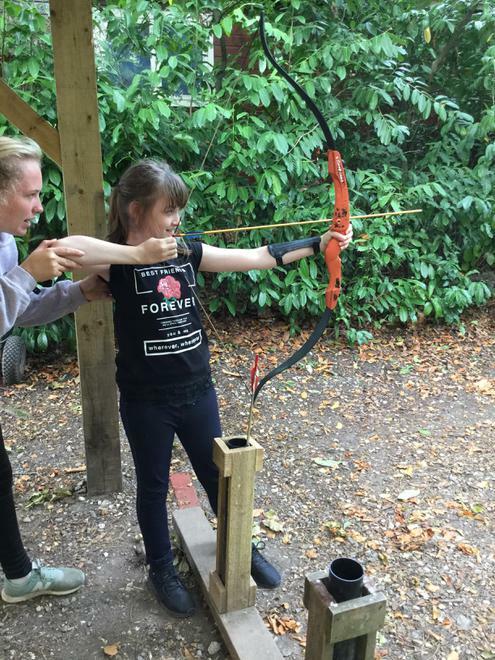 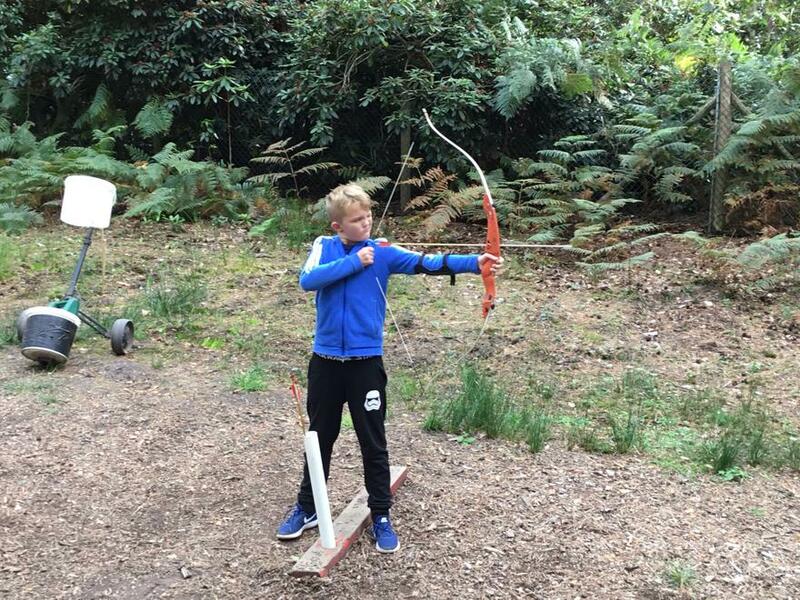 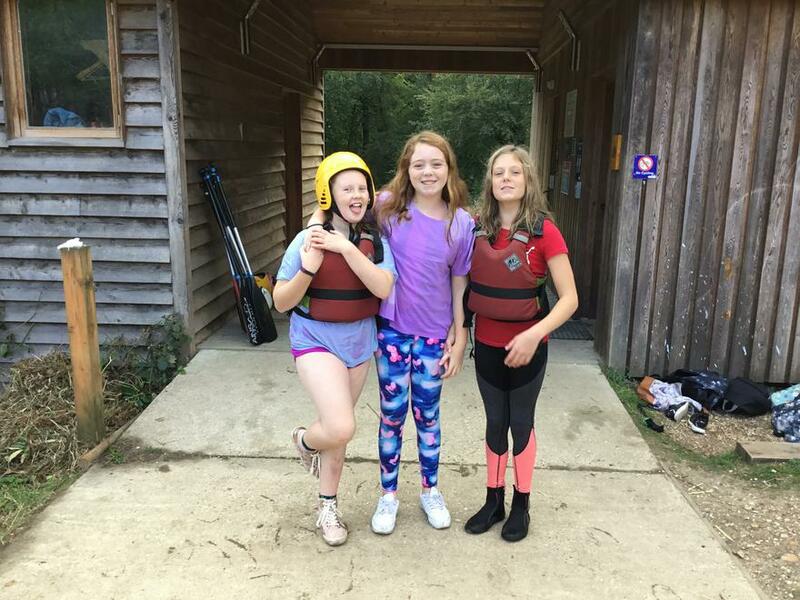 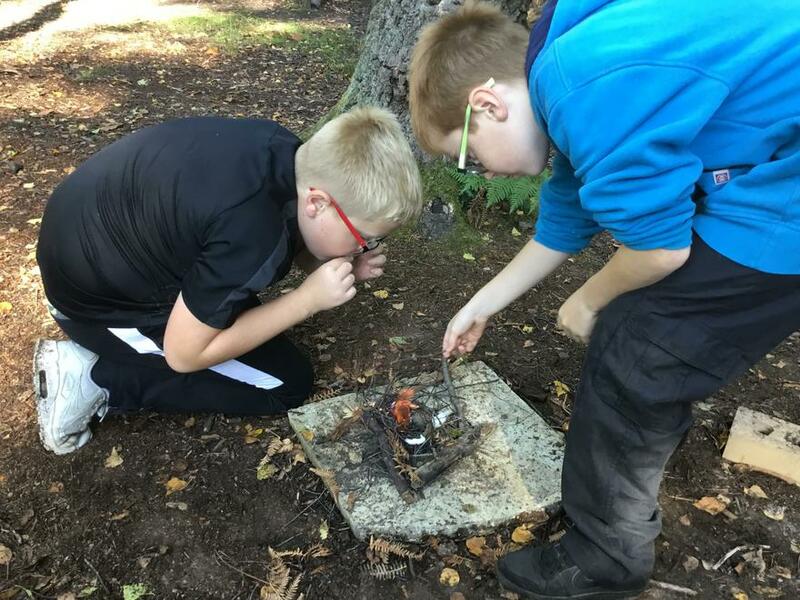 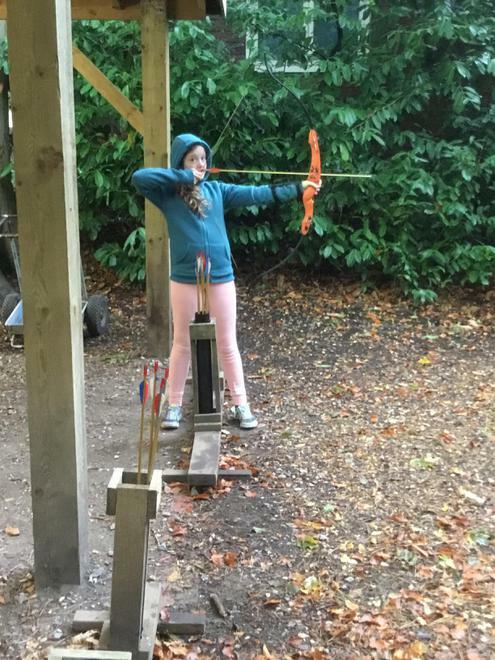 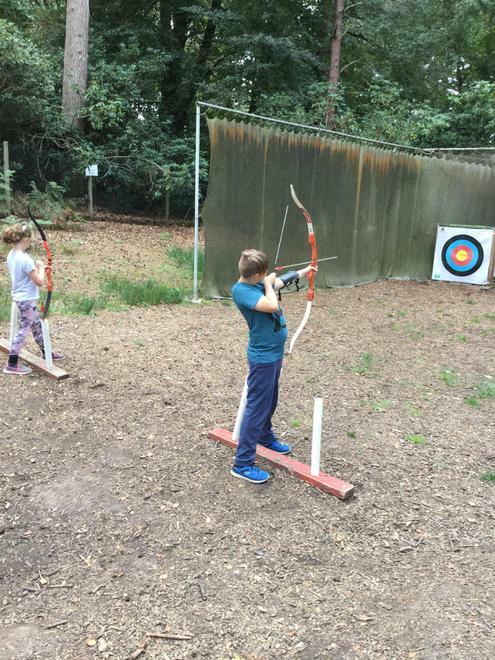 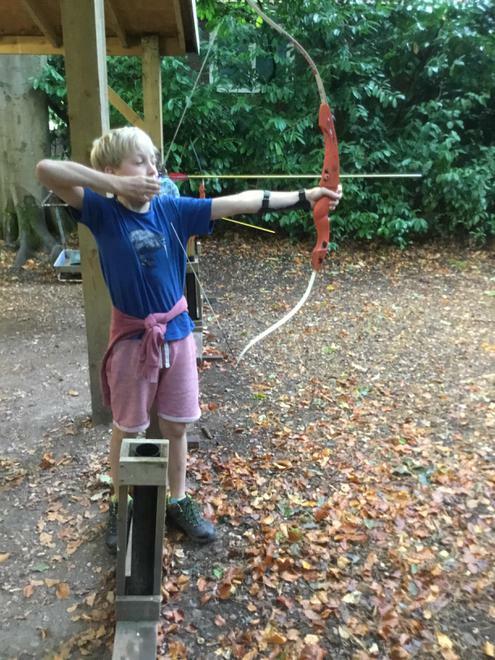 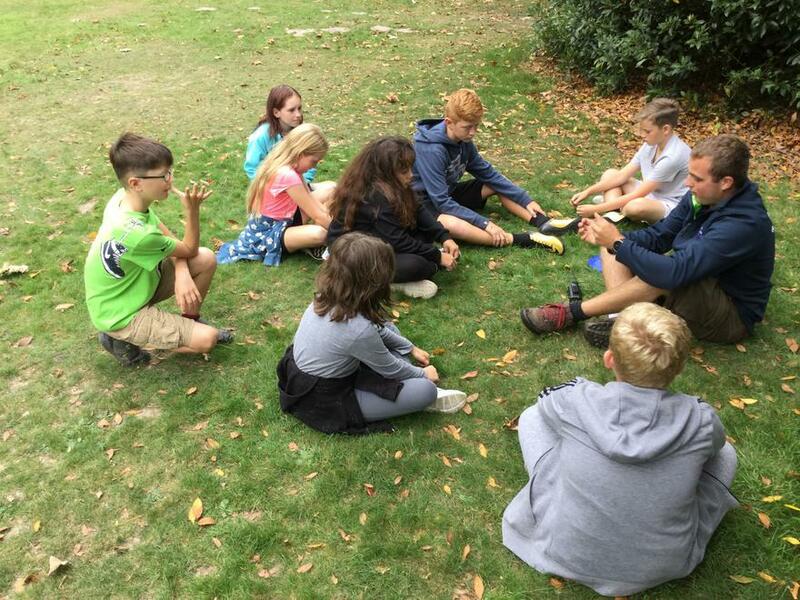 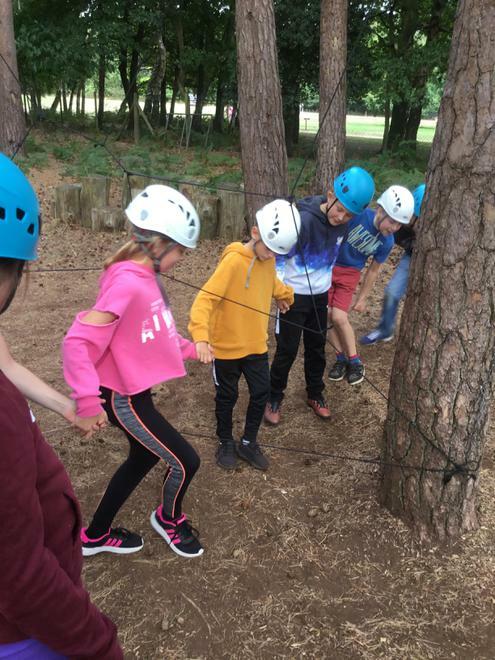 This afternoon we have had activities in mixed groups: Pond dipping, archery, pioneering and low ropes have been enjoyed. 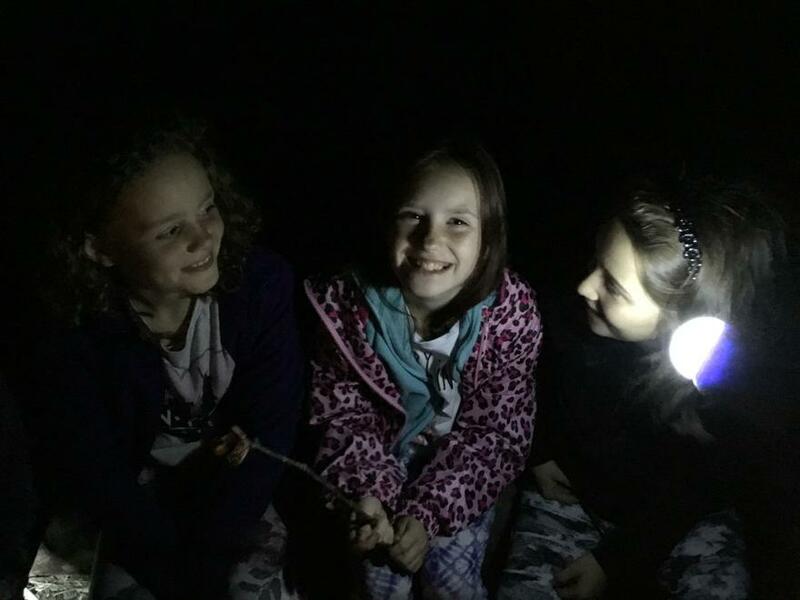 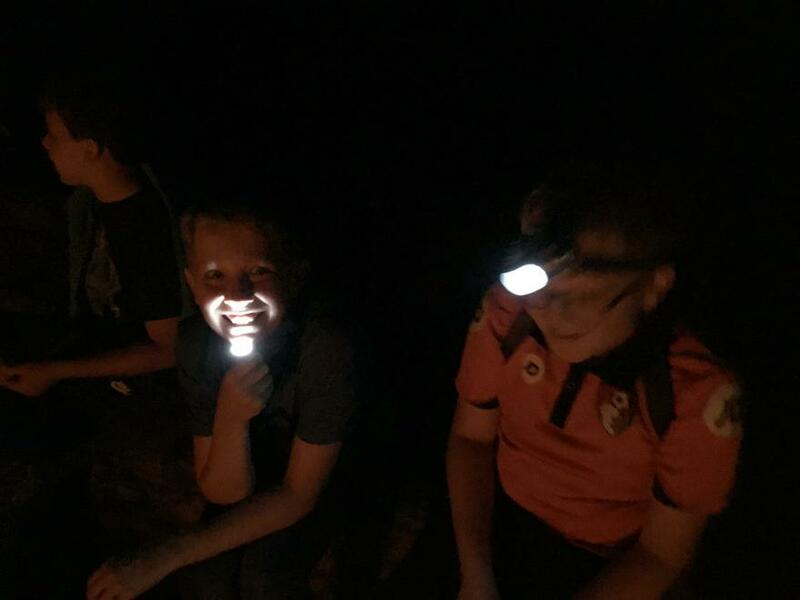 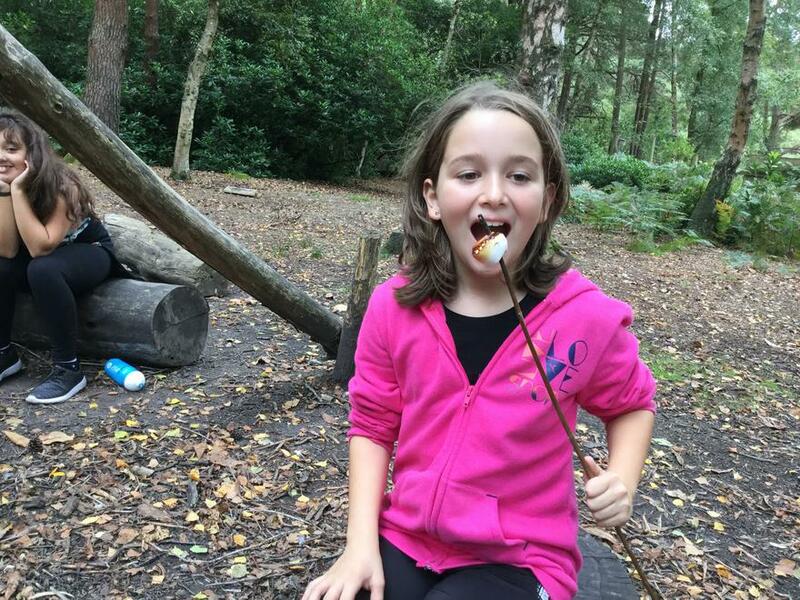 Tonight we have our dinner booked for 18:15 and a campfire with singing and an opportunity to toast marshmallows. 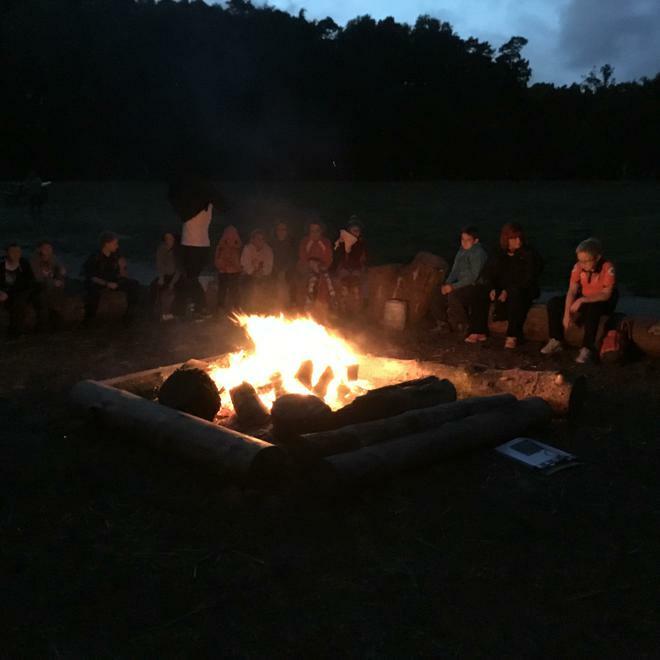 Our amazing campfire. 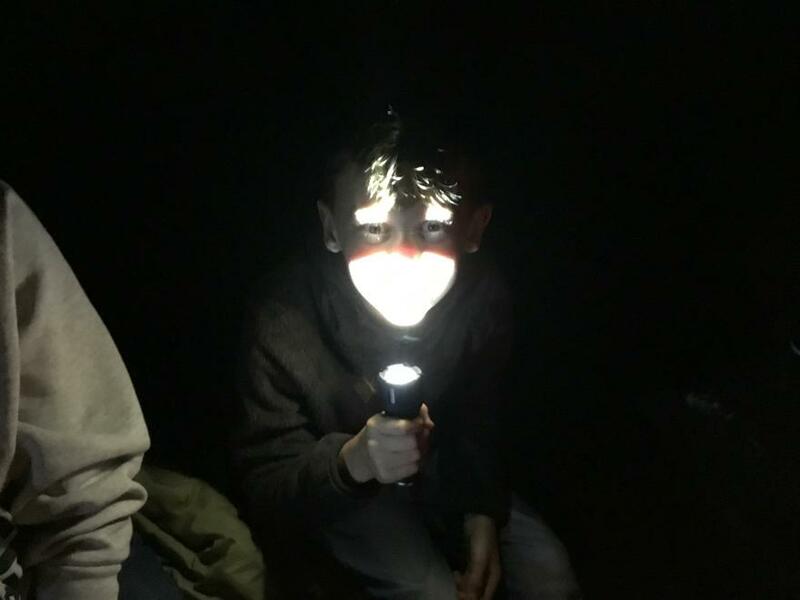 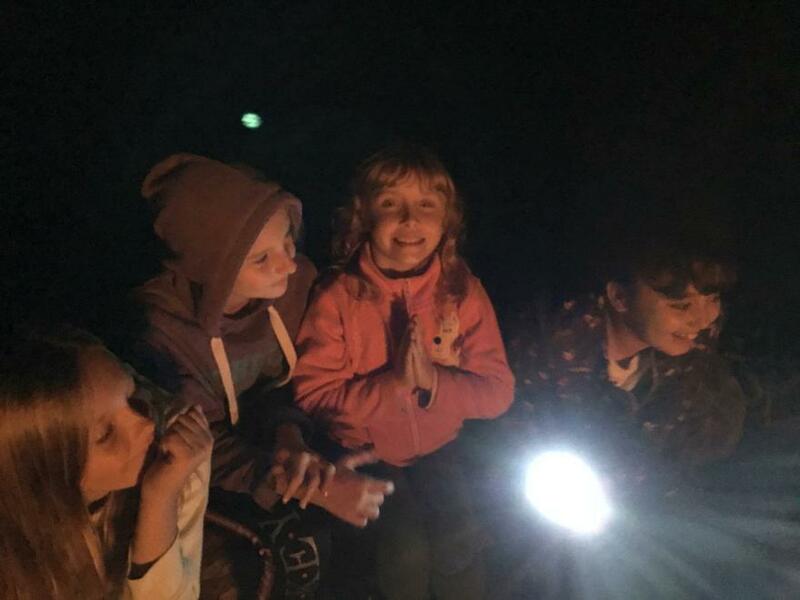 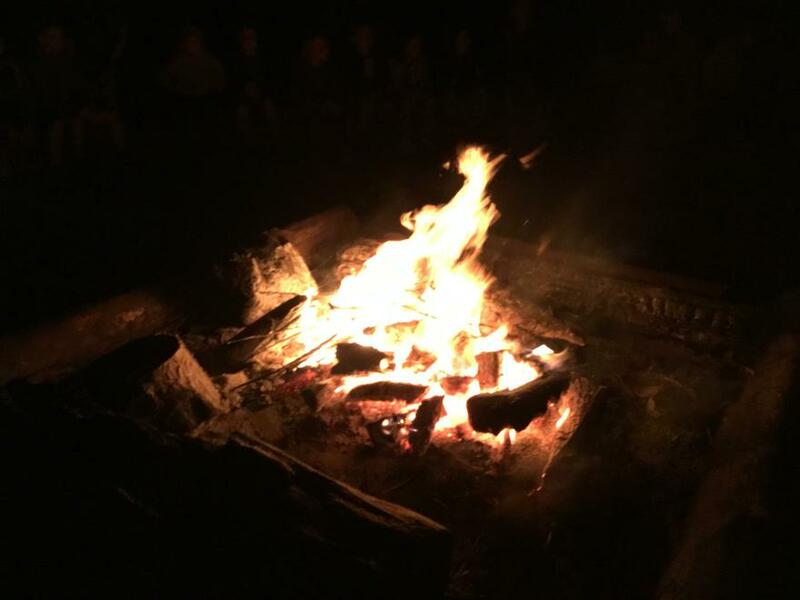 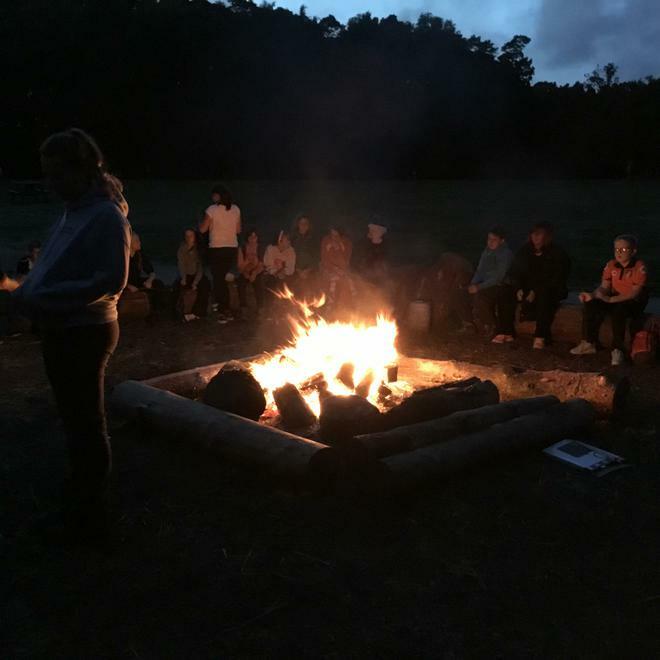 Be prepared for your children to be teaching you some new campfire songs on their return! 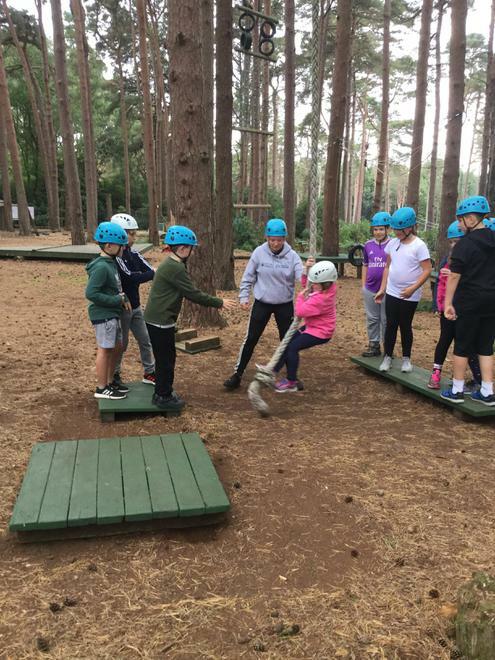 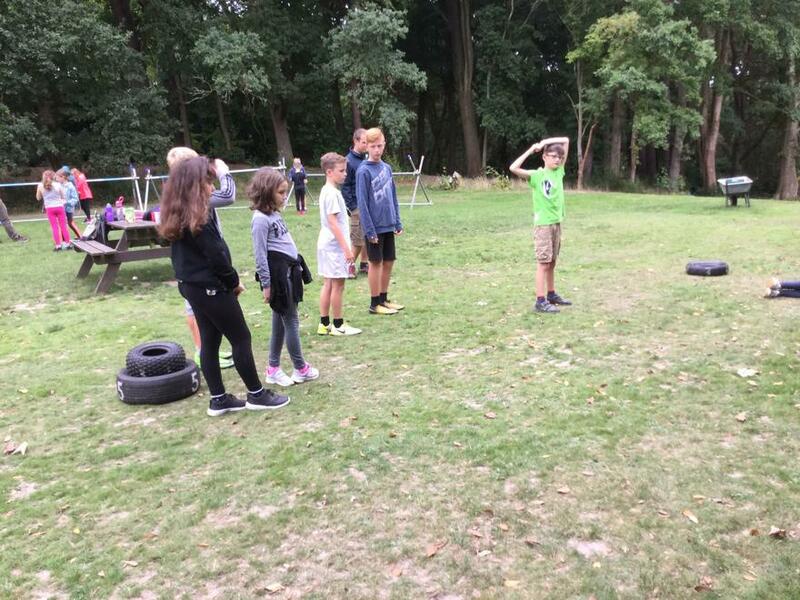 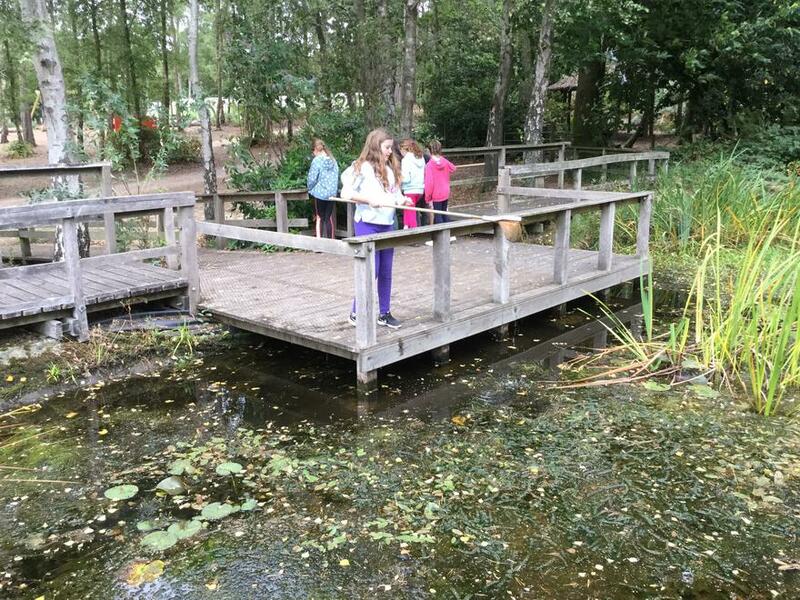 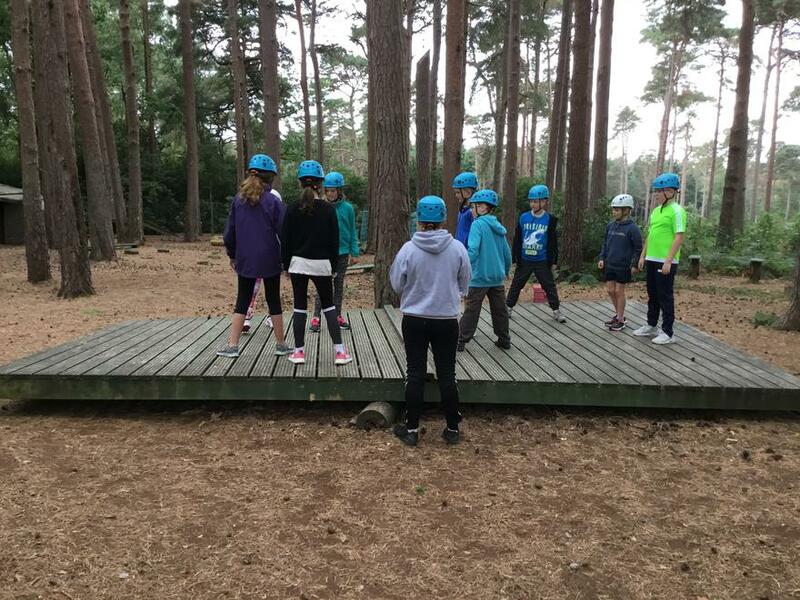 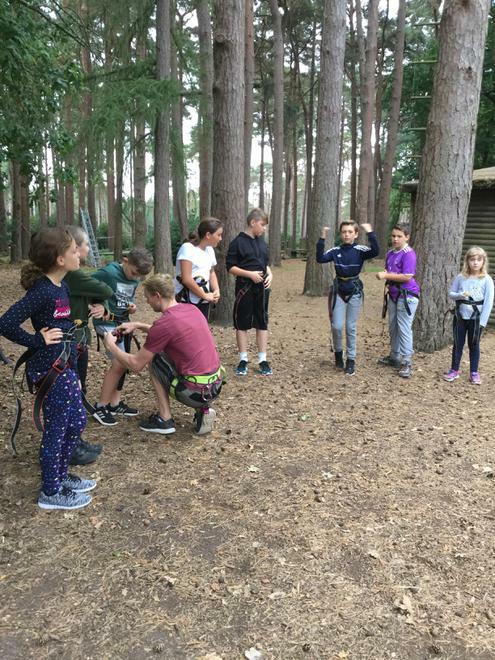 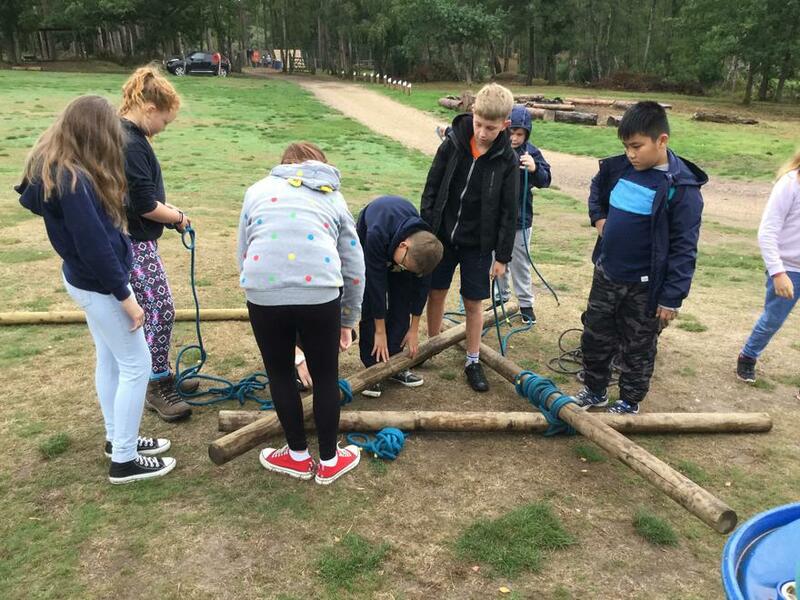 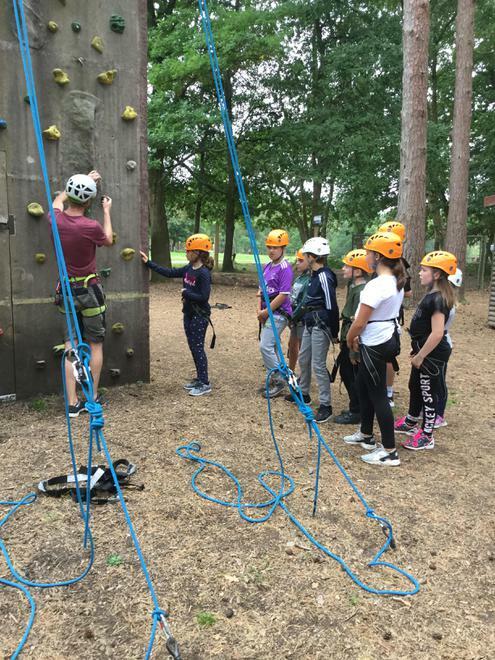 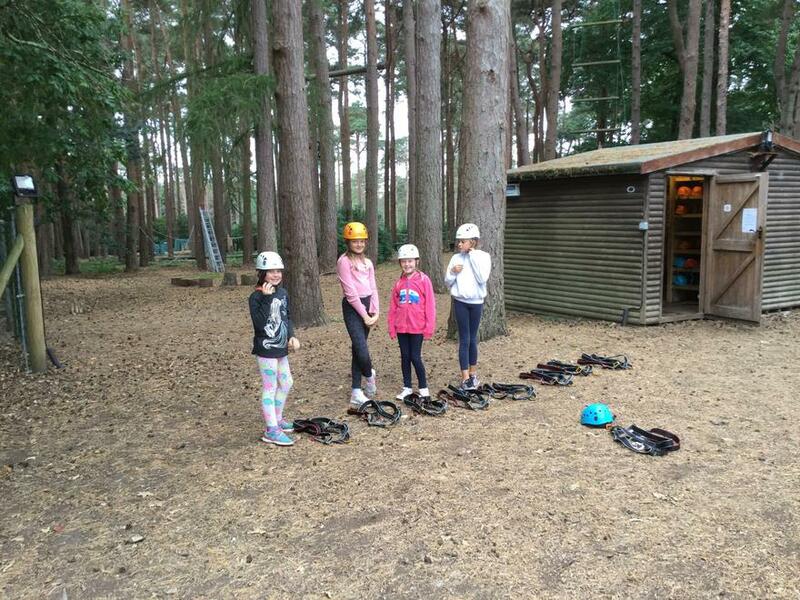 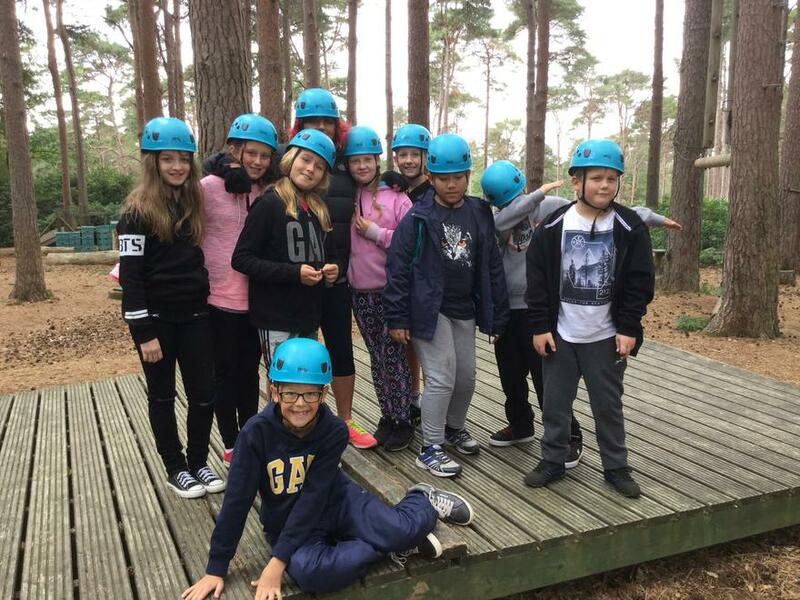 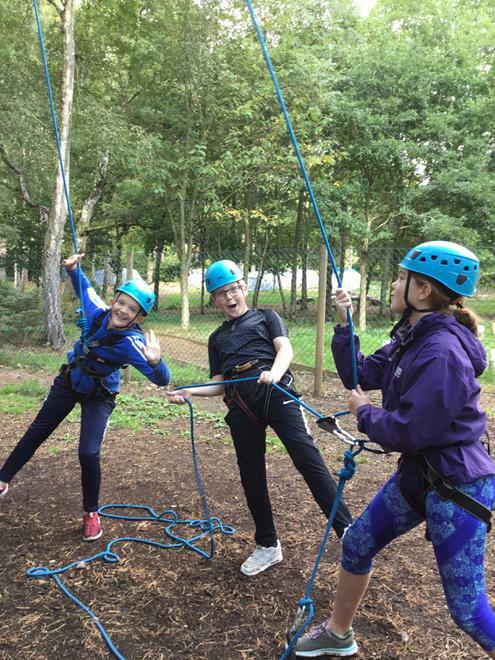 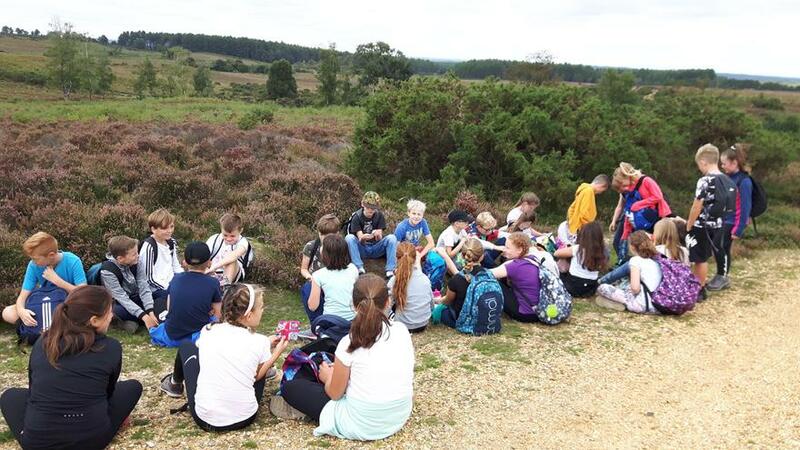 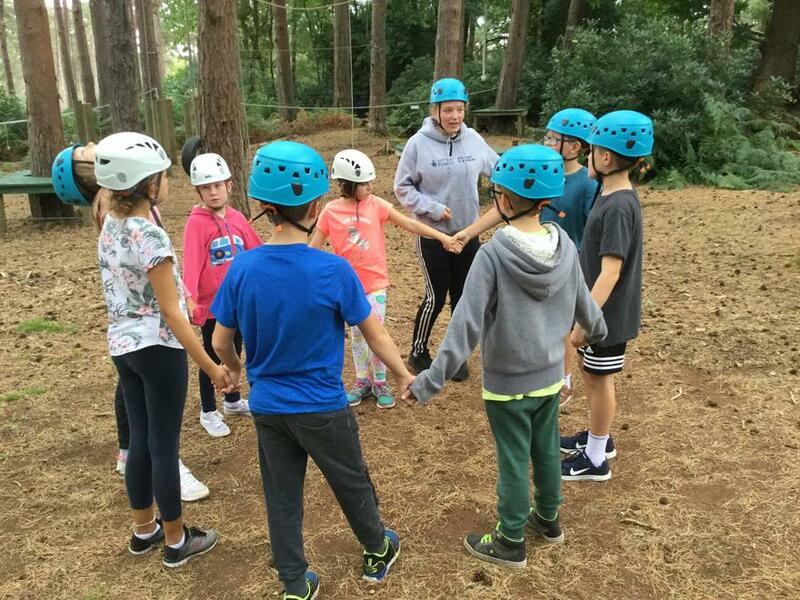 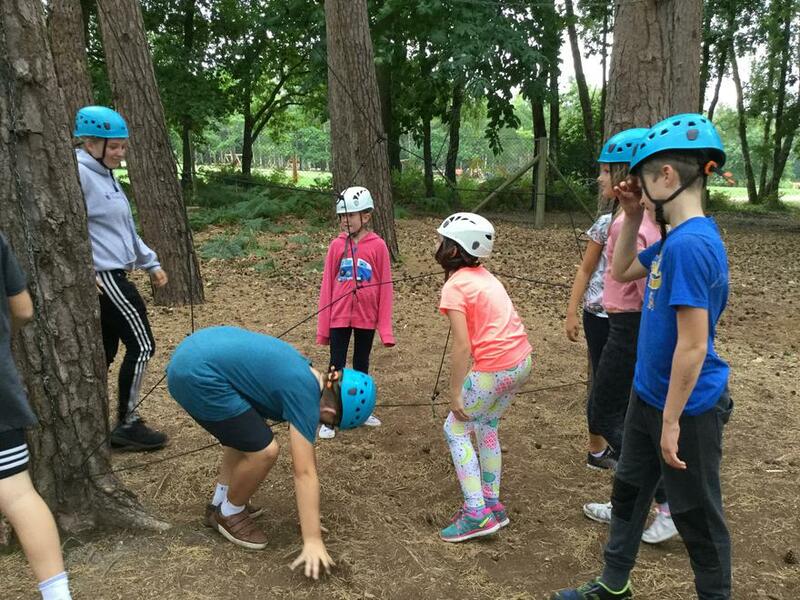 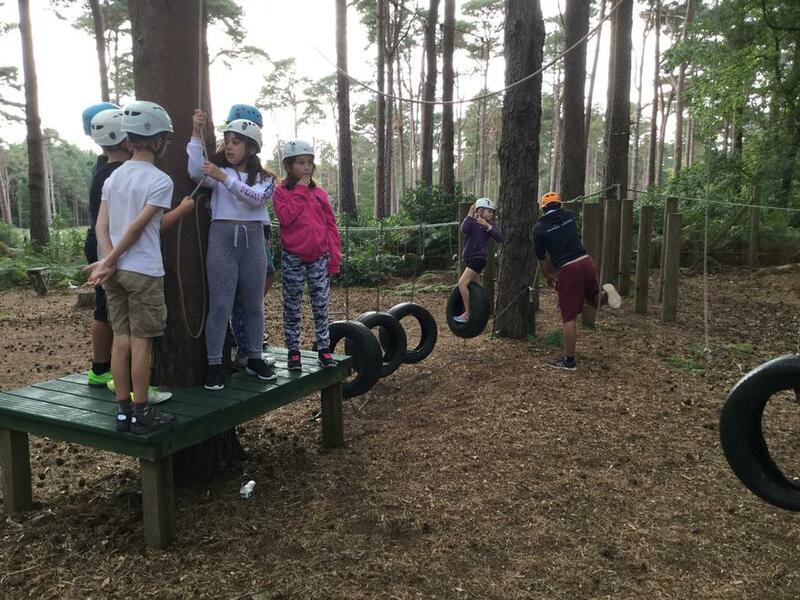 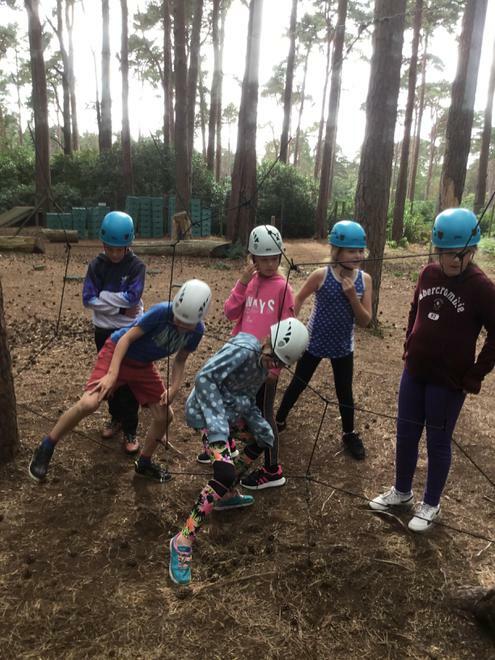 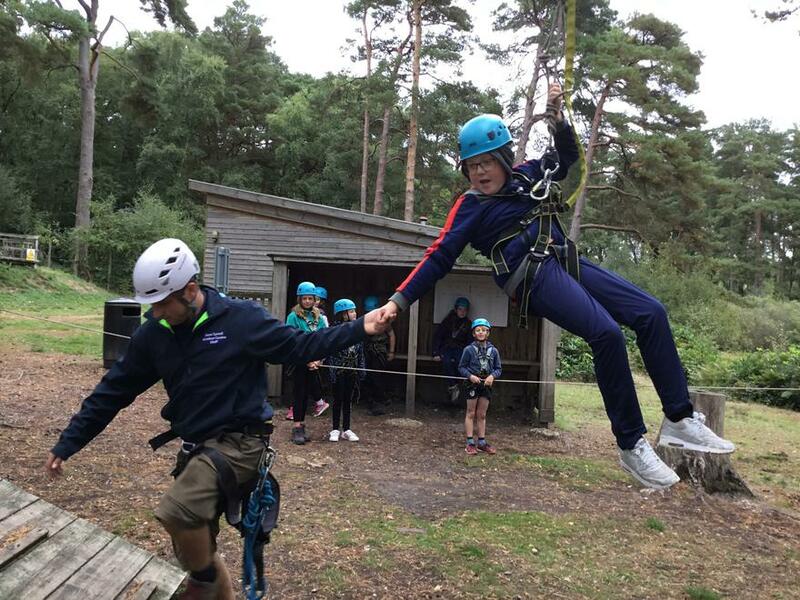 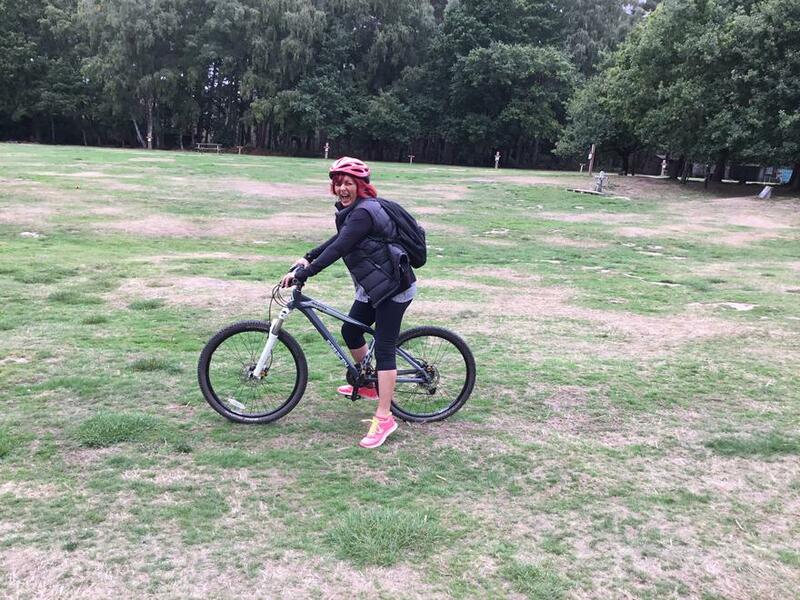 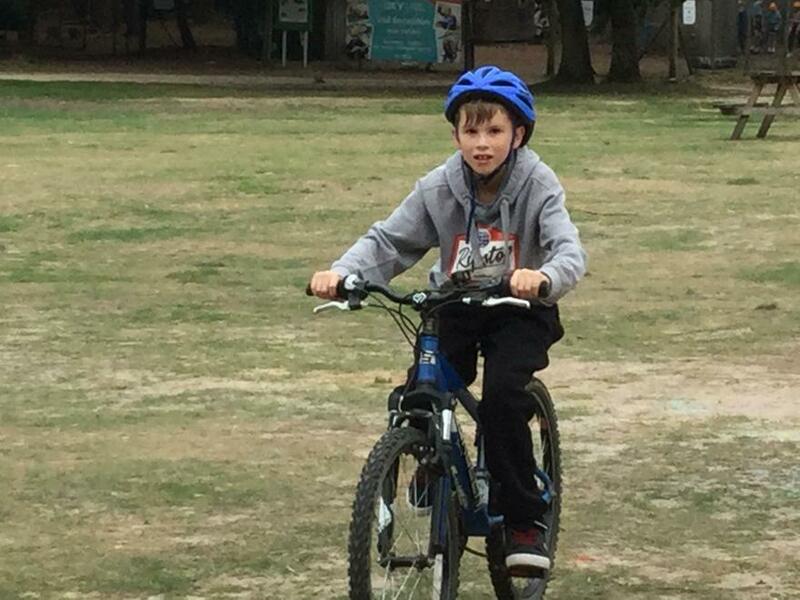 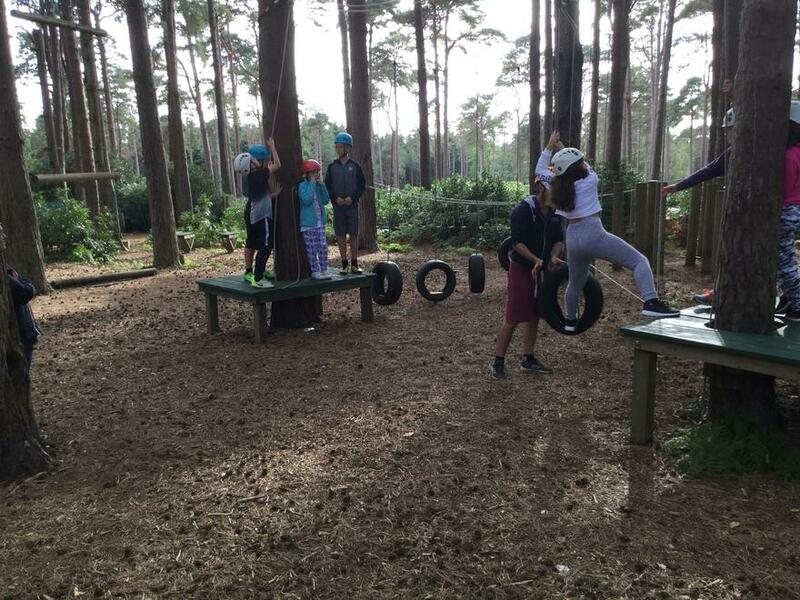 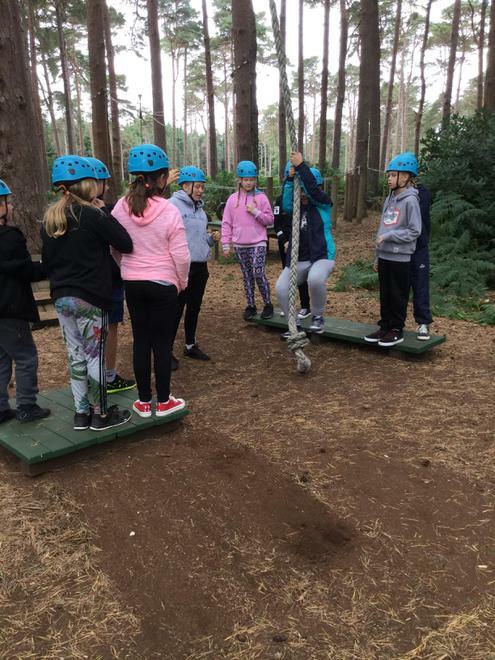 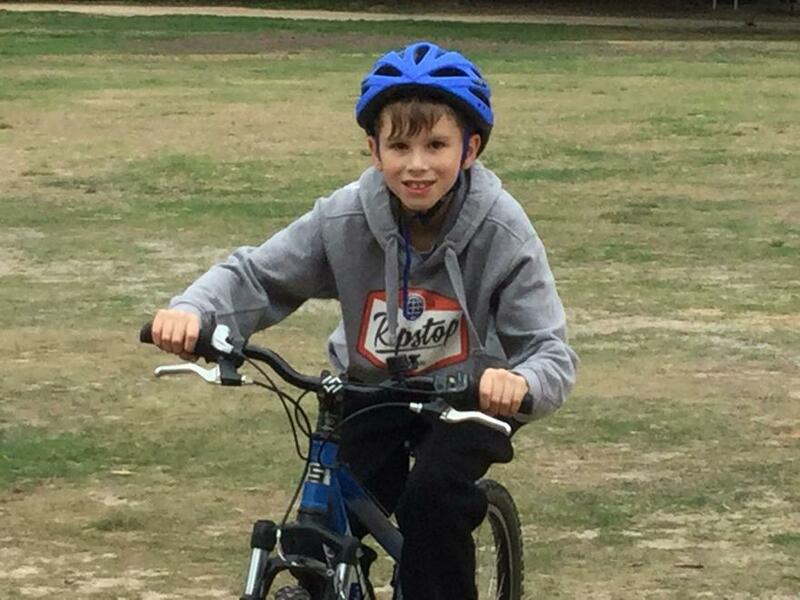 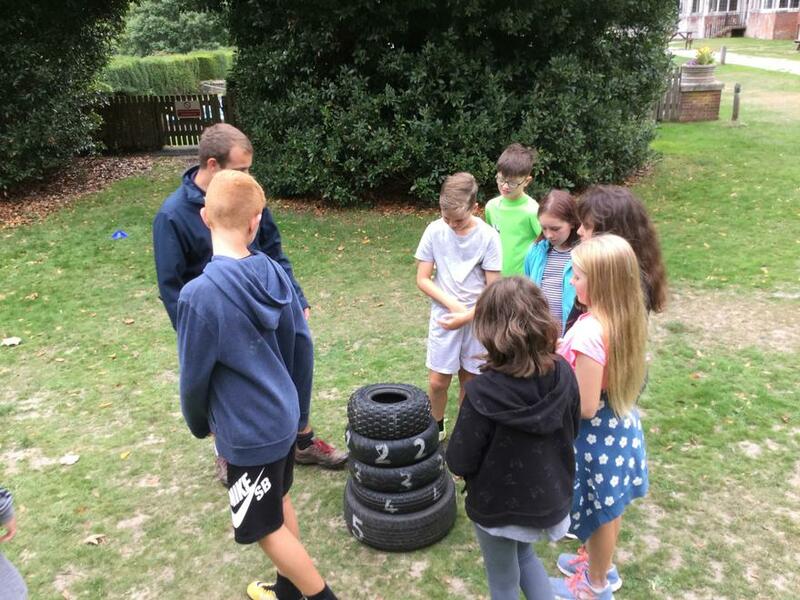 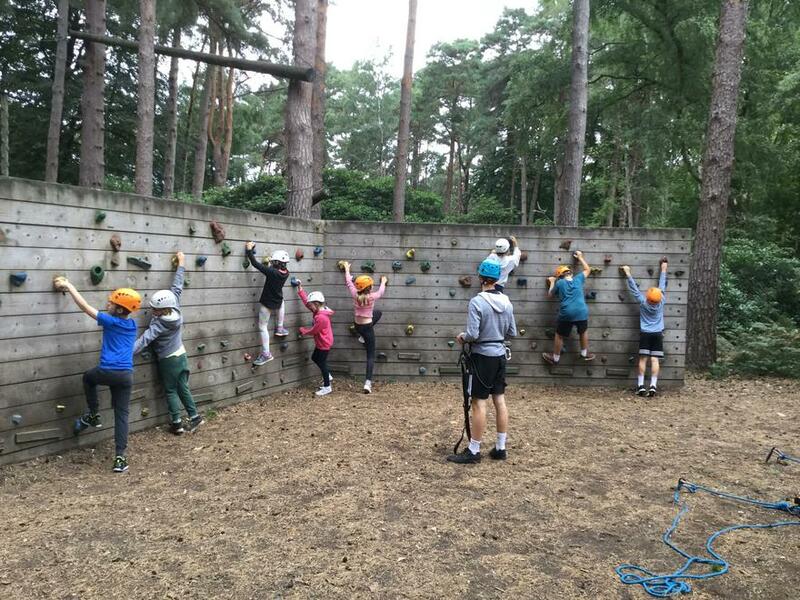 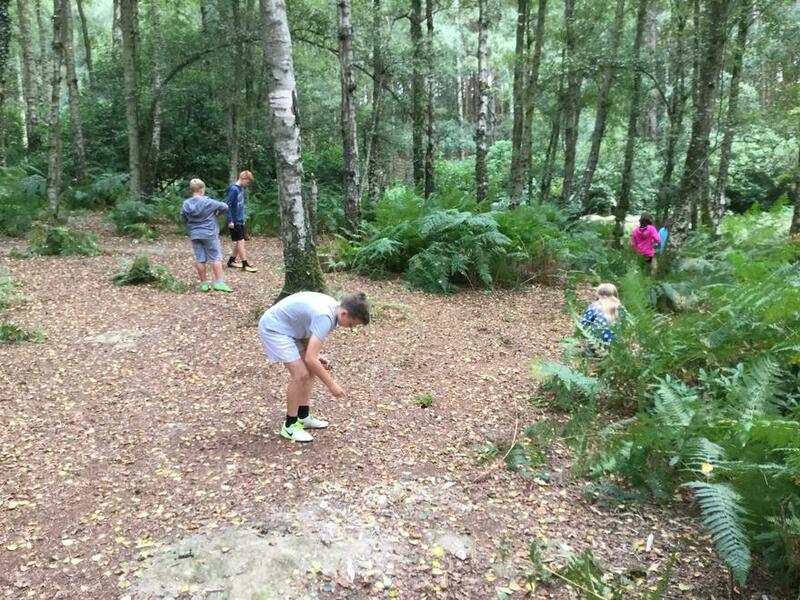 A brilliant second day: problem solving, mountain biking, bush craft, climbing, pond dipping and orienteering! 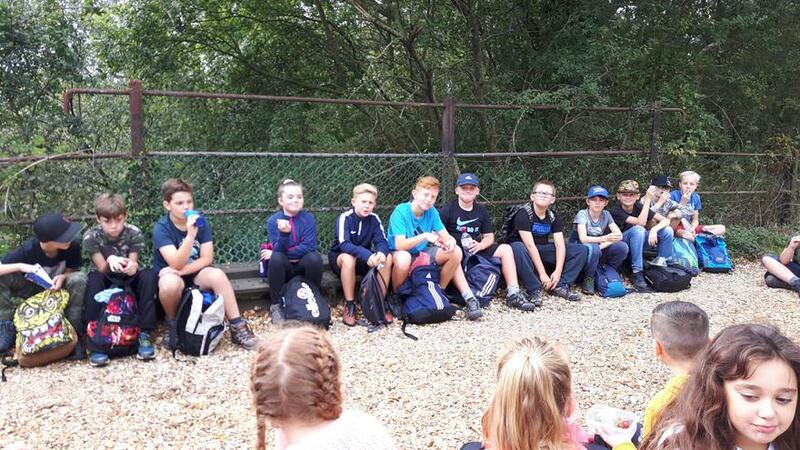 We're all exhausted and sat in our pyjamas watching Despicable Me before we get a very needed sleep. 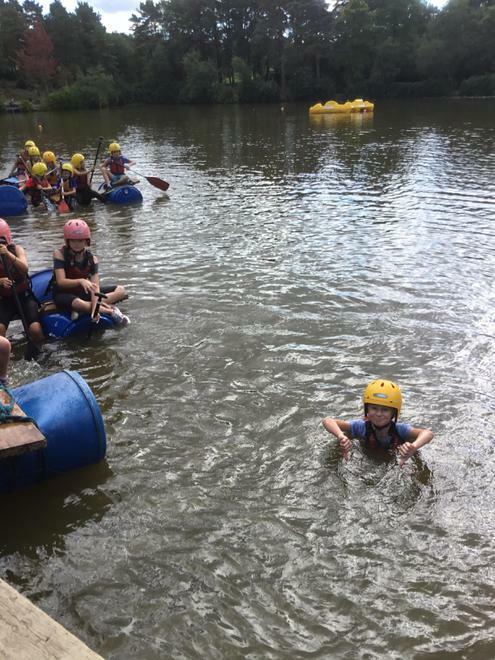 Fingers crossed we miss the rain tomorrow! 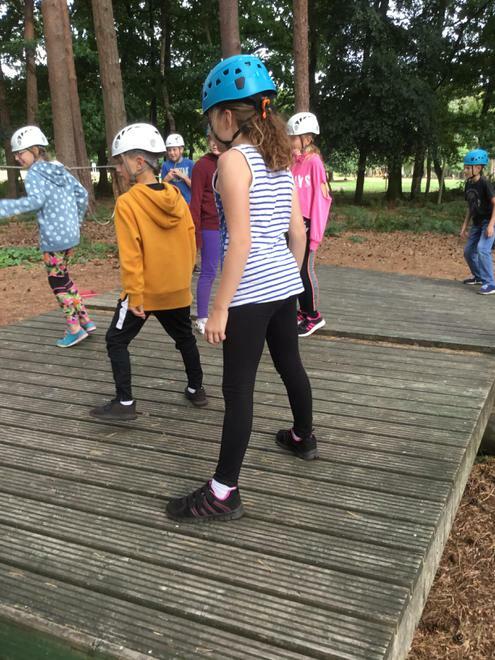 A very action-packed third day. 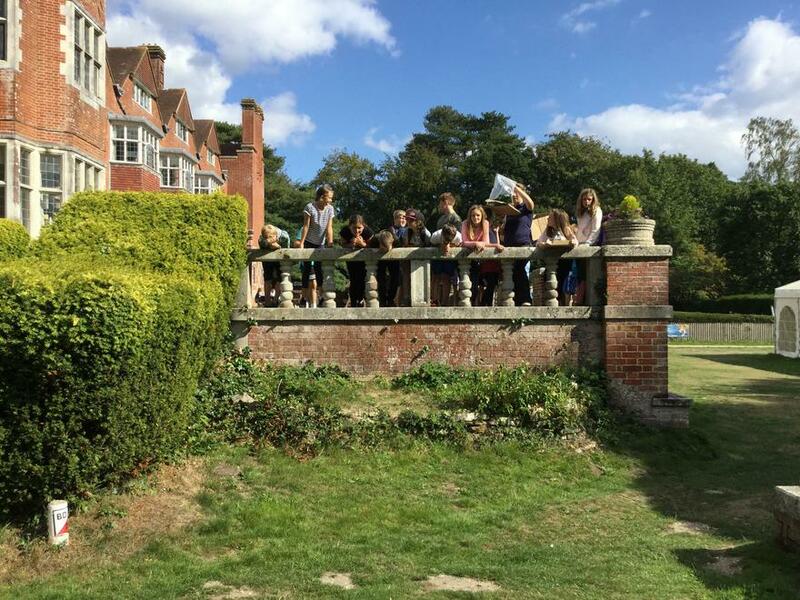 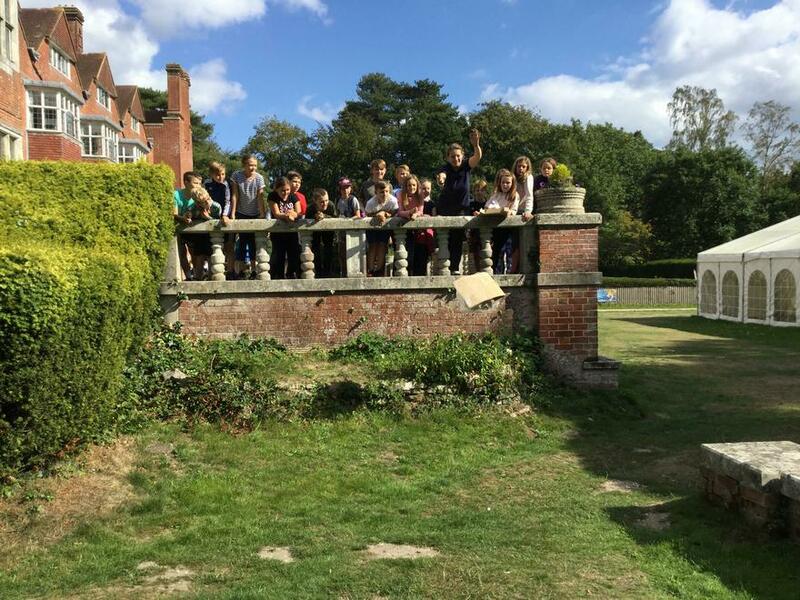 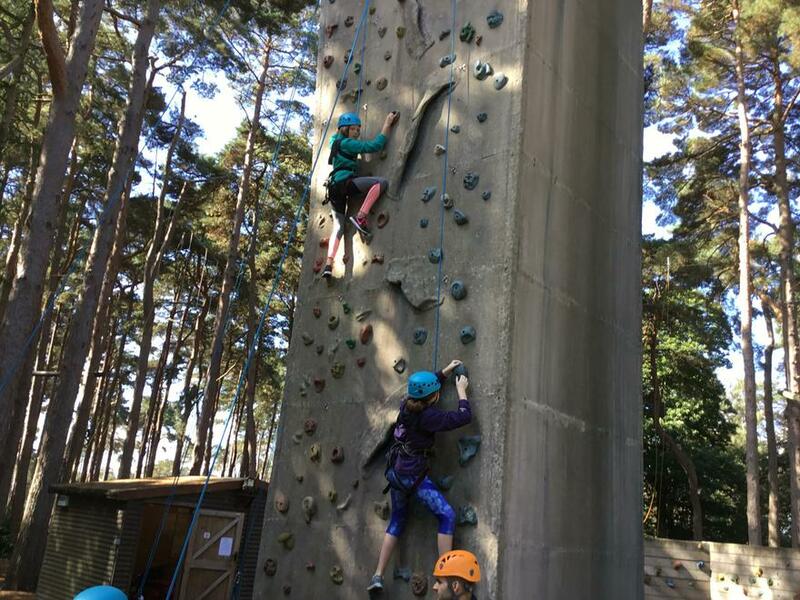 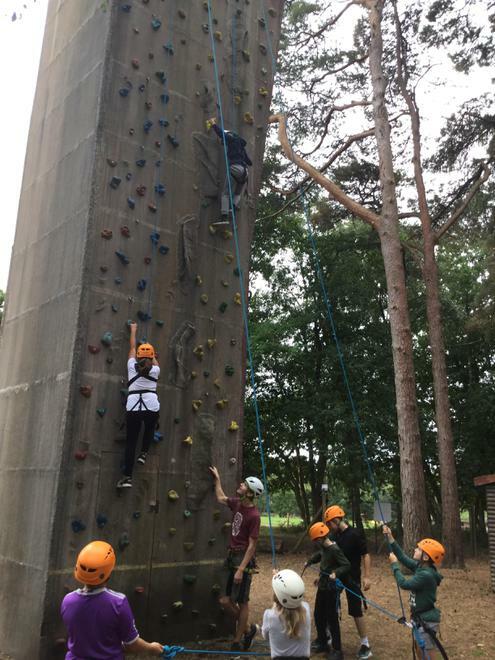 Our residential is drawing to a close and we have had the most fantastic fourth day with beautiful sunshine to go with it. 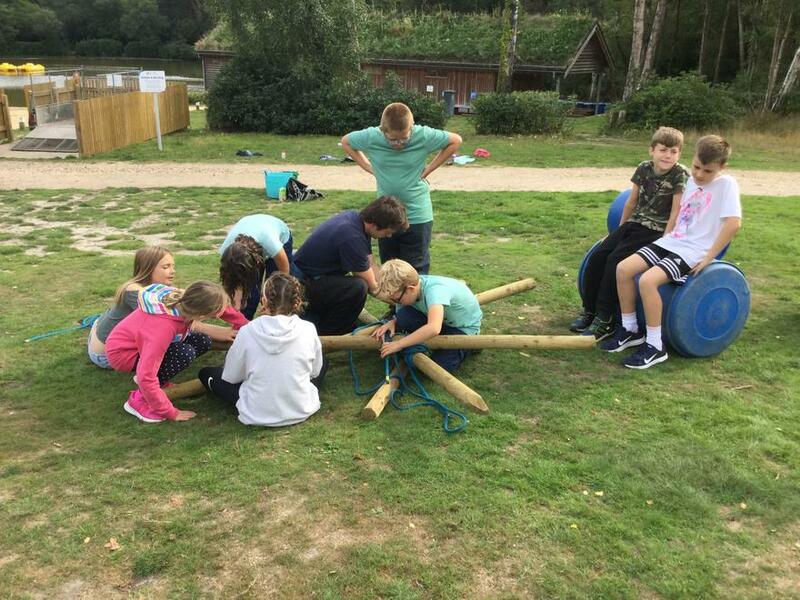 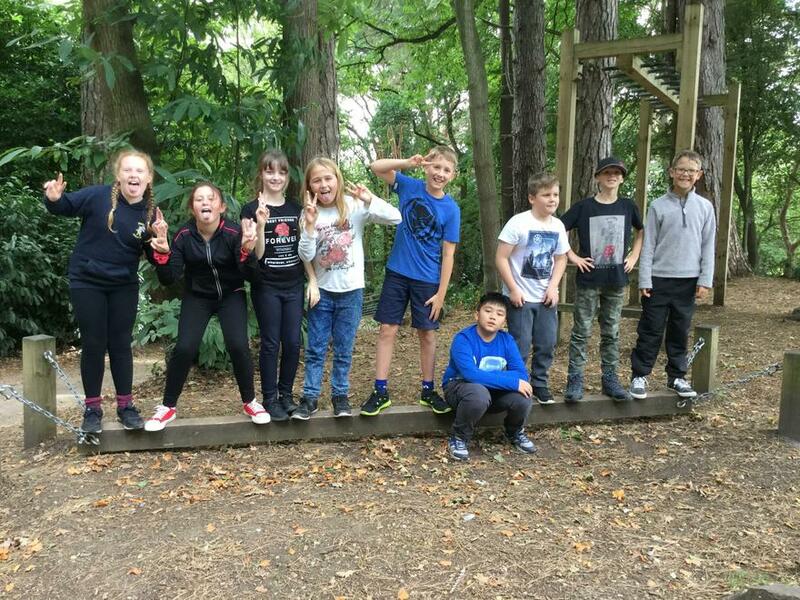 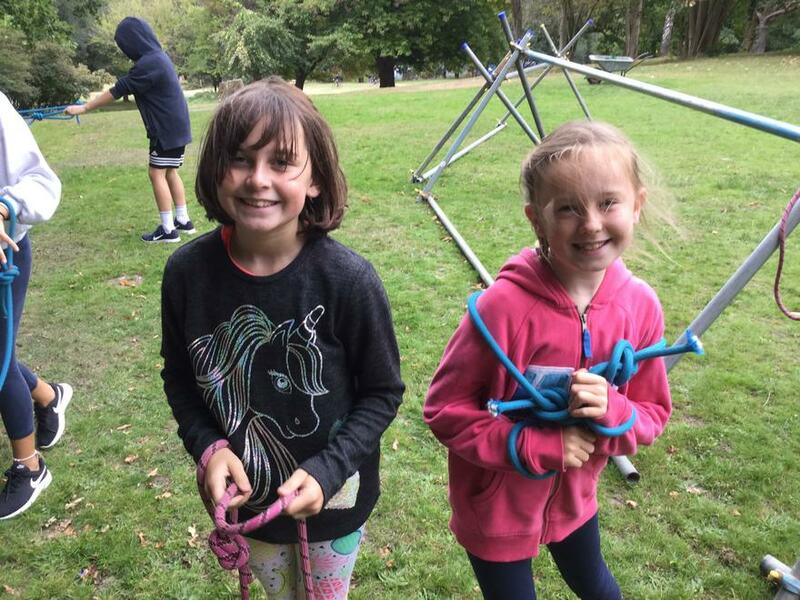 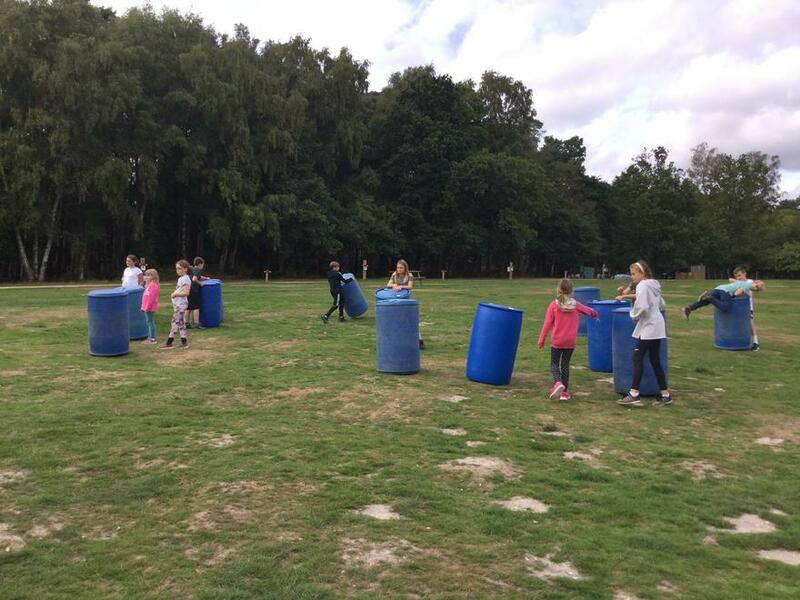 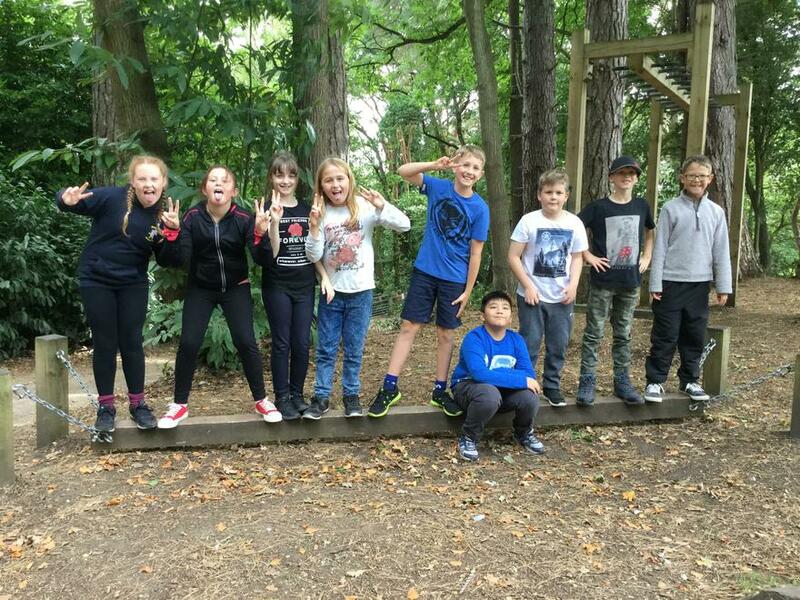 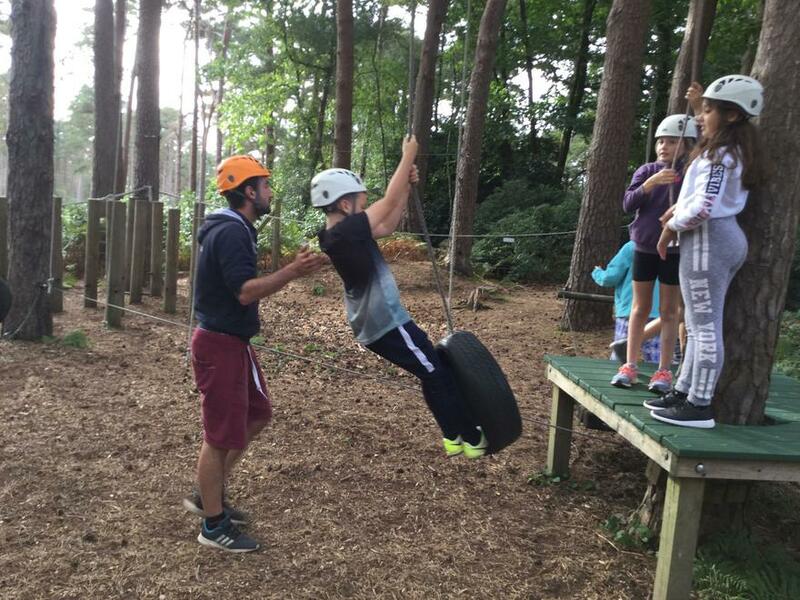 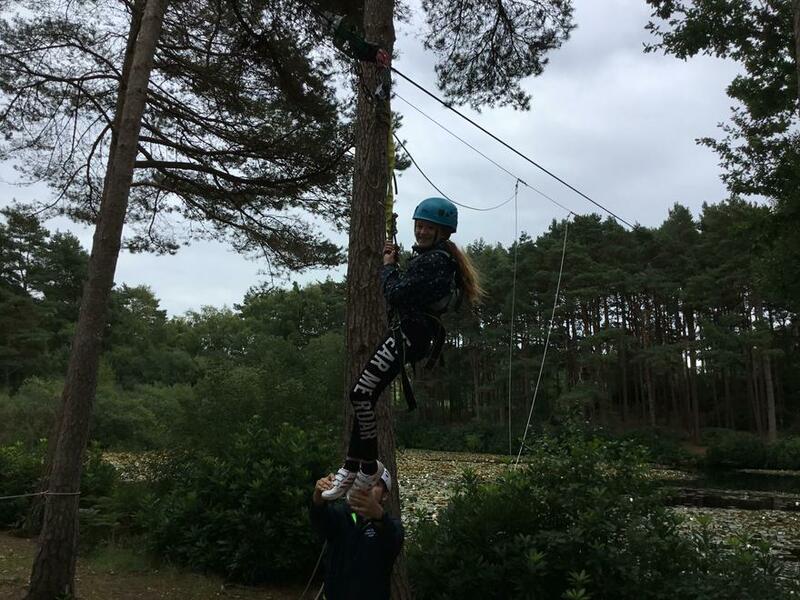 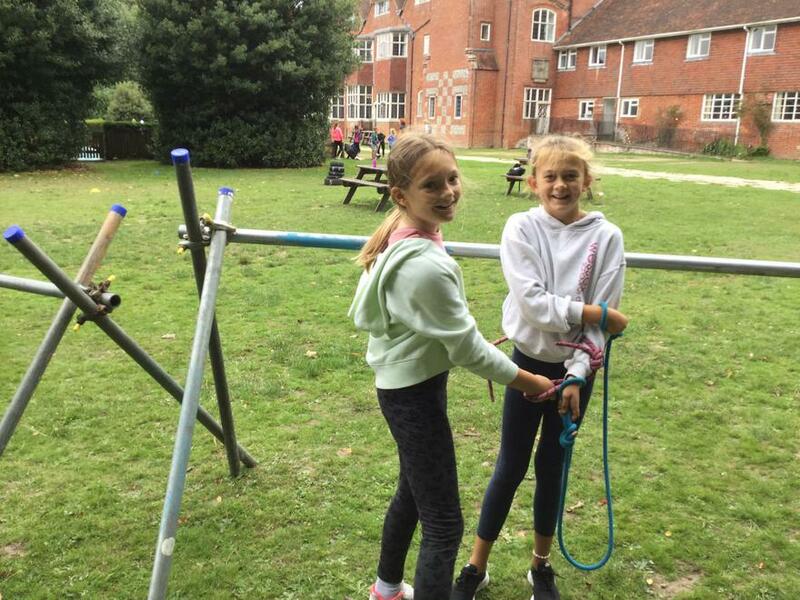 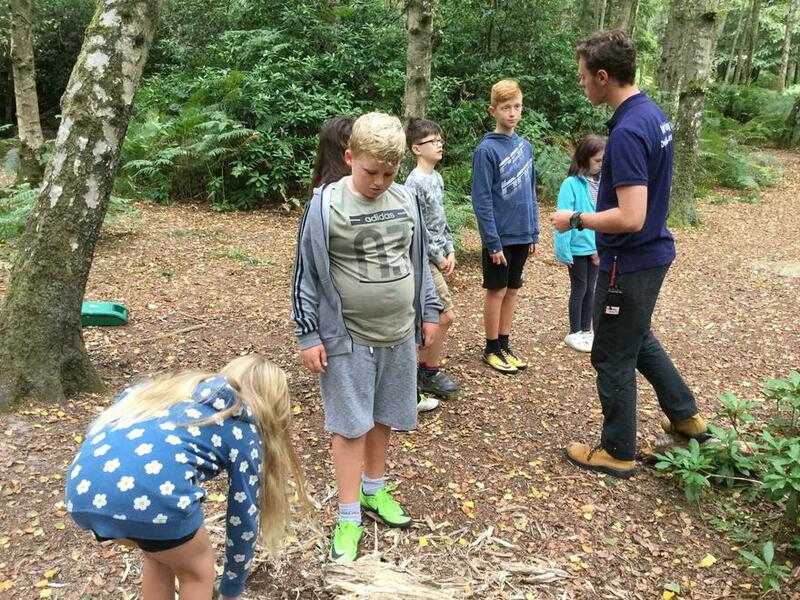 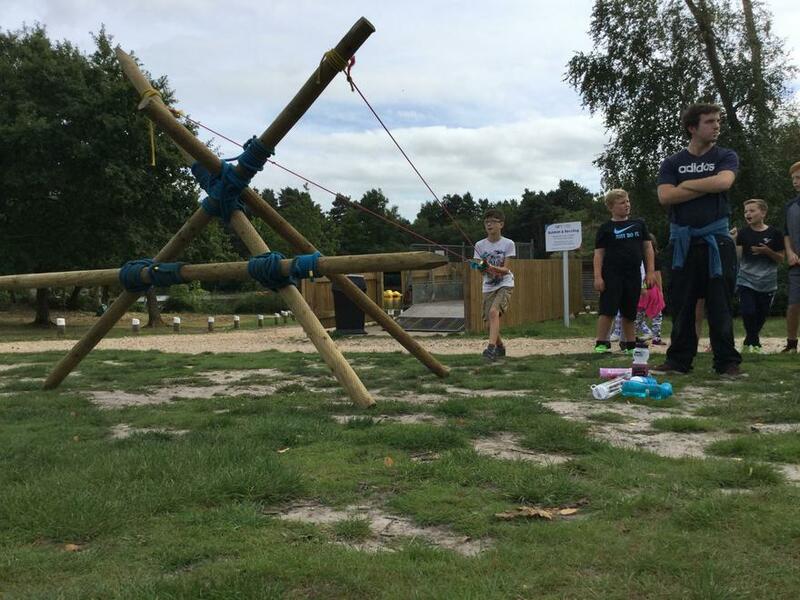 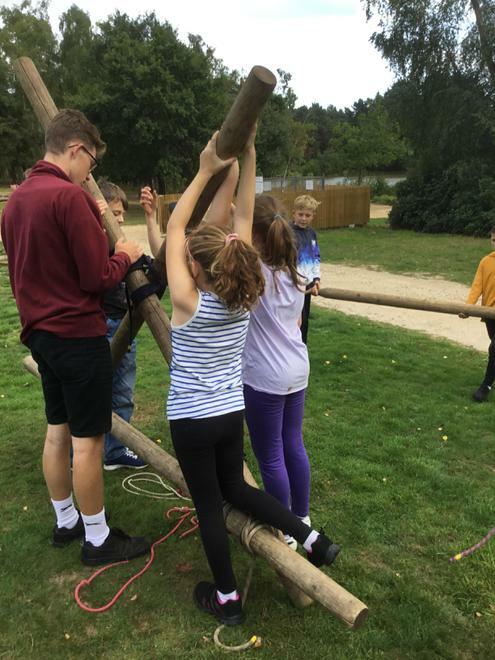 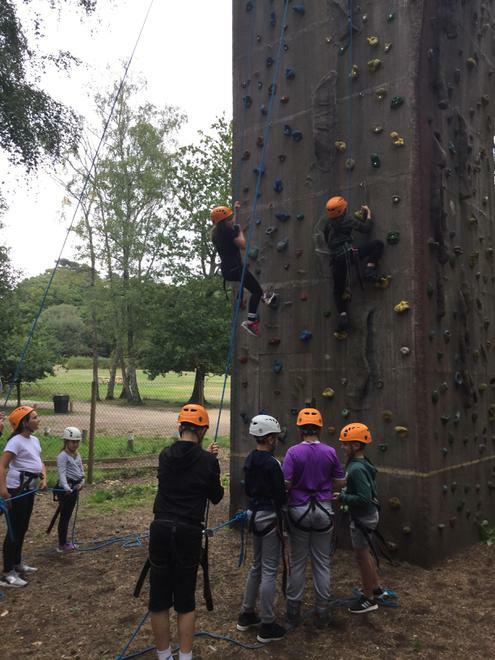 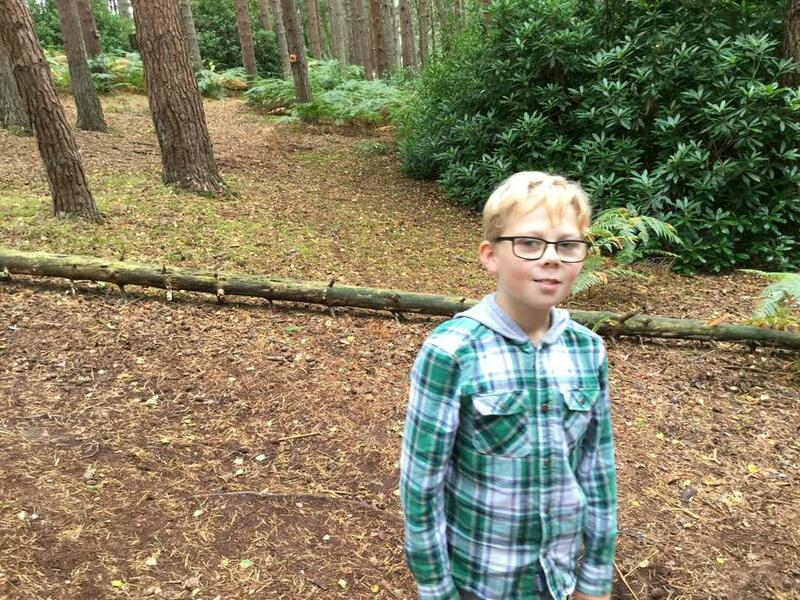 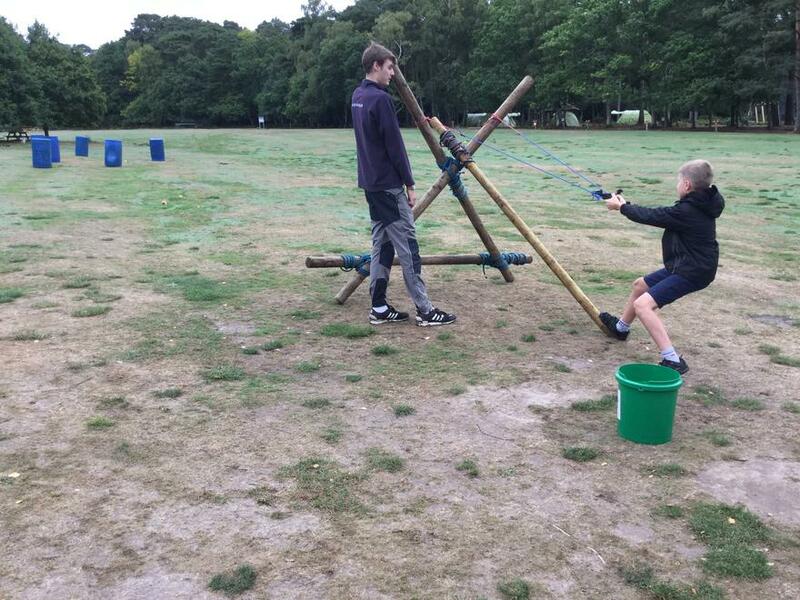 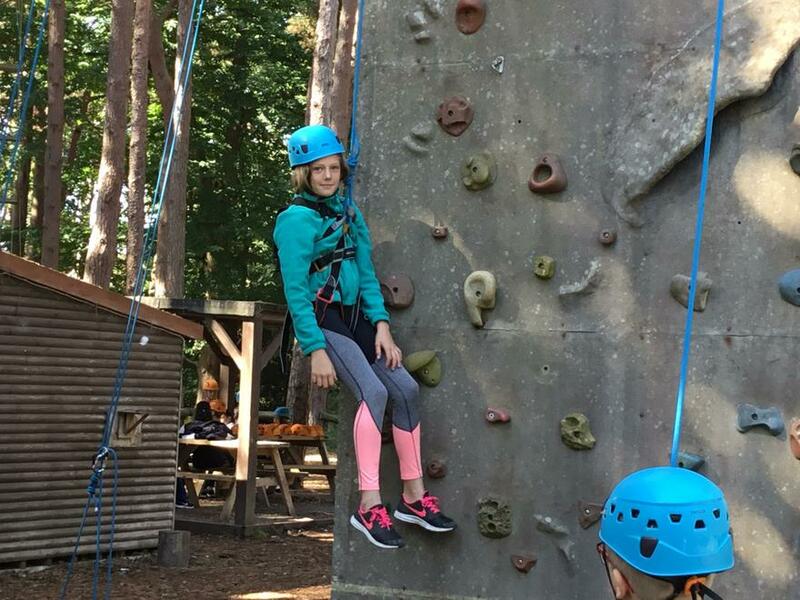 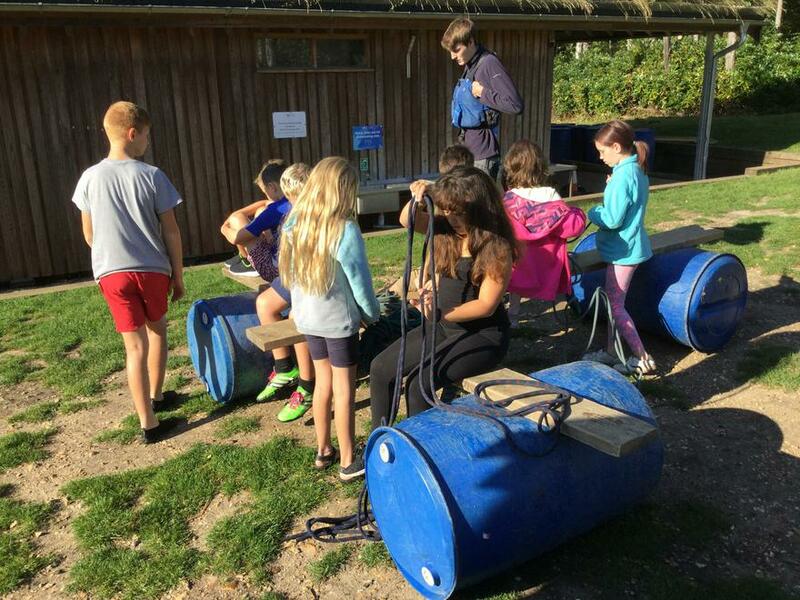 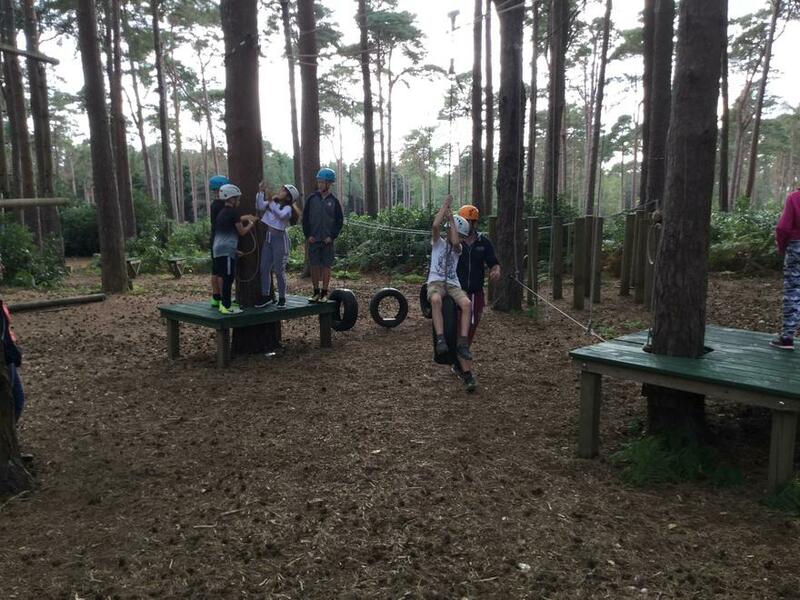 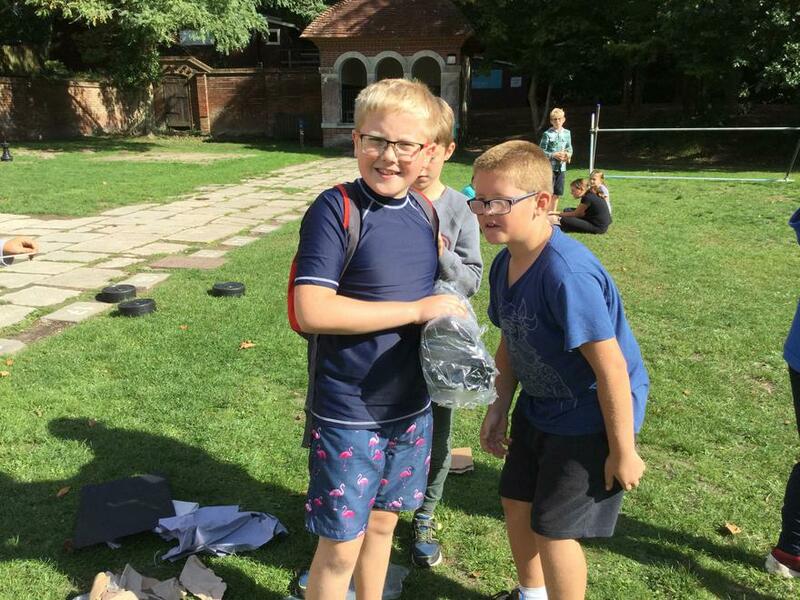 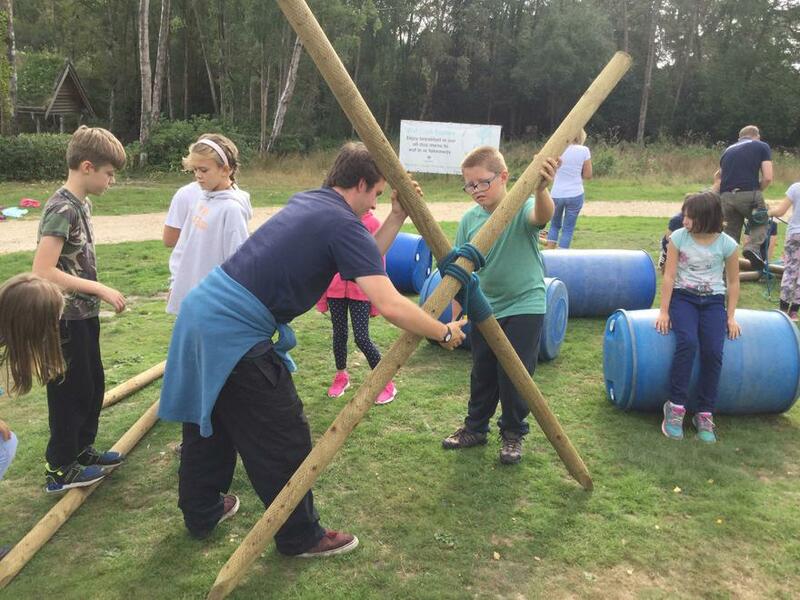 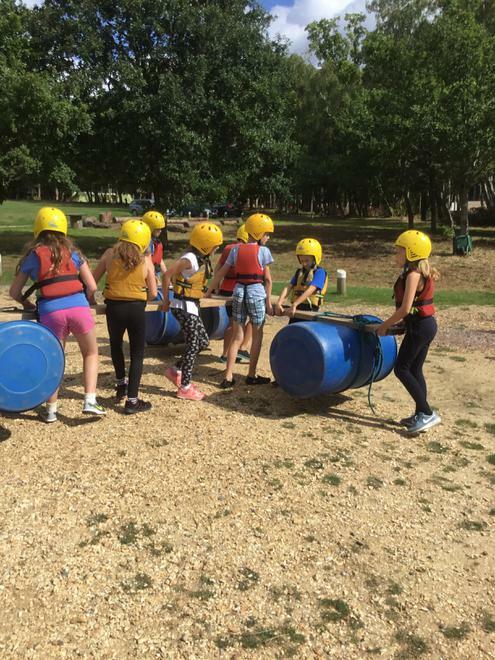 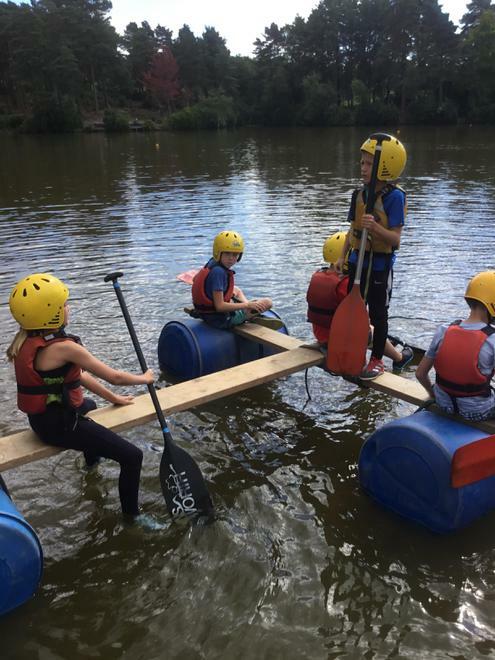 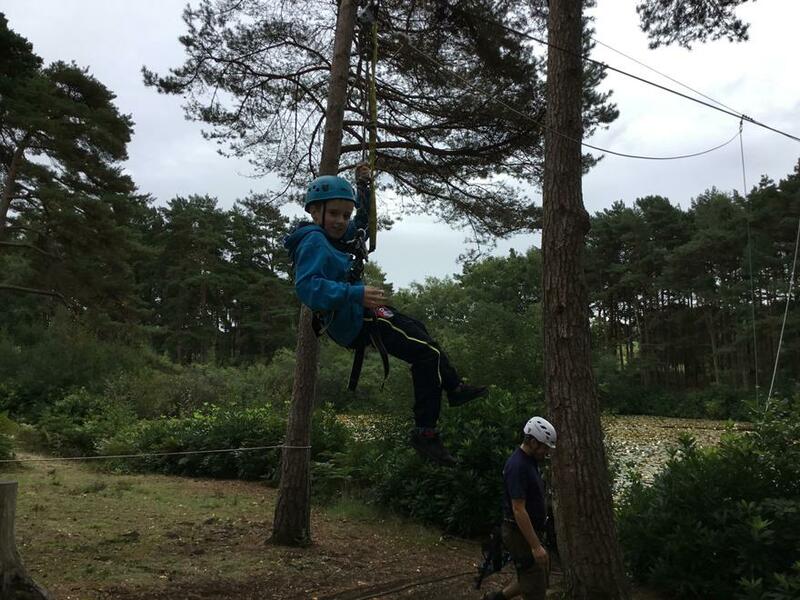 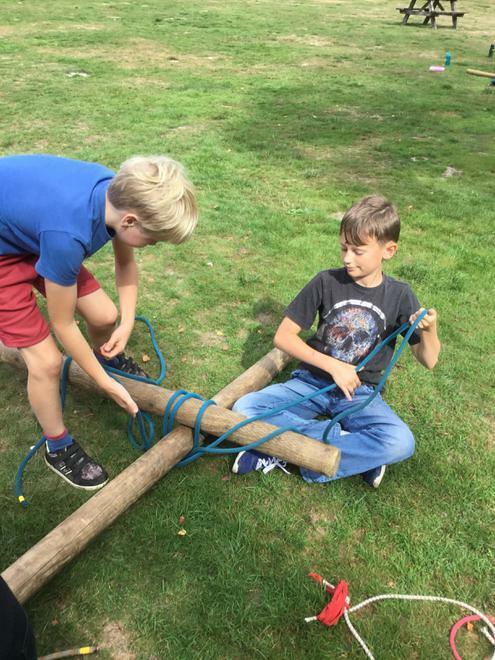 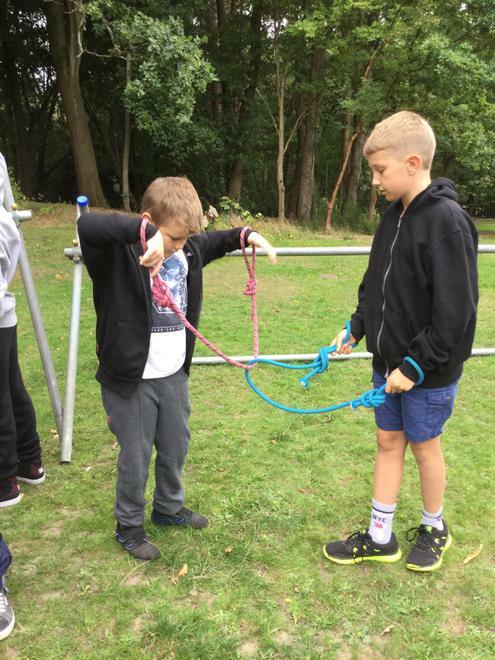 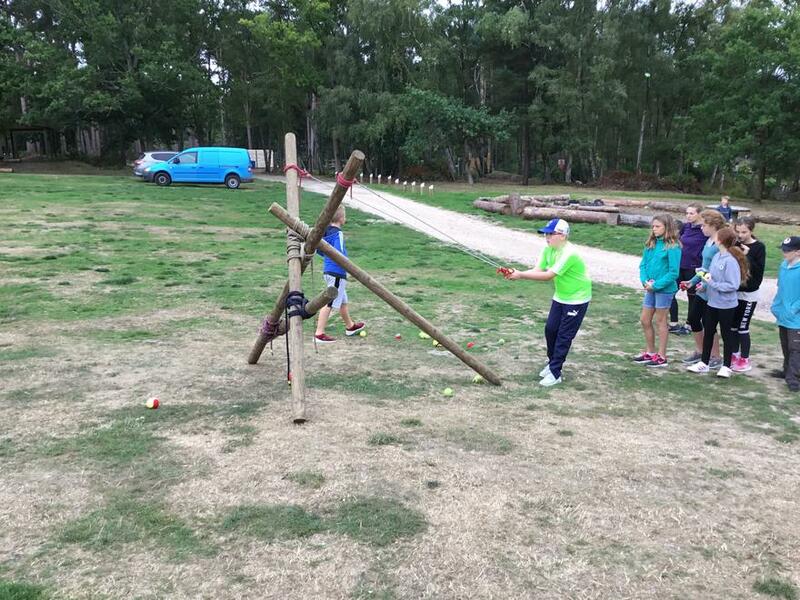 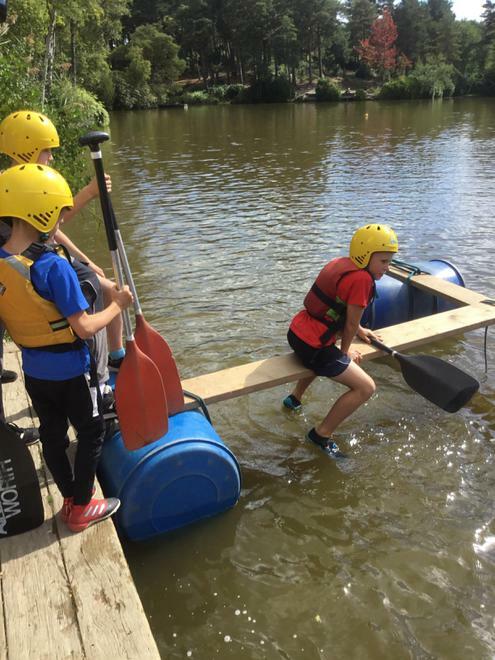 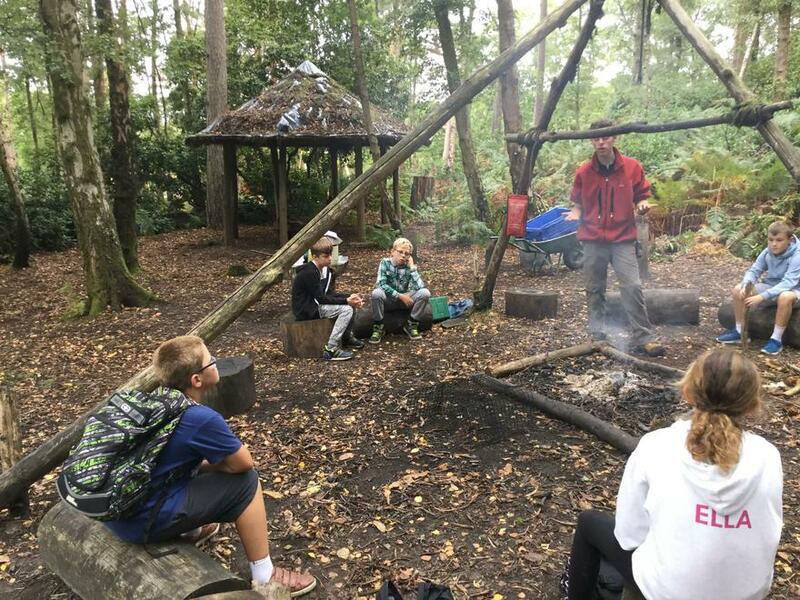 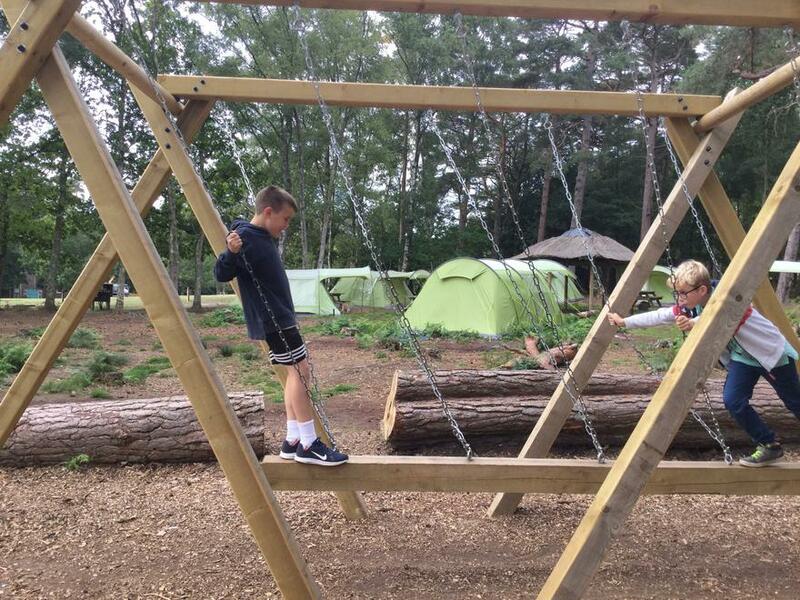 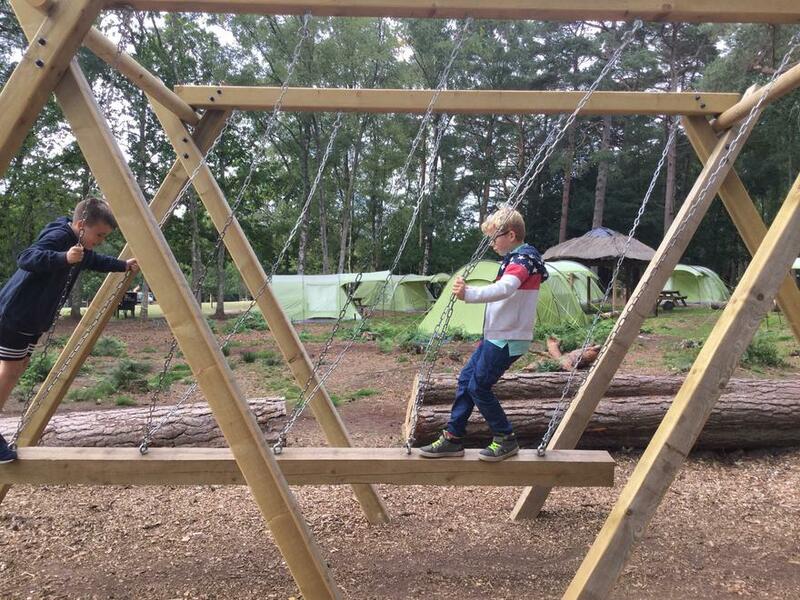 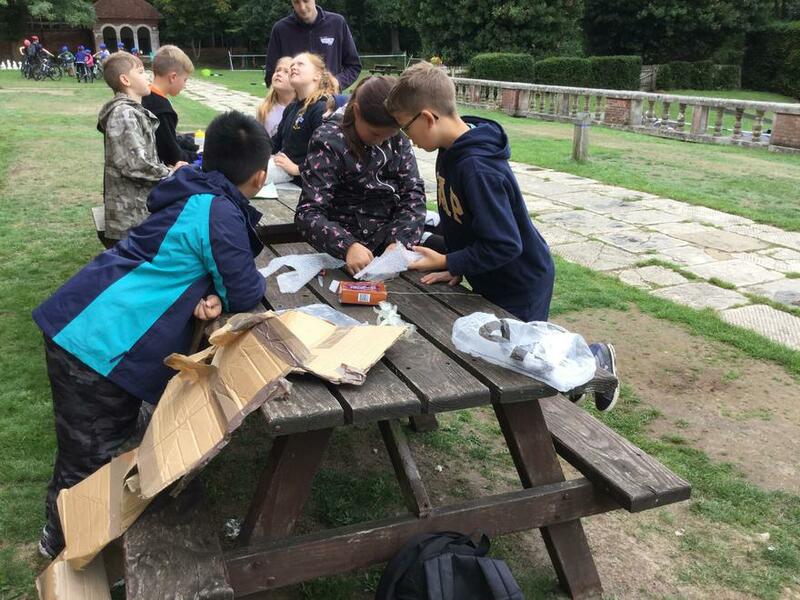 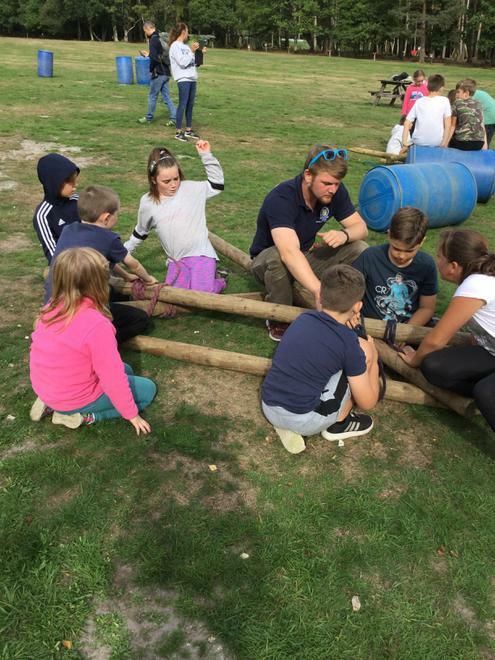 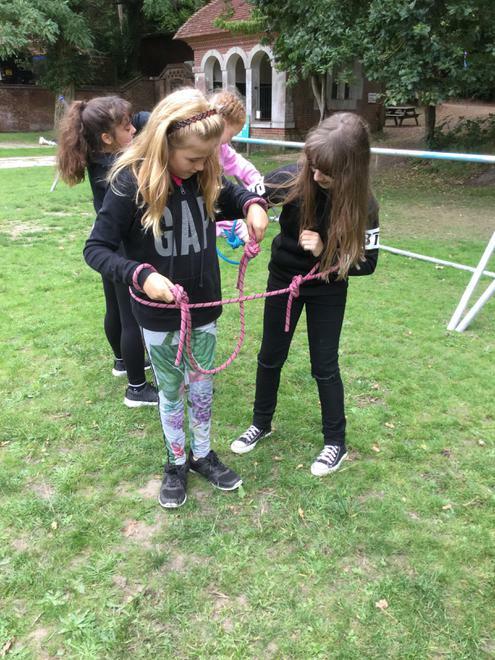 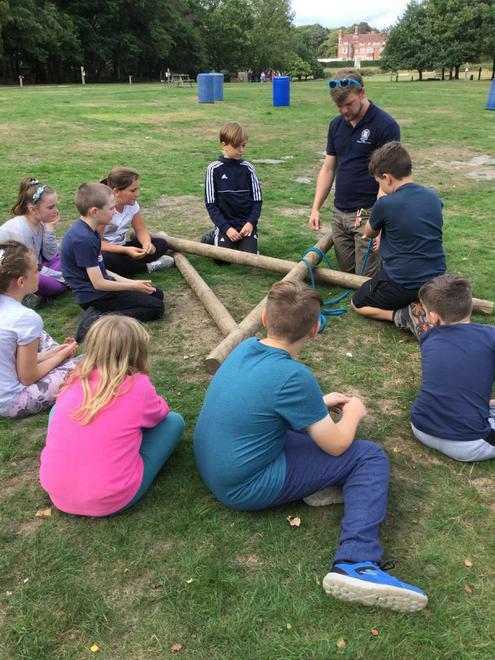 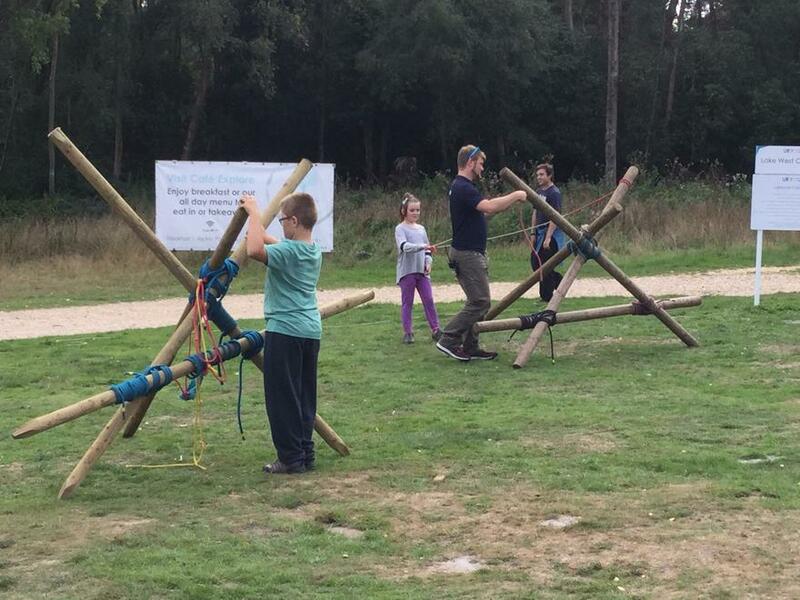 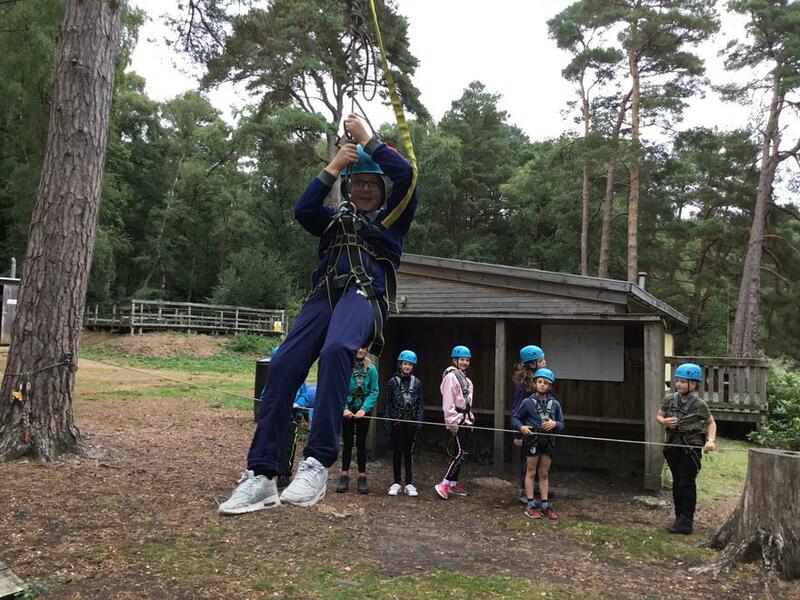 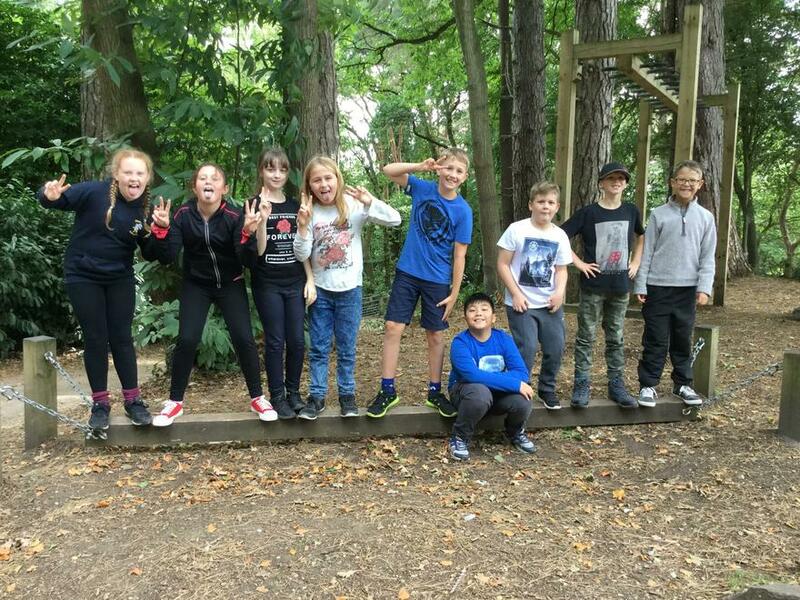 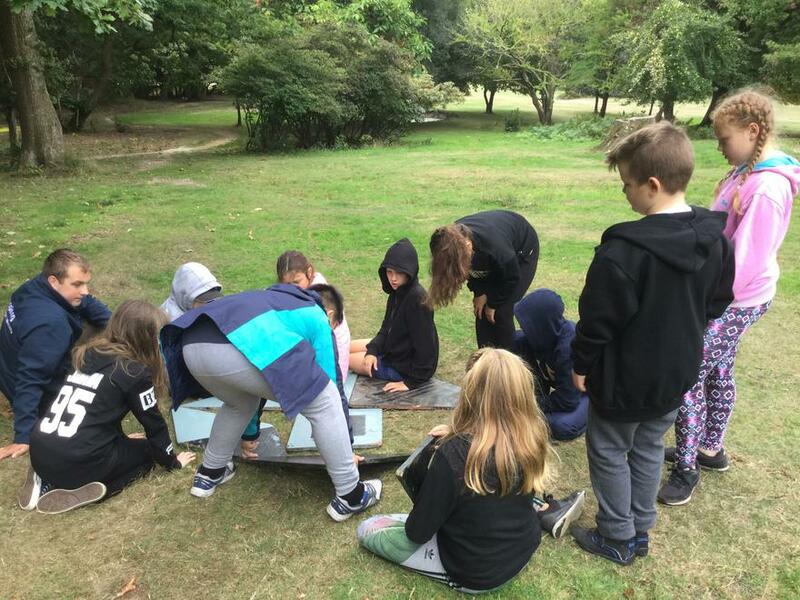 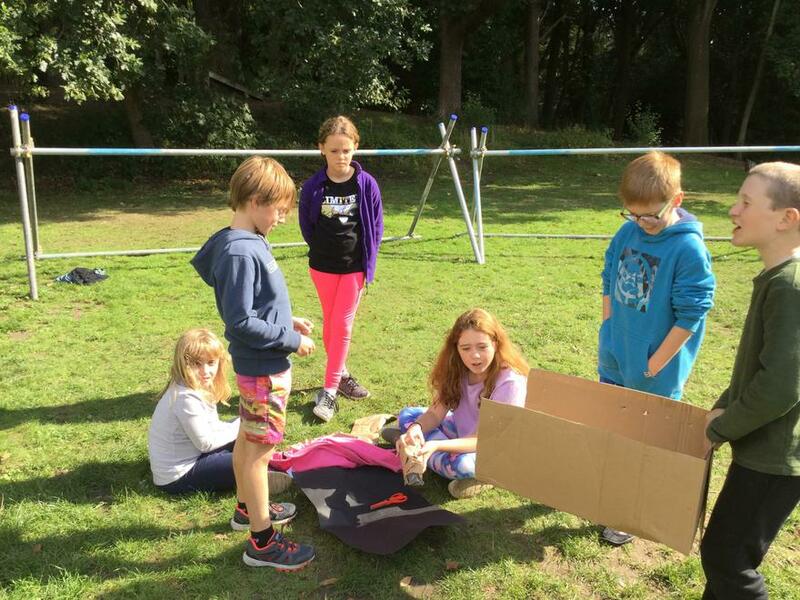 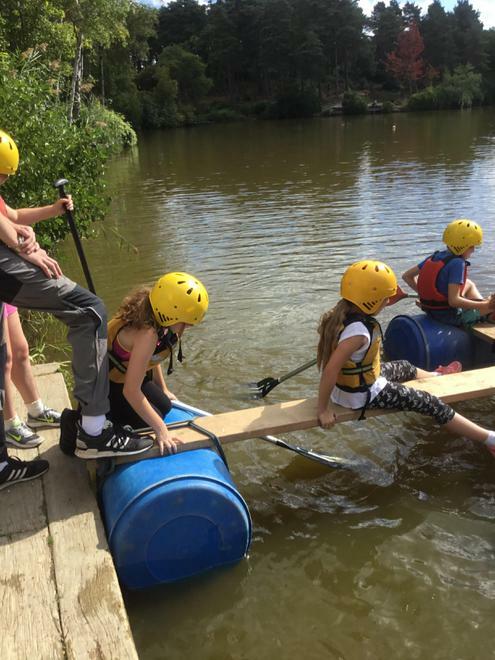 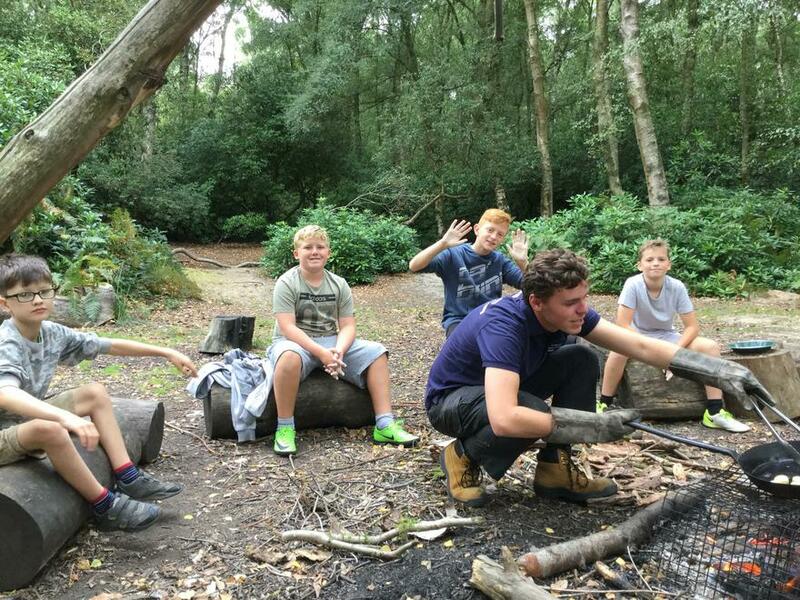 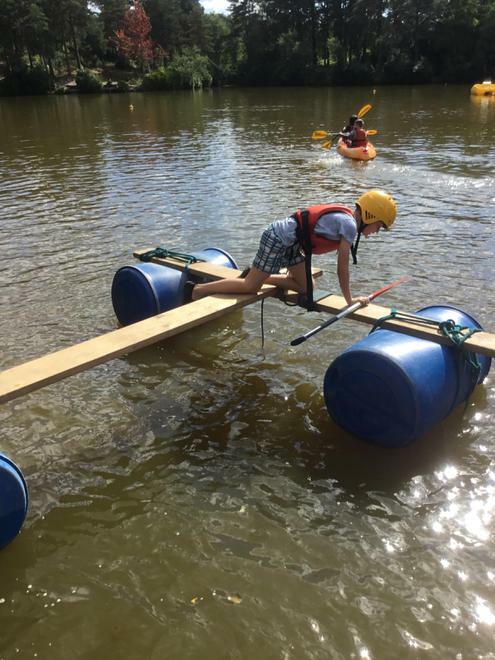 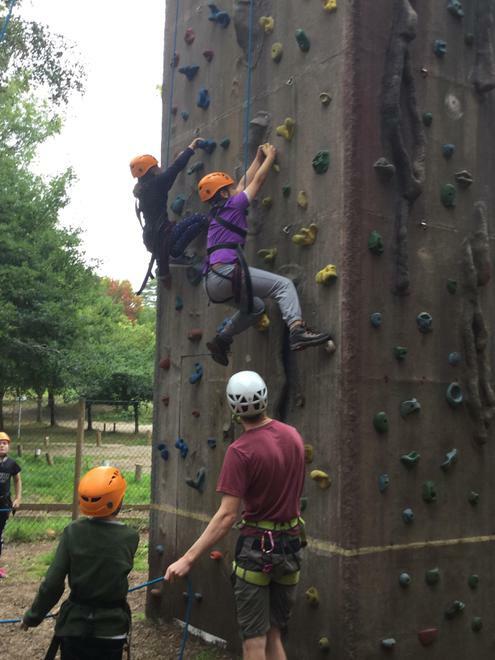 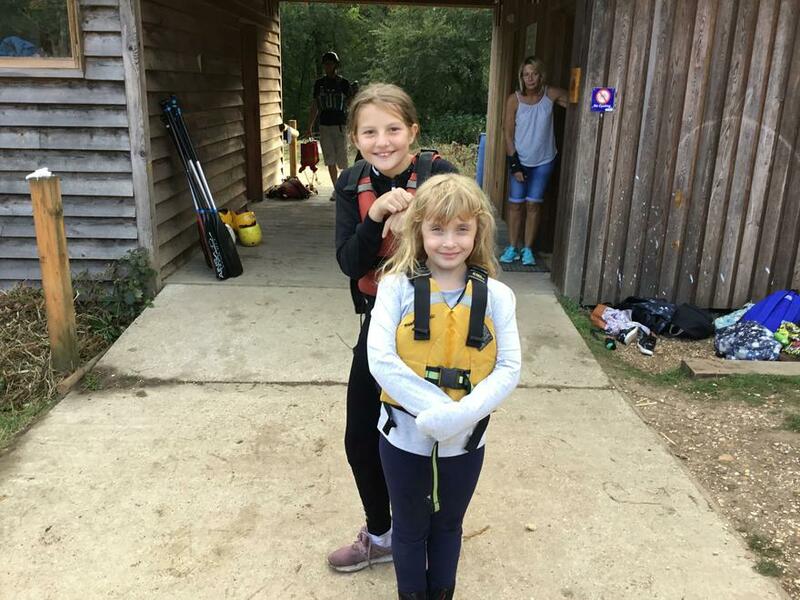 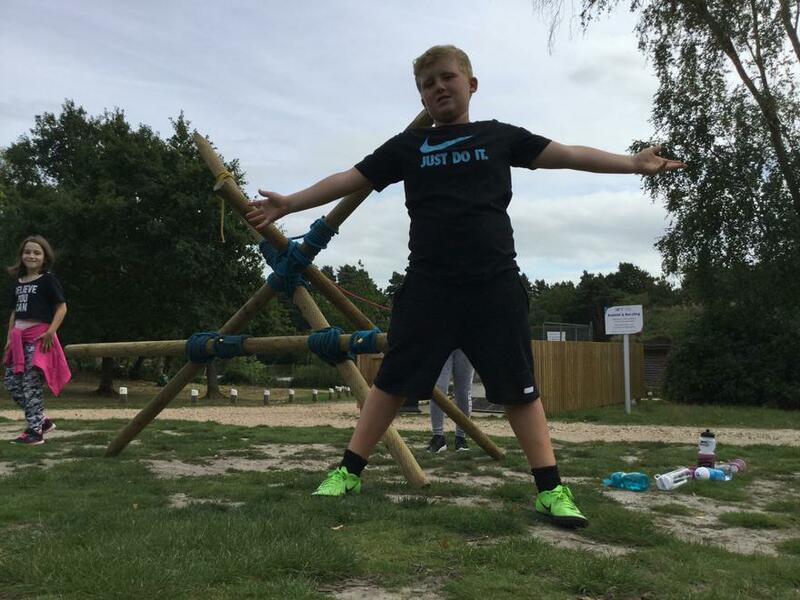 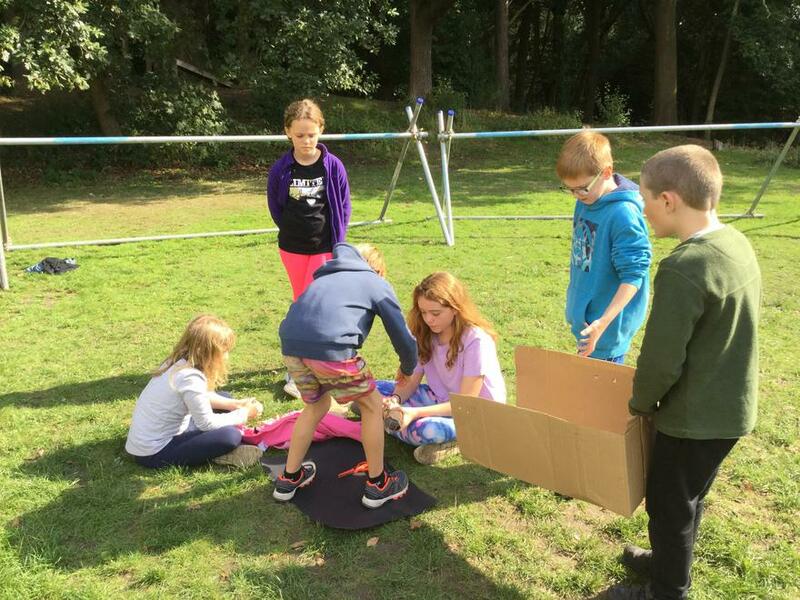 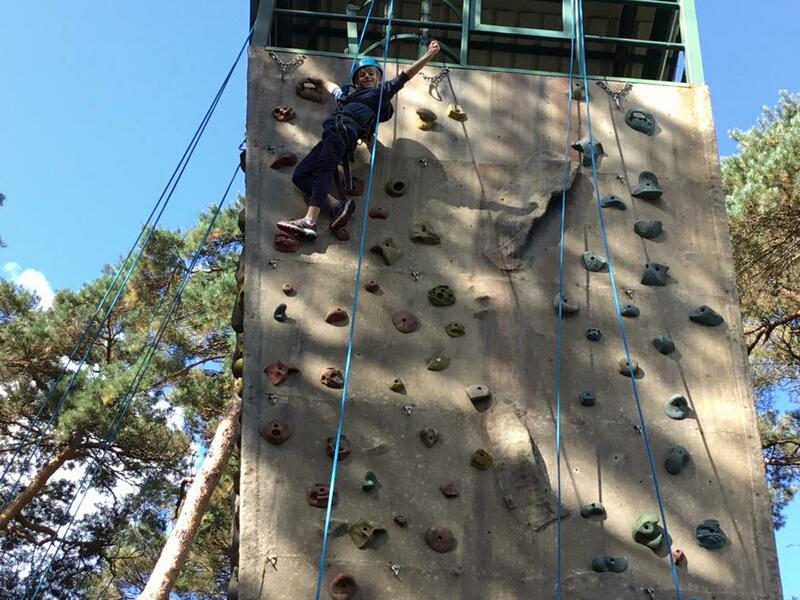 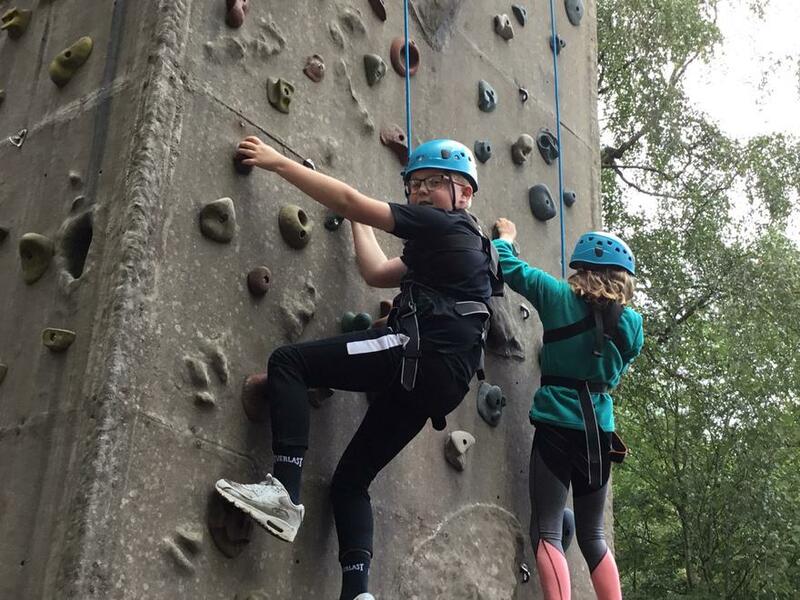 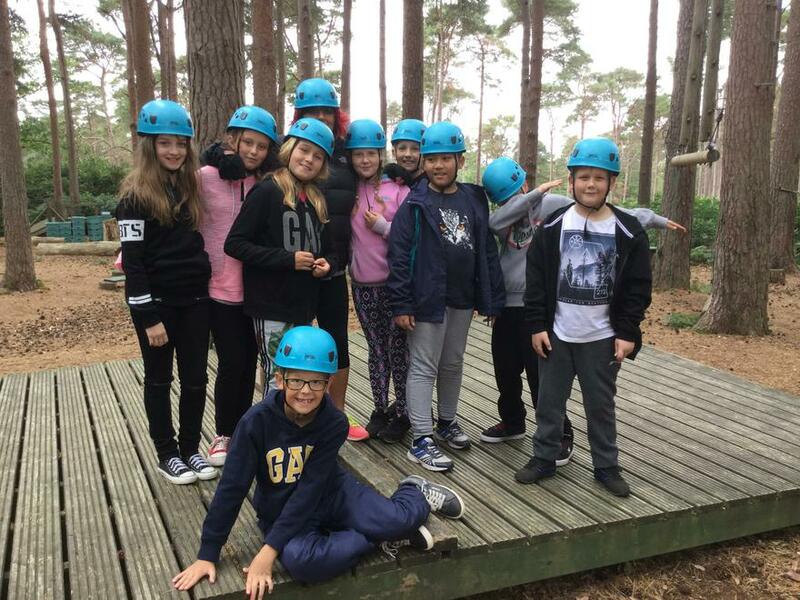 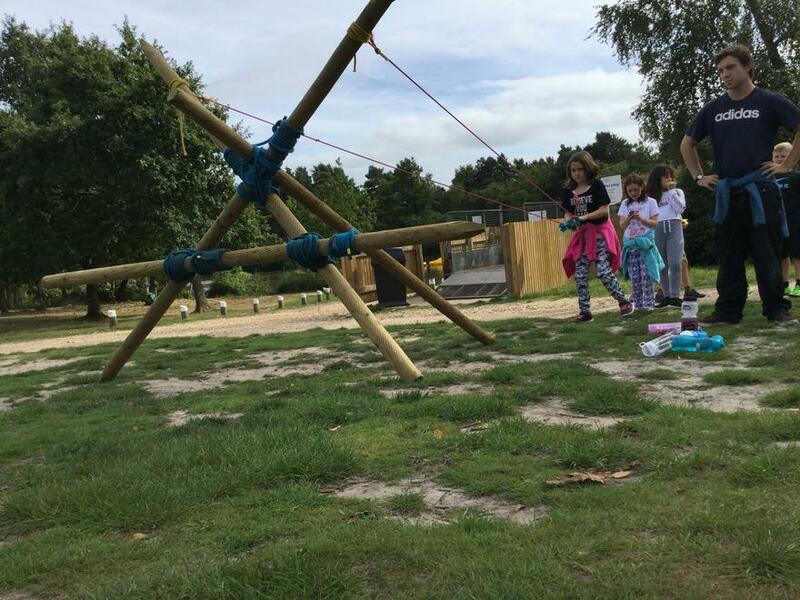 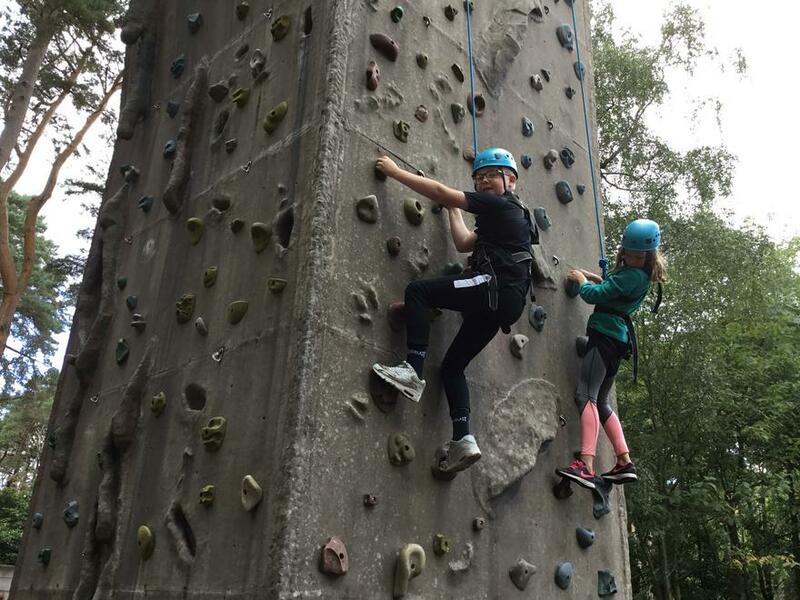 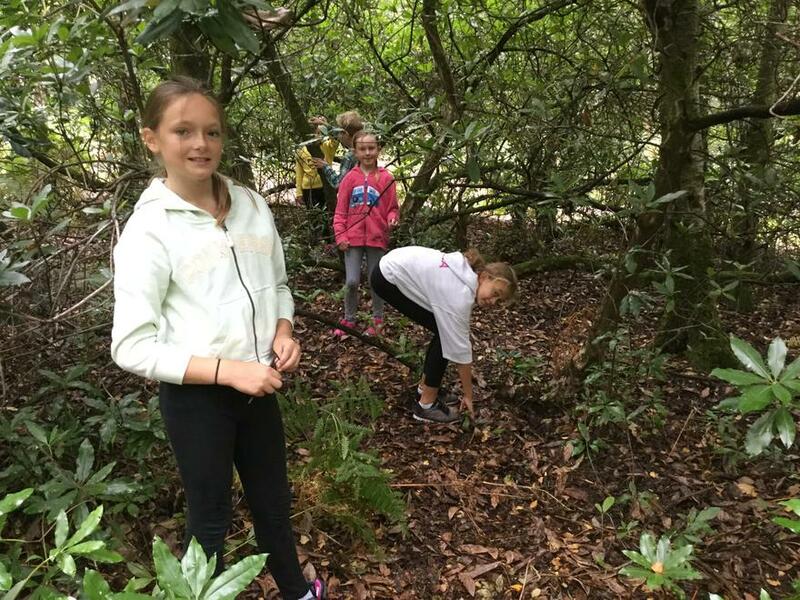 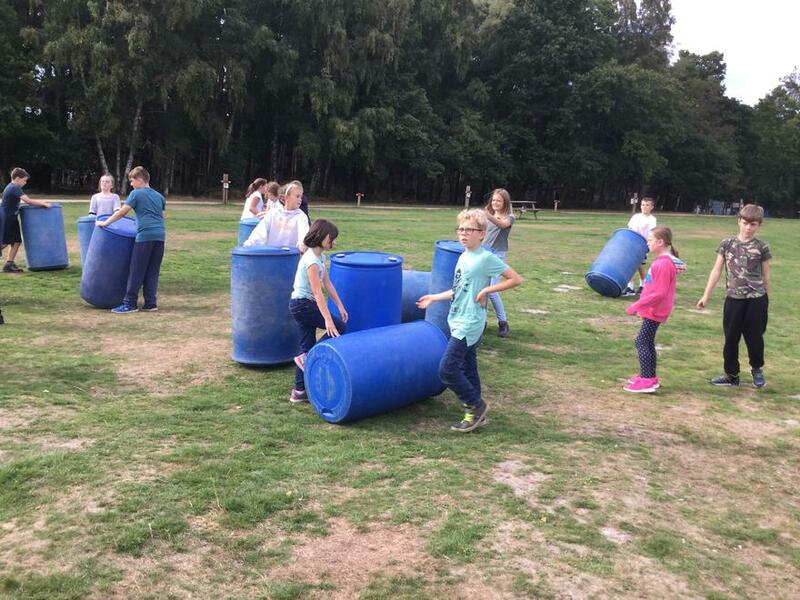 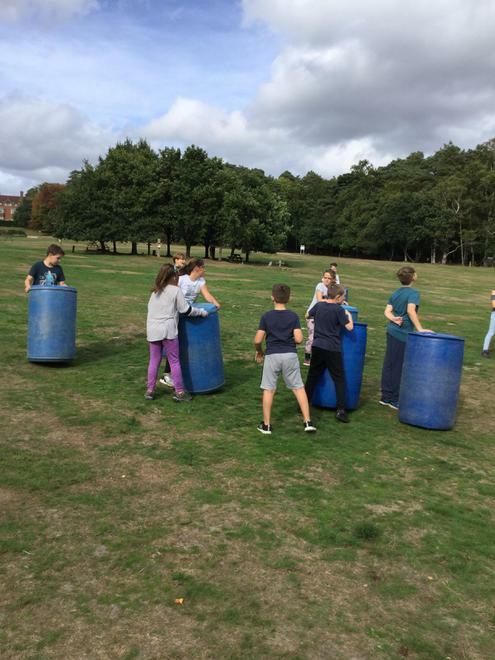 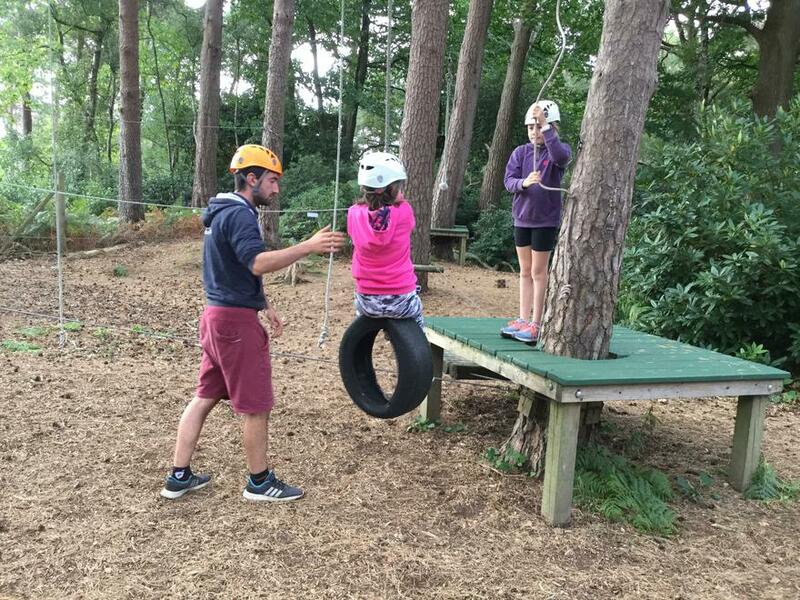 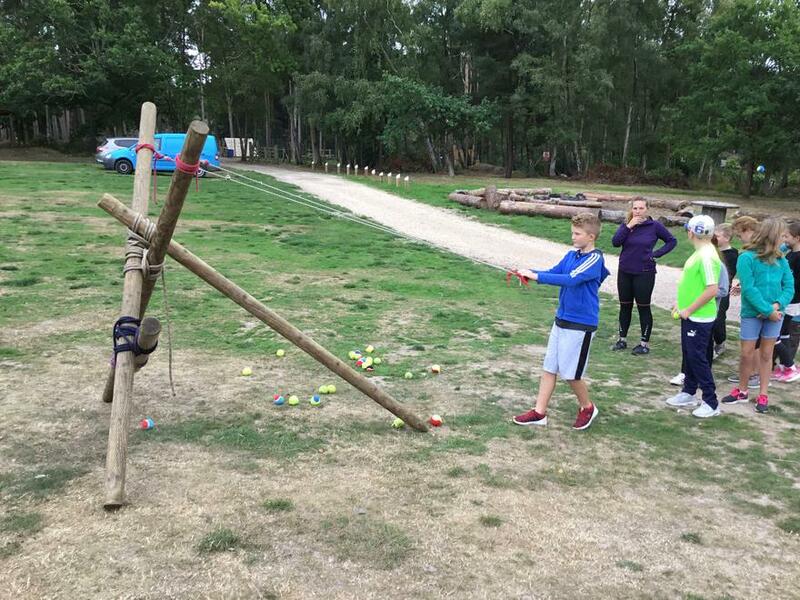 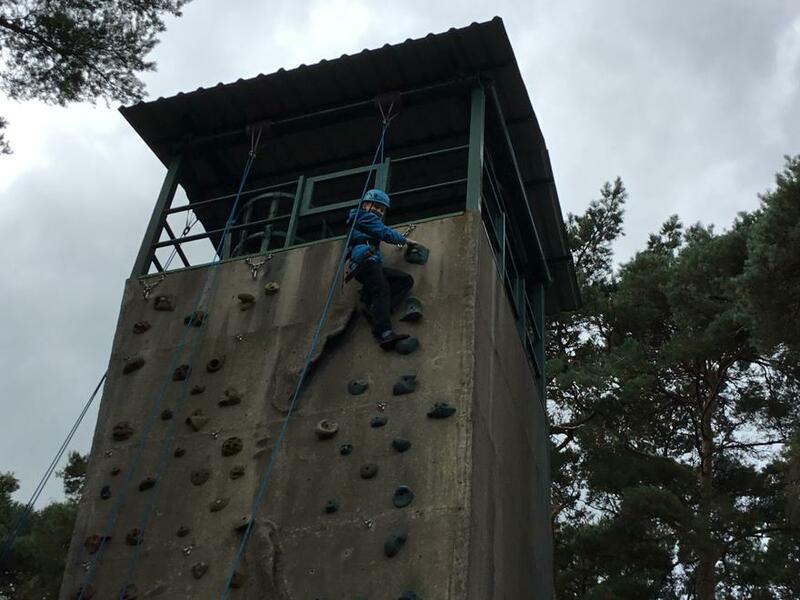 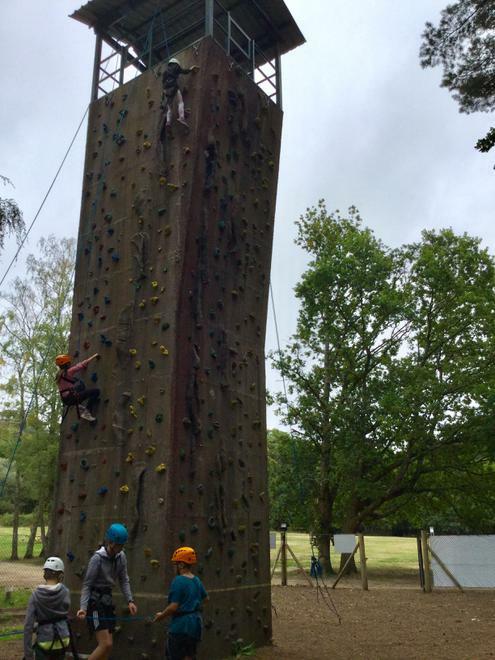 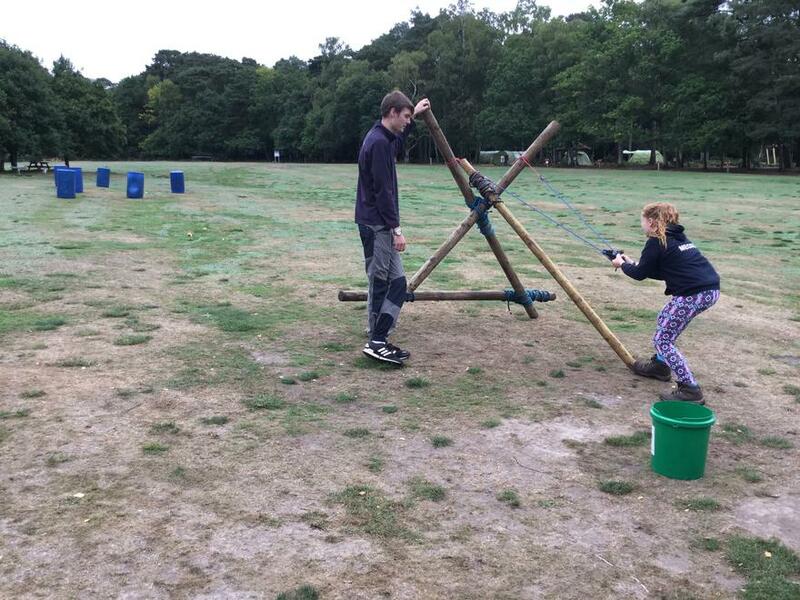 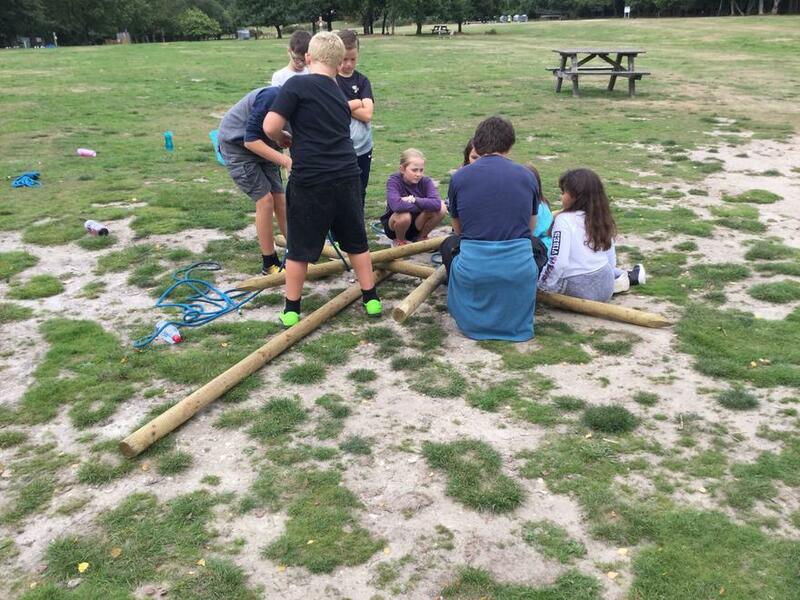 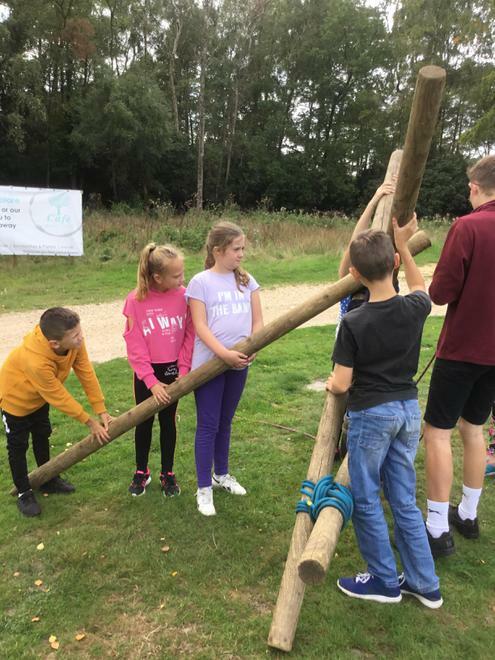 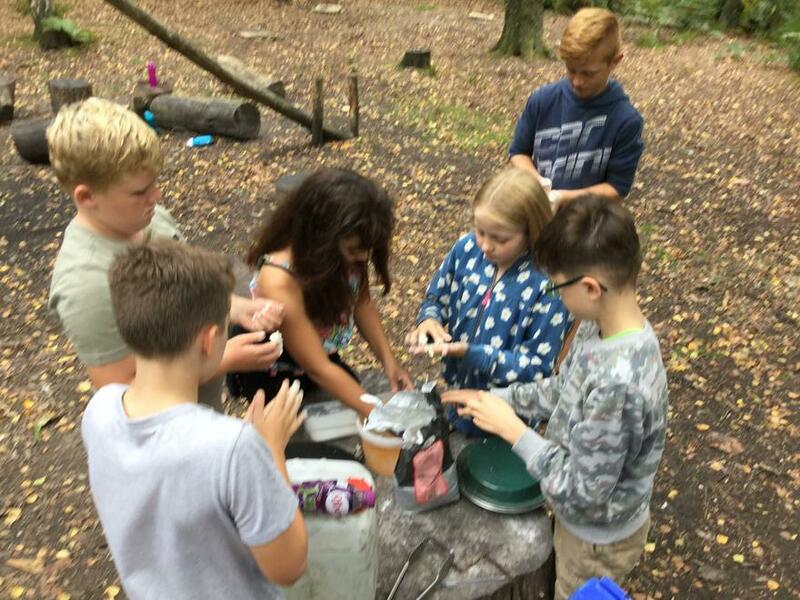 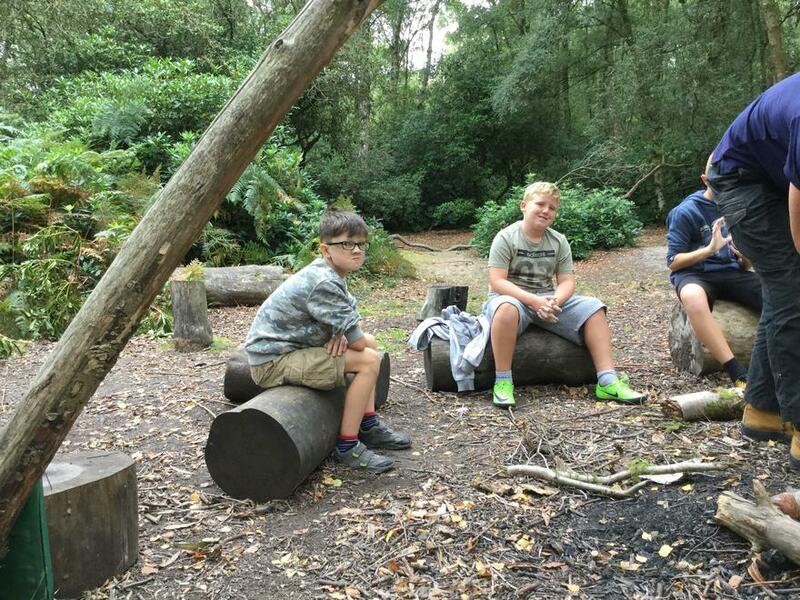 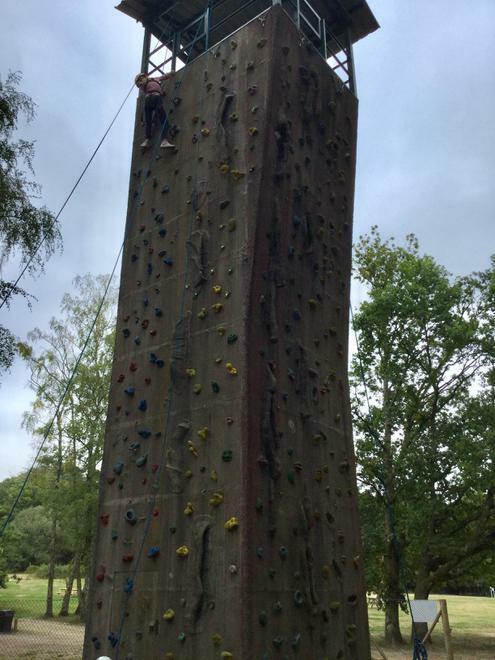 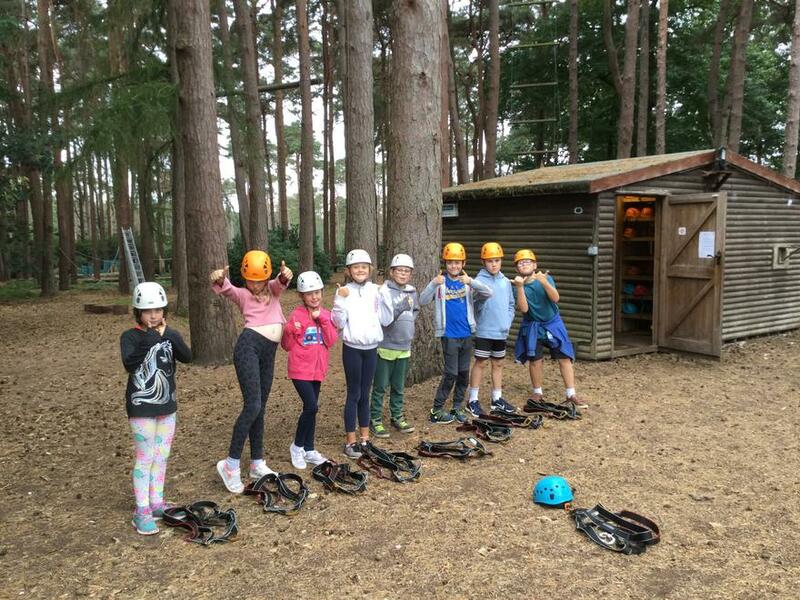 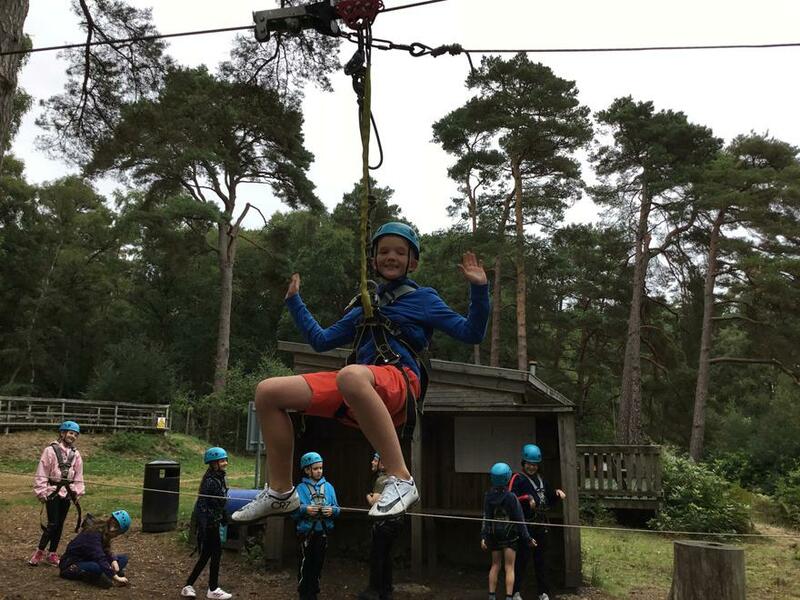 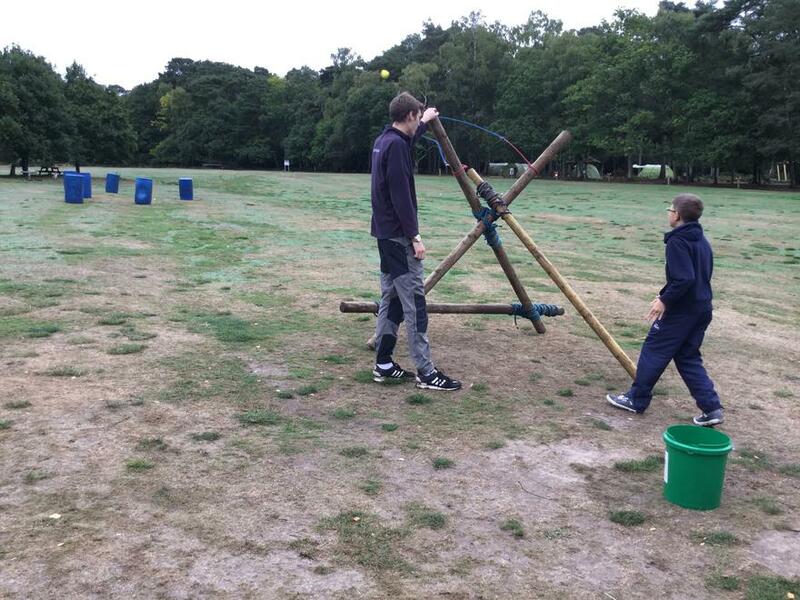 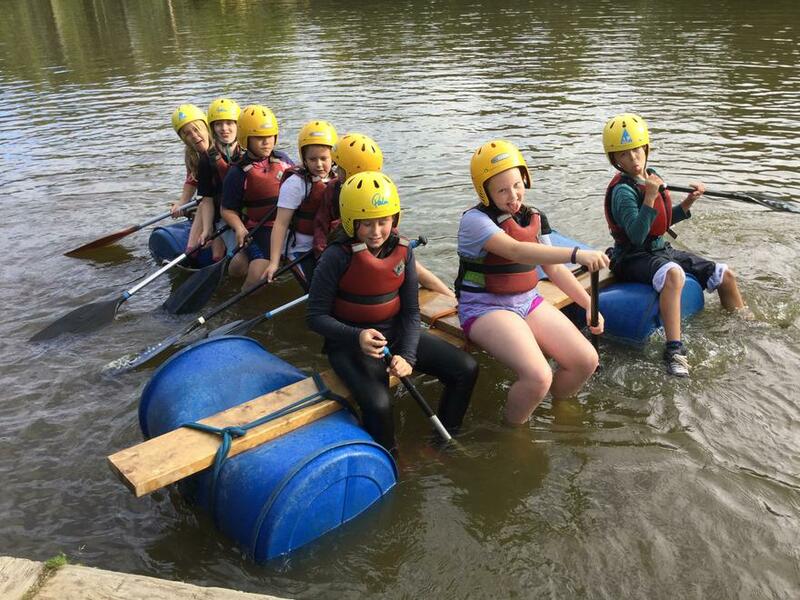 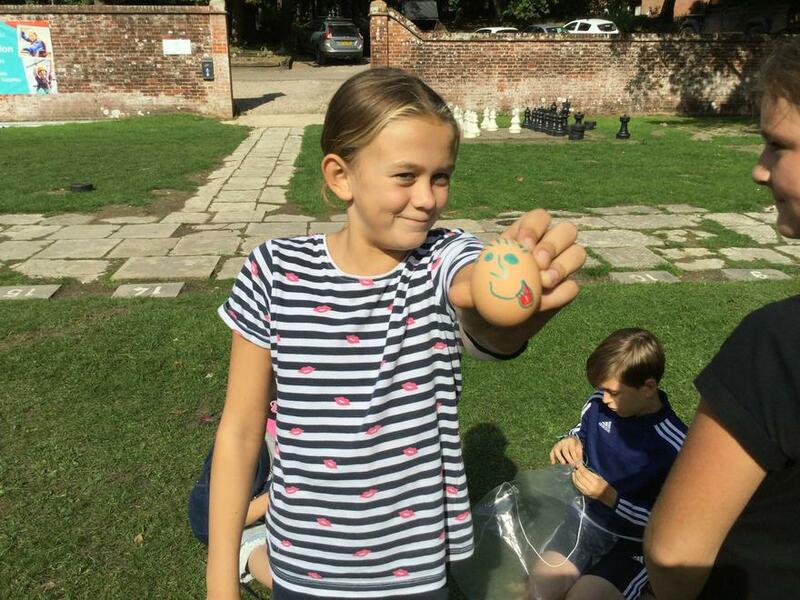 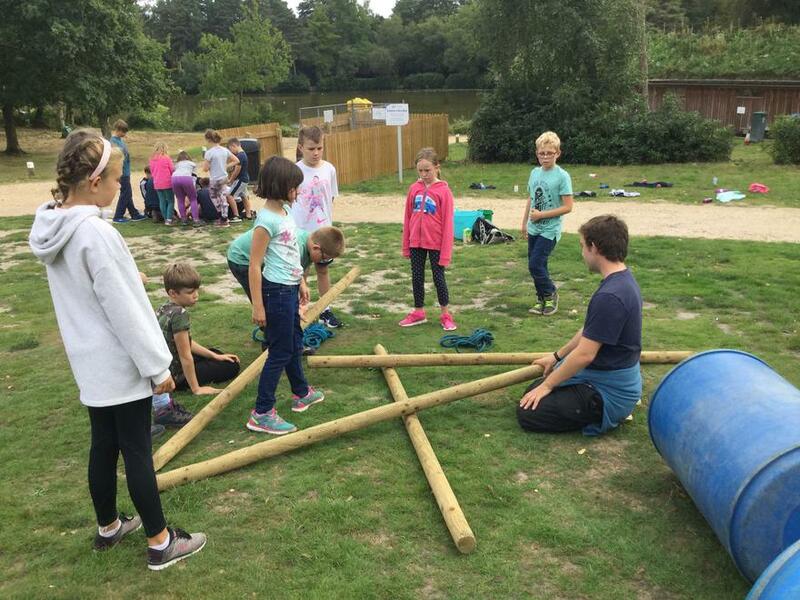 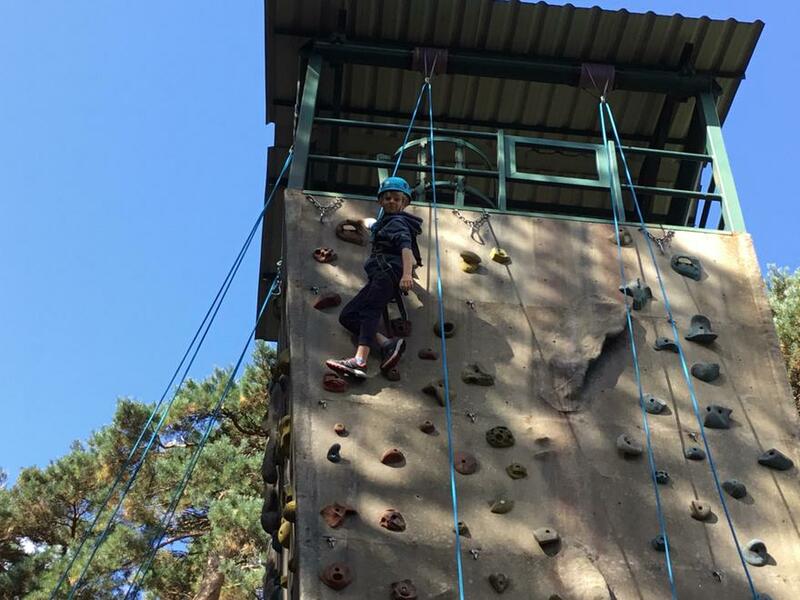 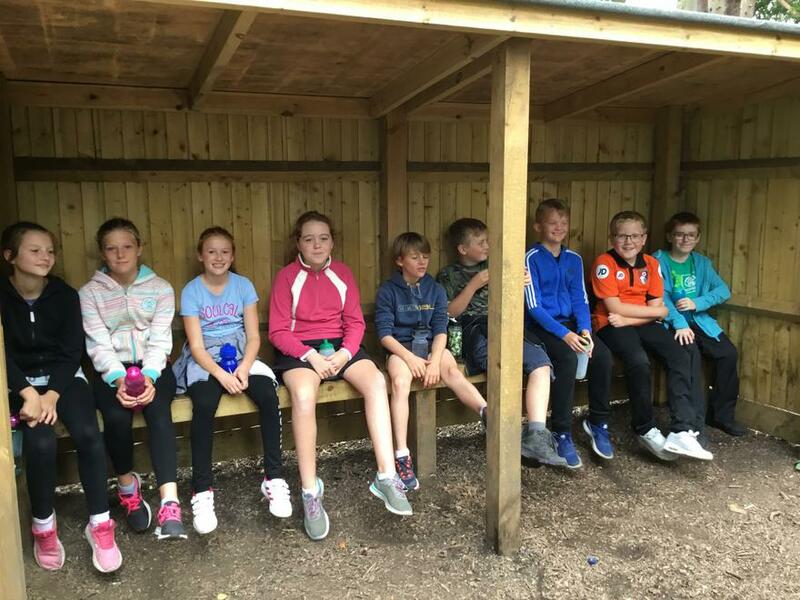 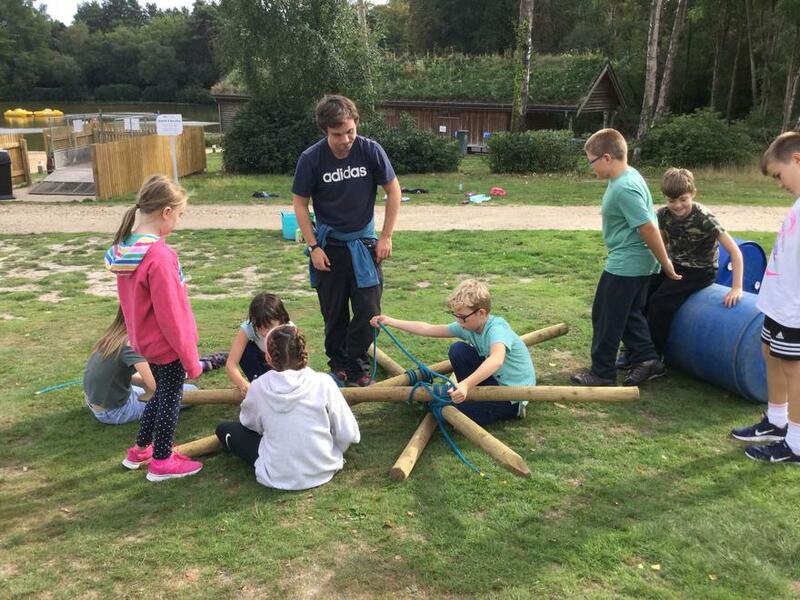 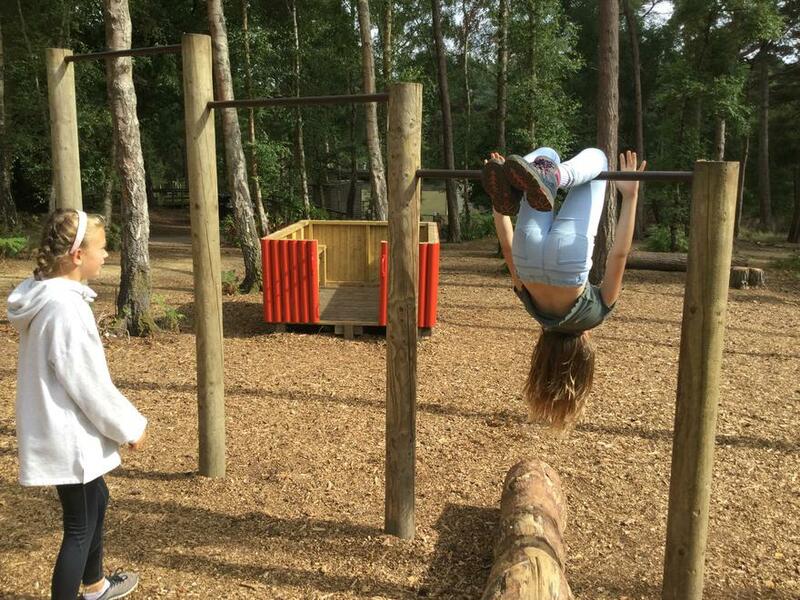 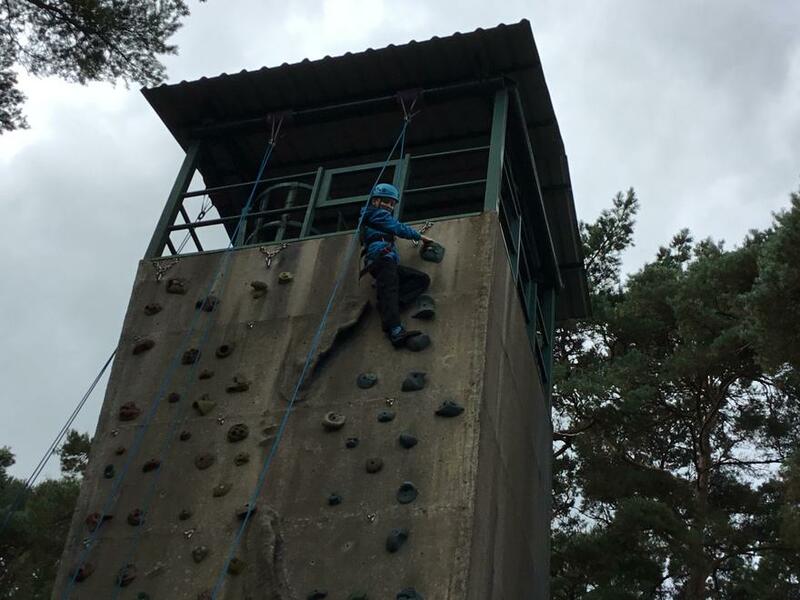 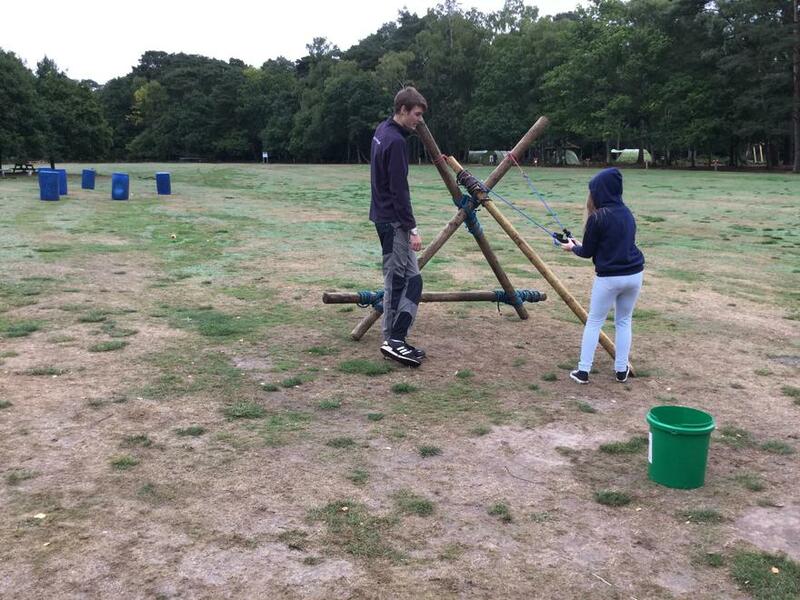 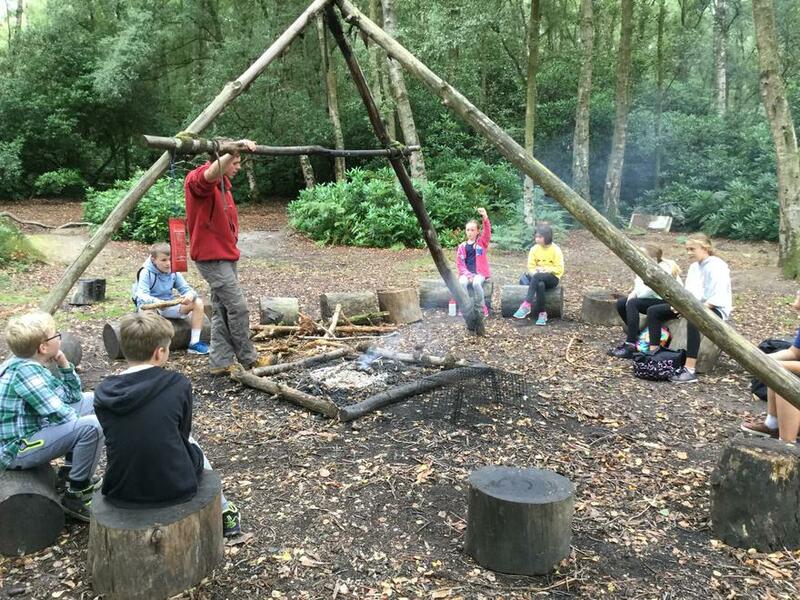 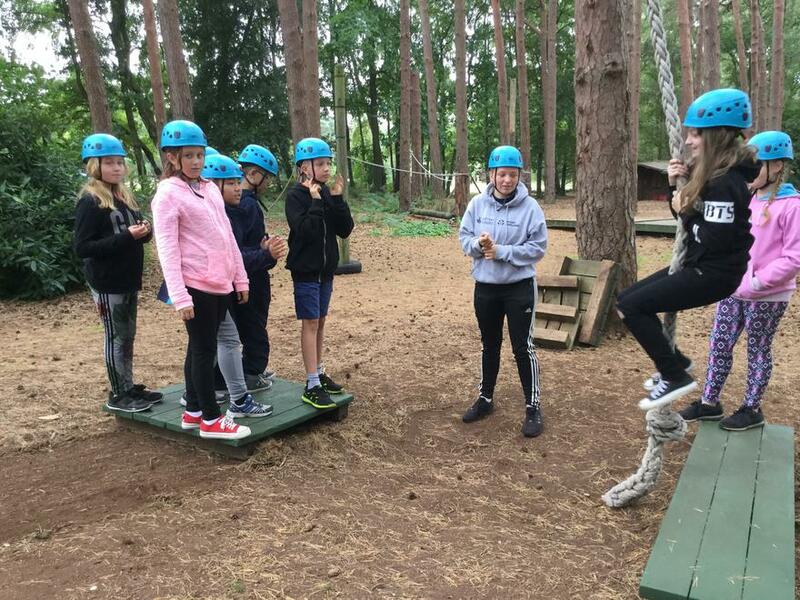 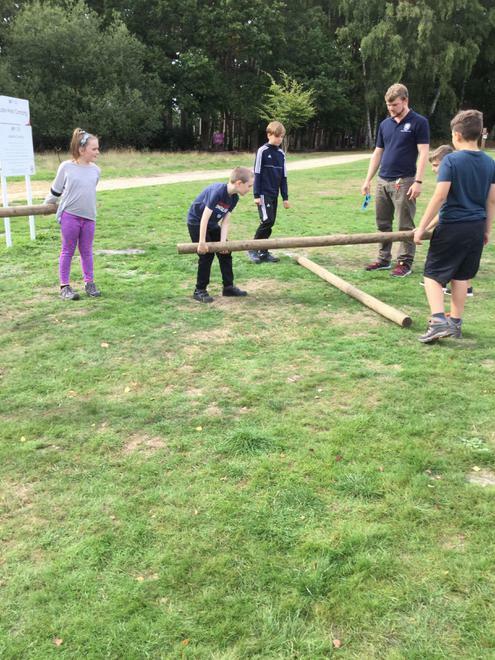 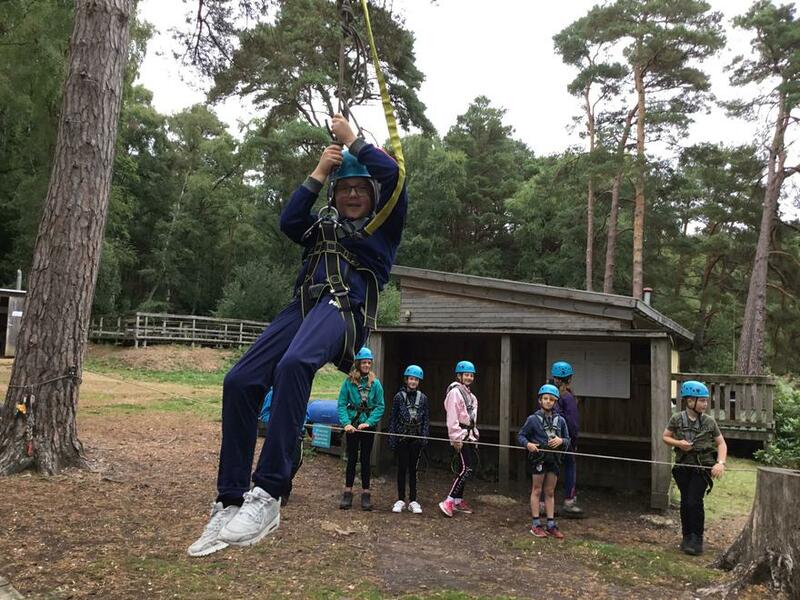 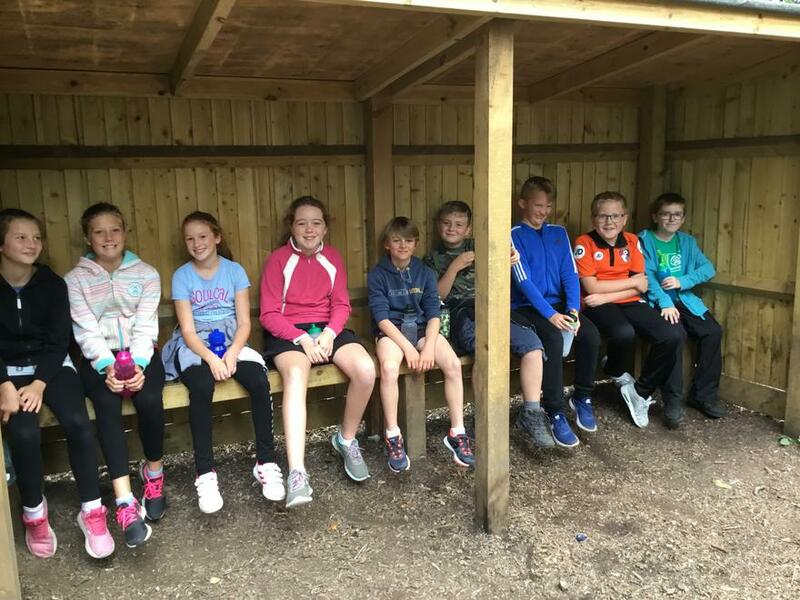 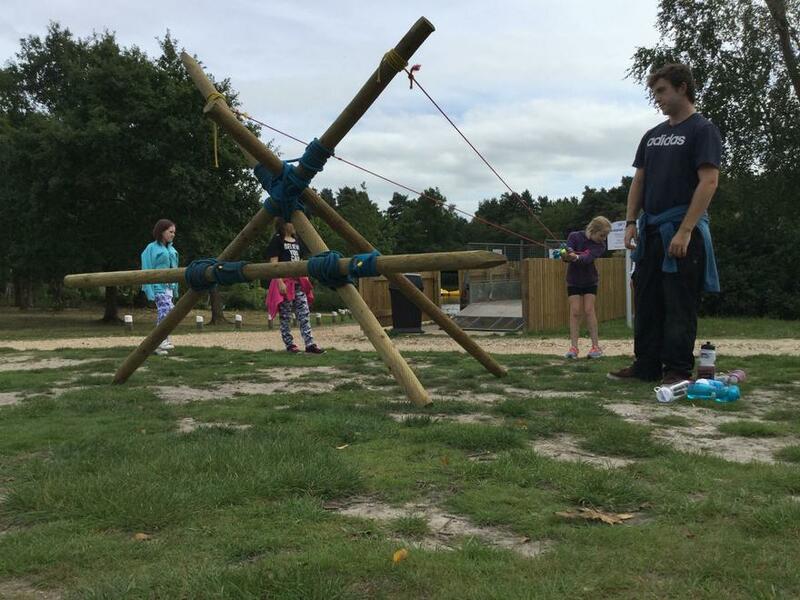 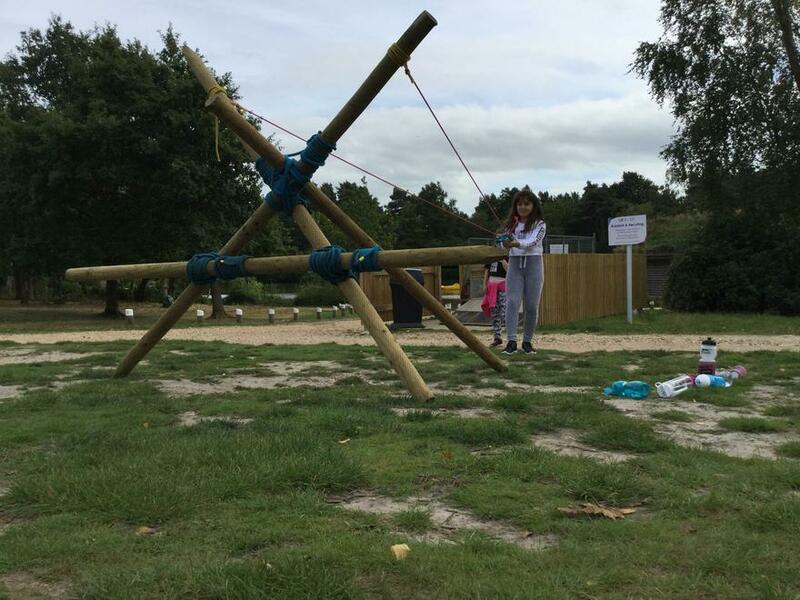 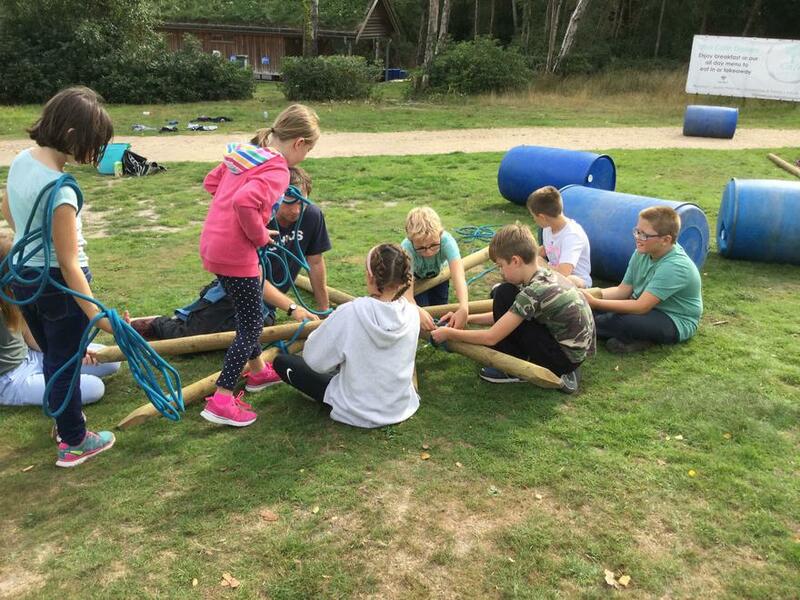 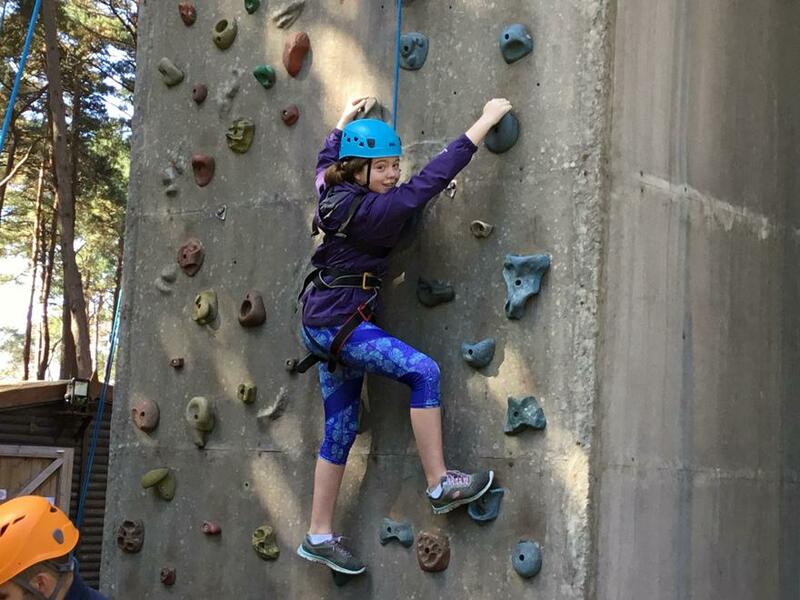 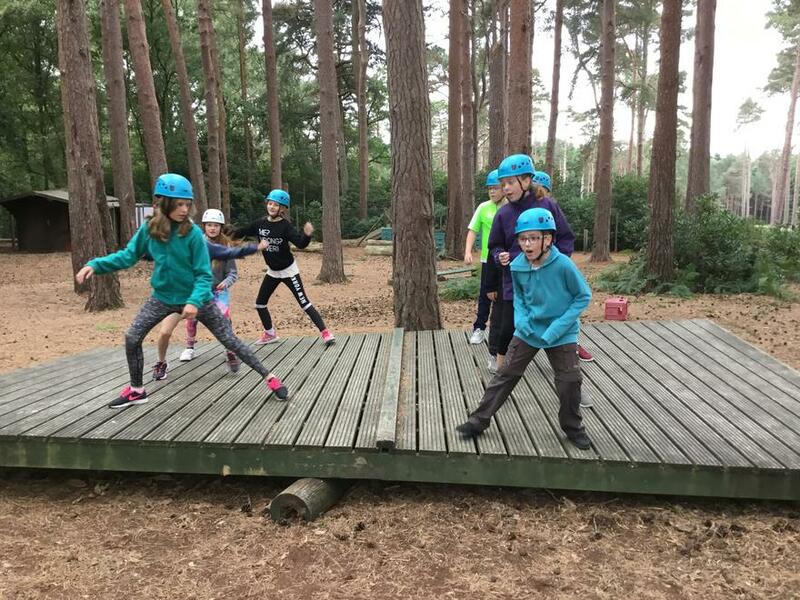 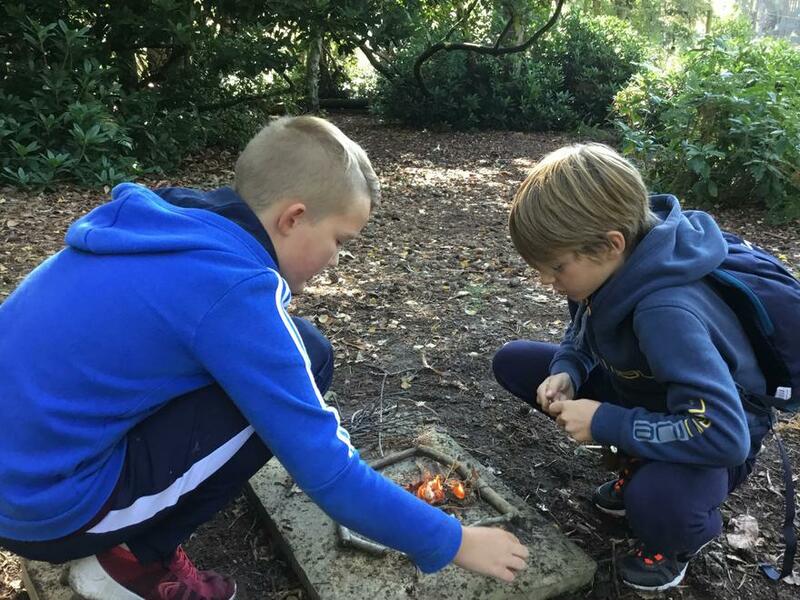 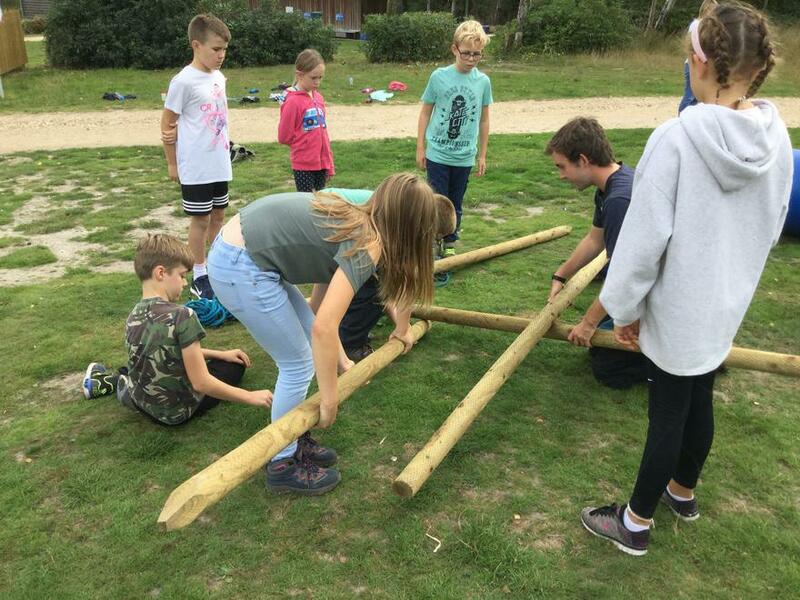 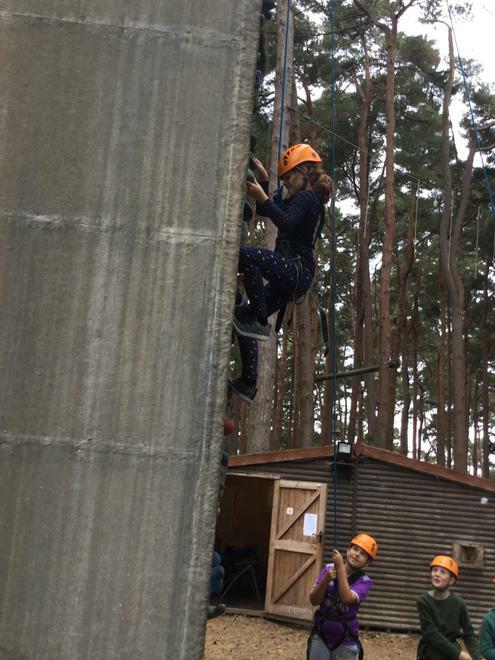 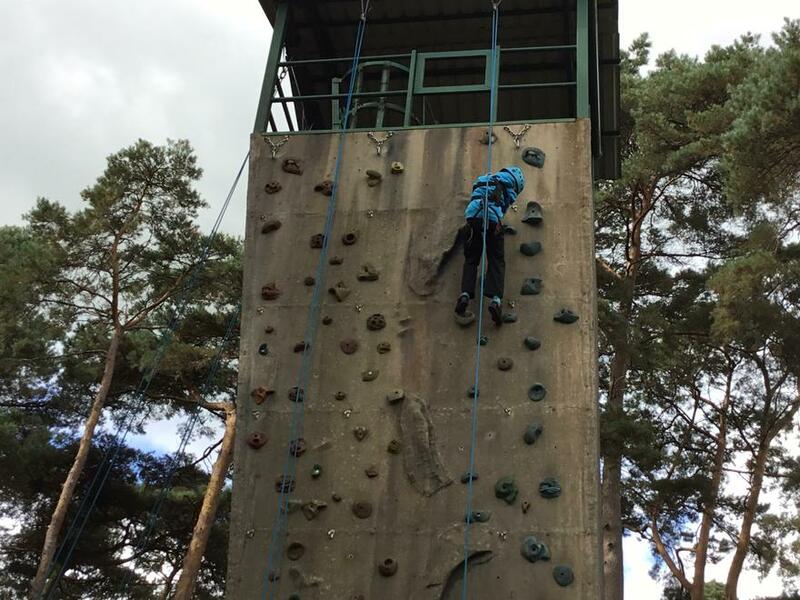 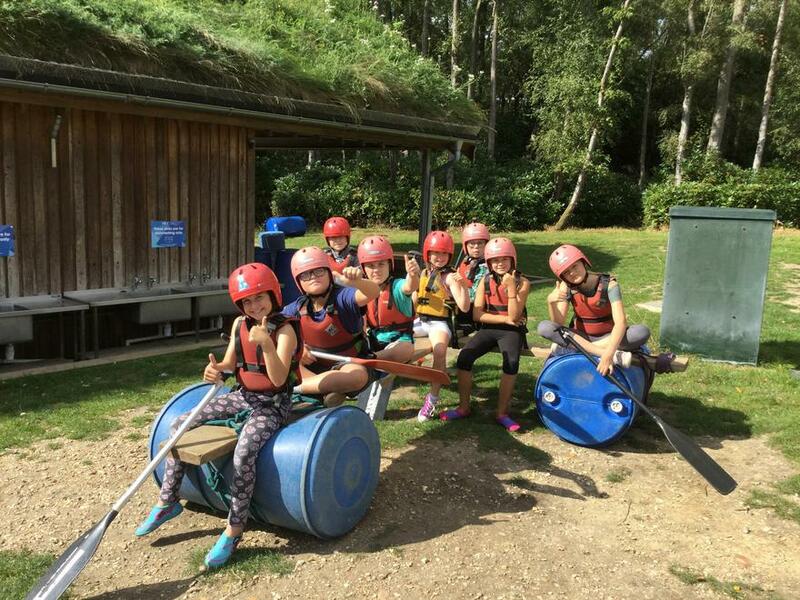 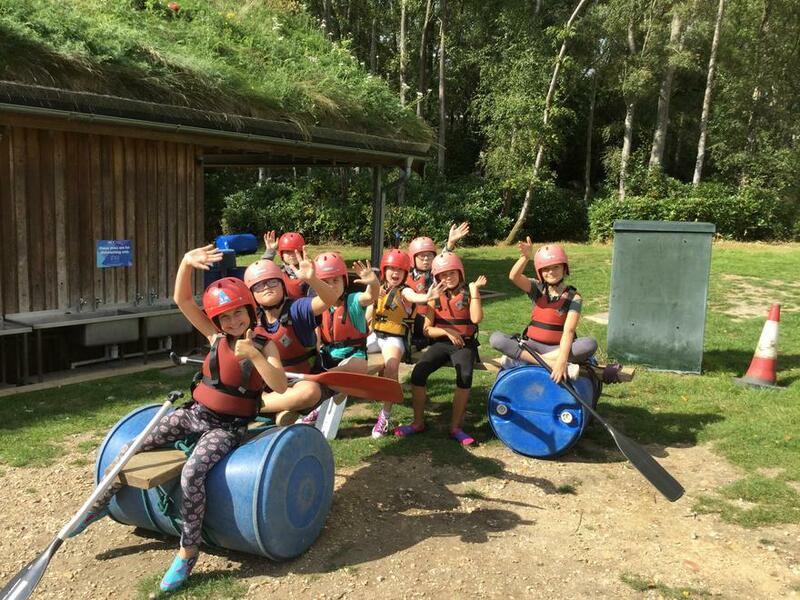 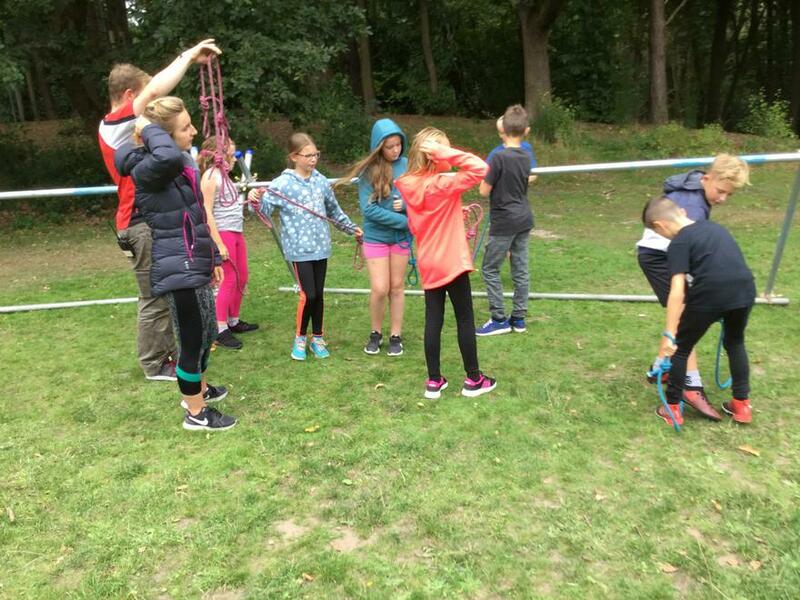 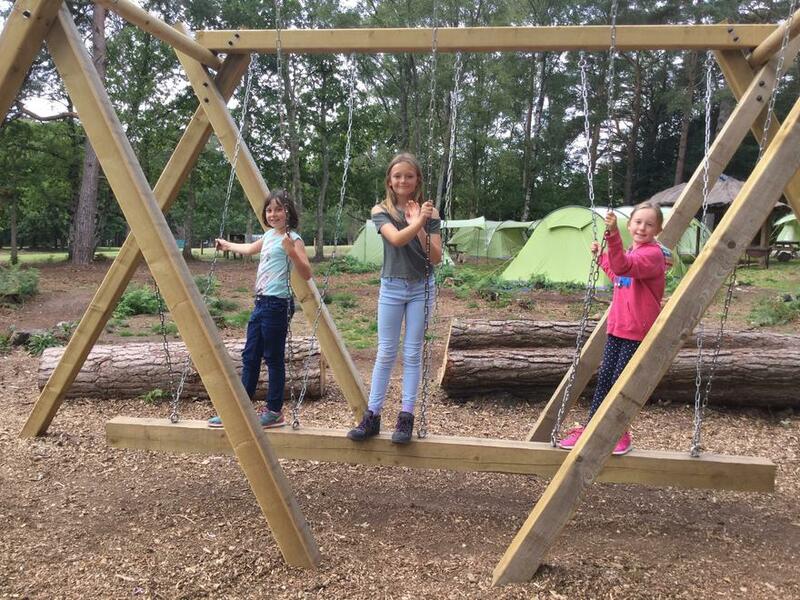 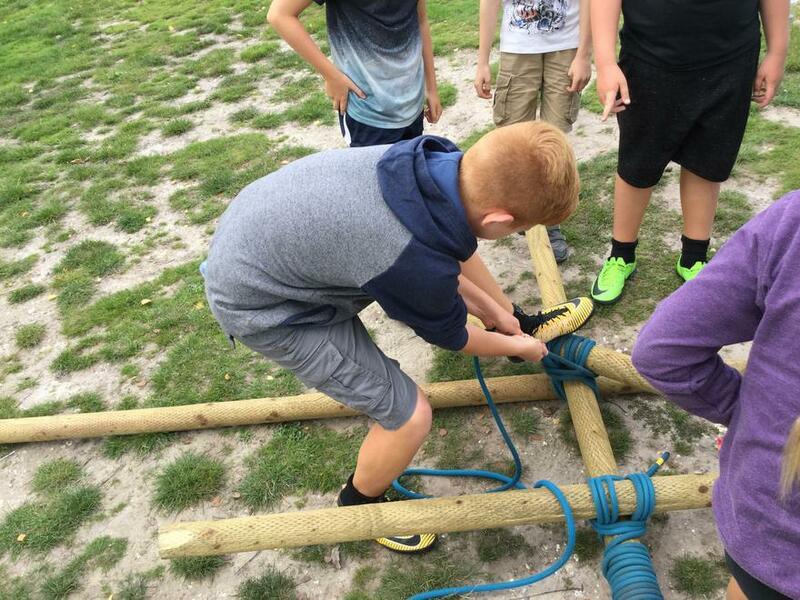 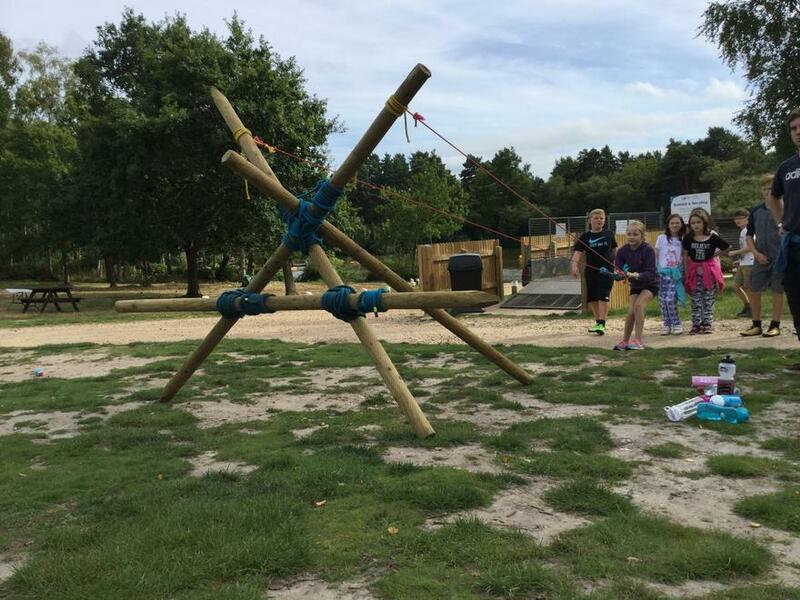 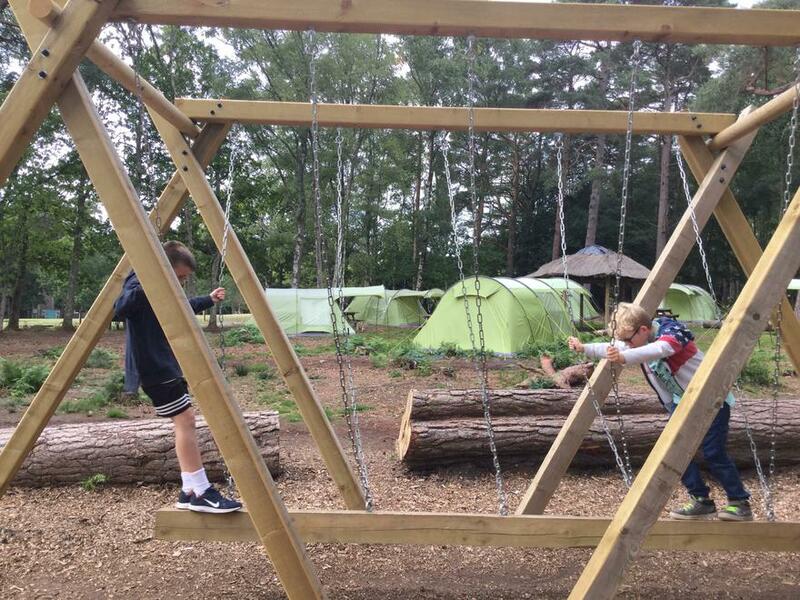 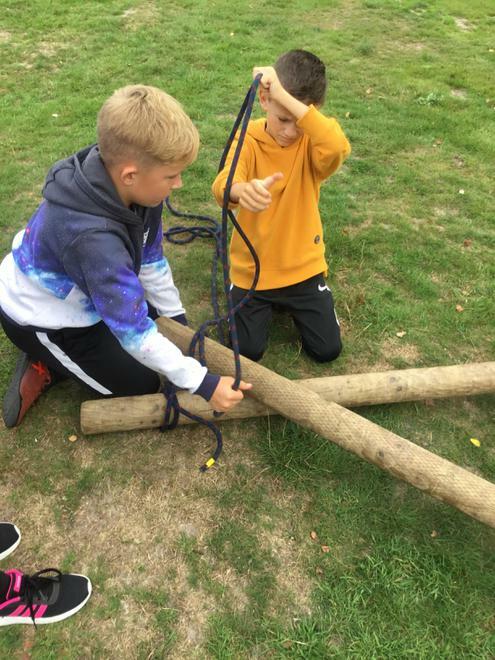 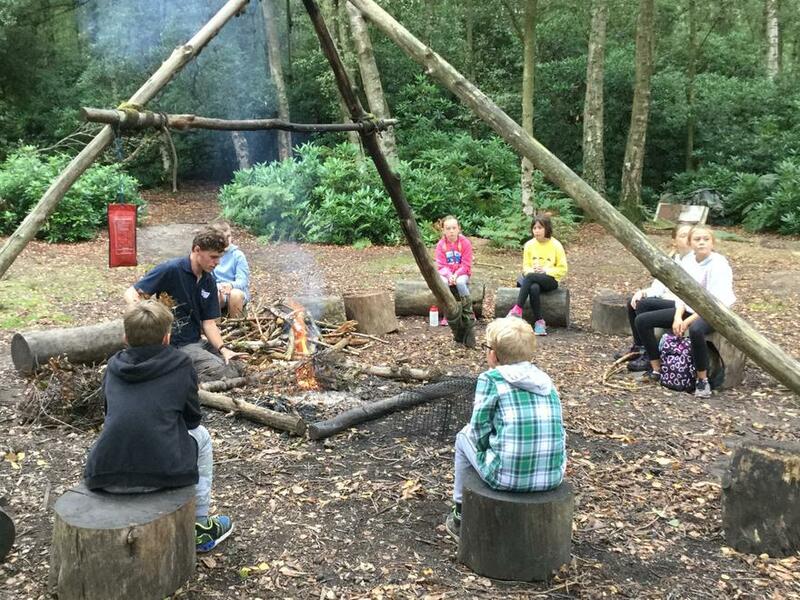 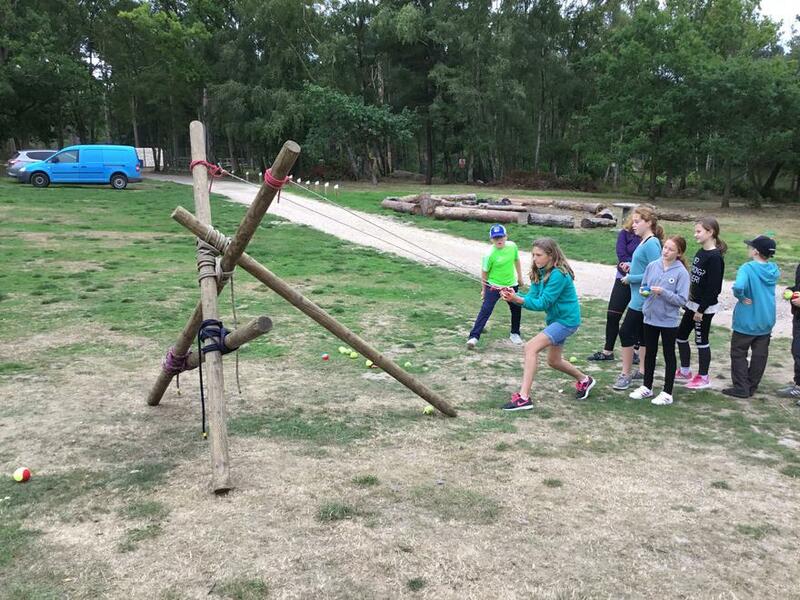 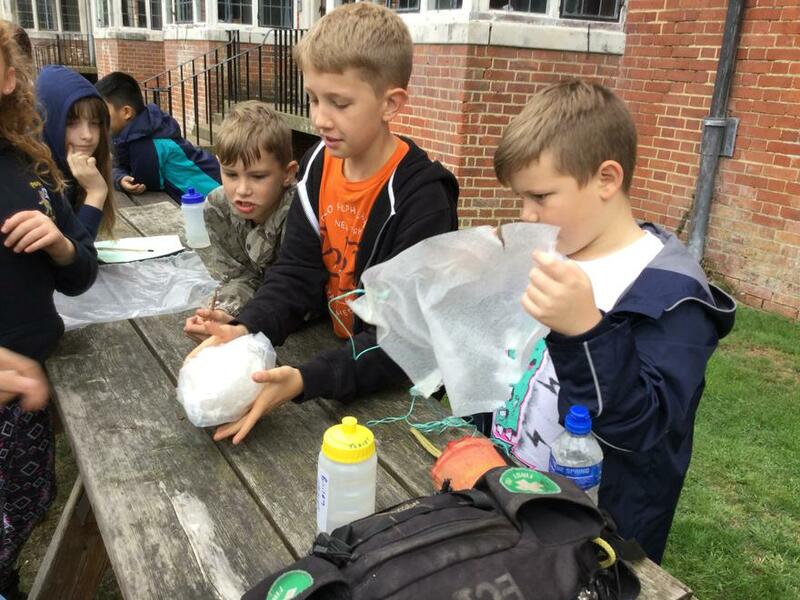 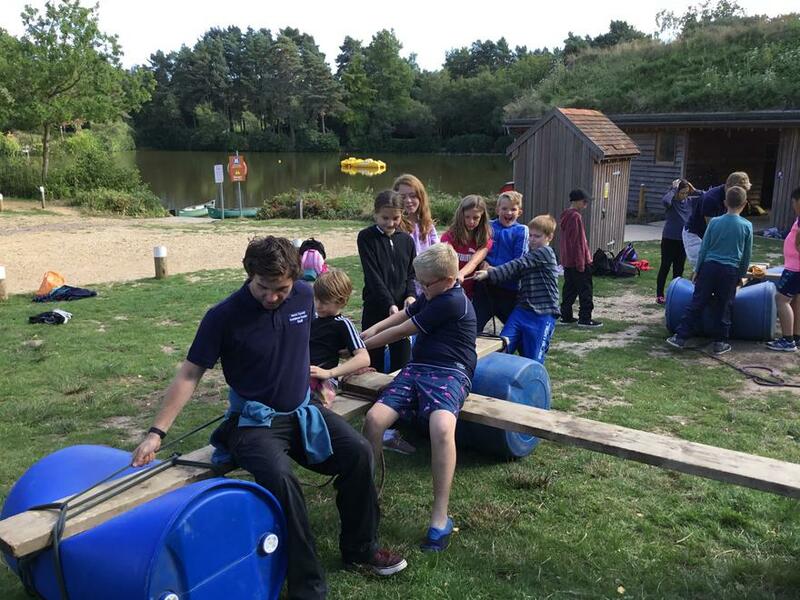 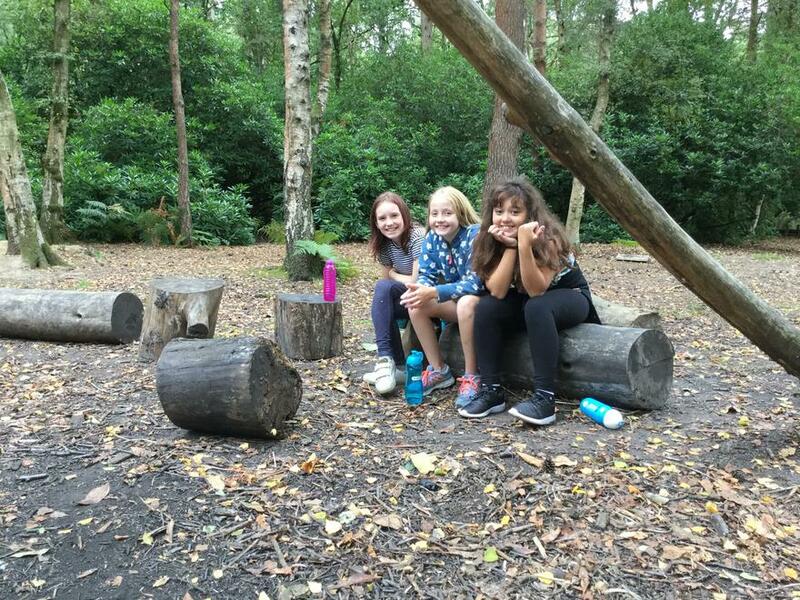 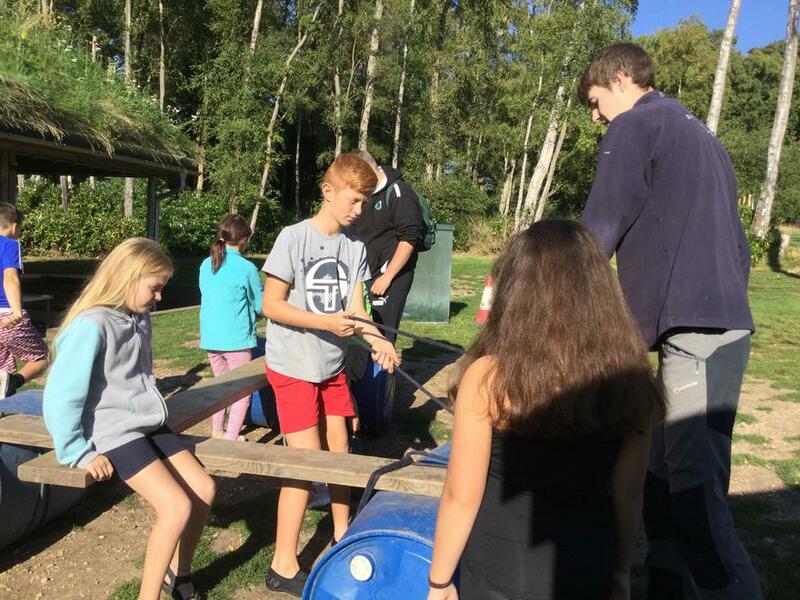 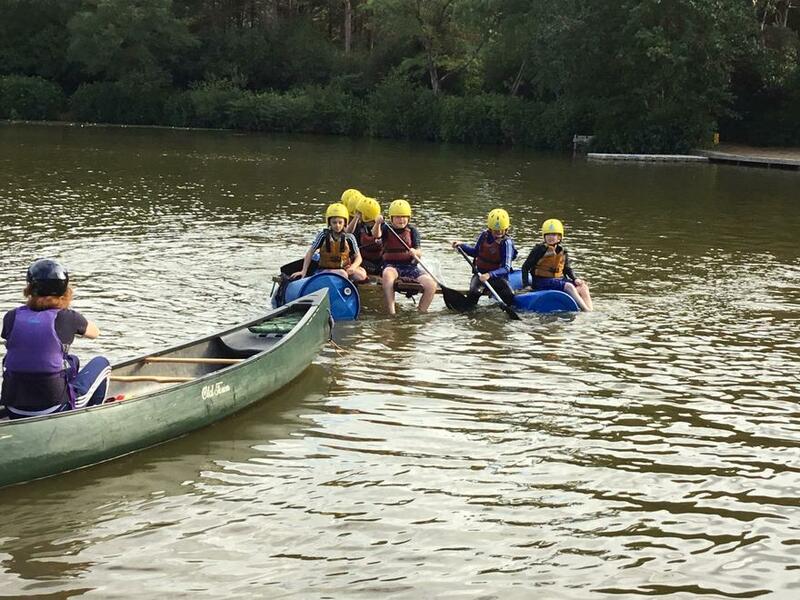 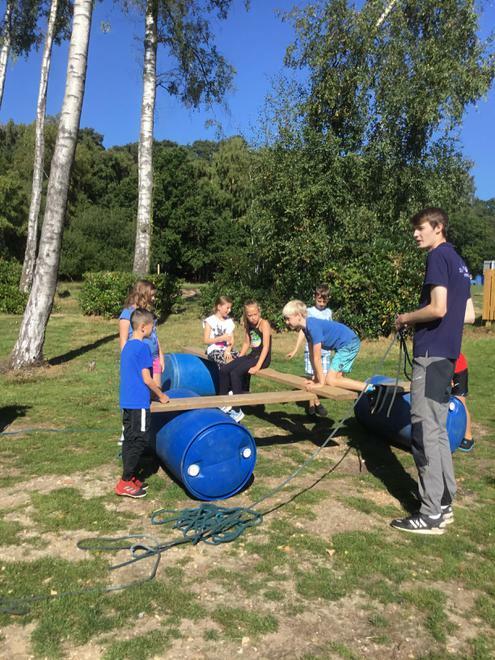 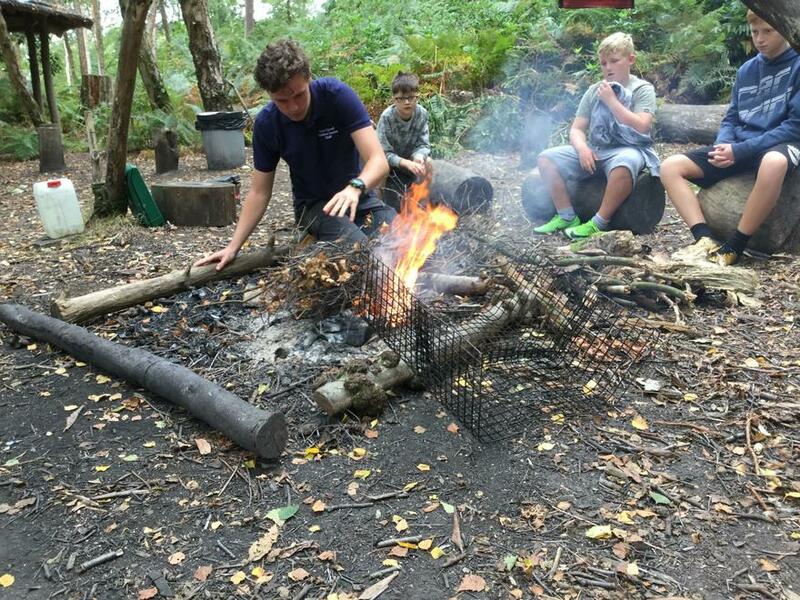 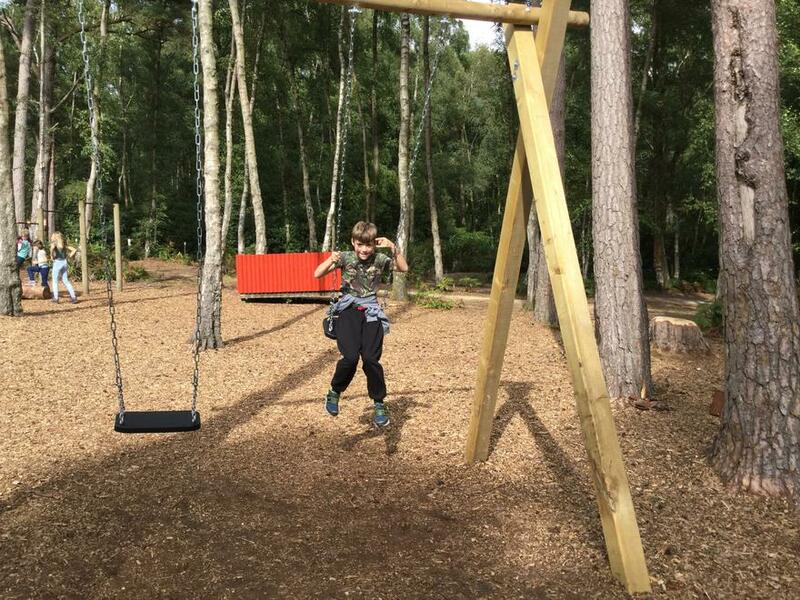 The children have enjoyed activities such as bushcraft, climbing, egg drop and raft building today. 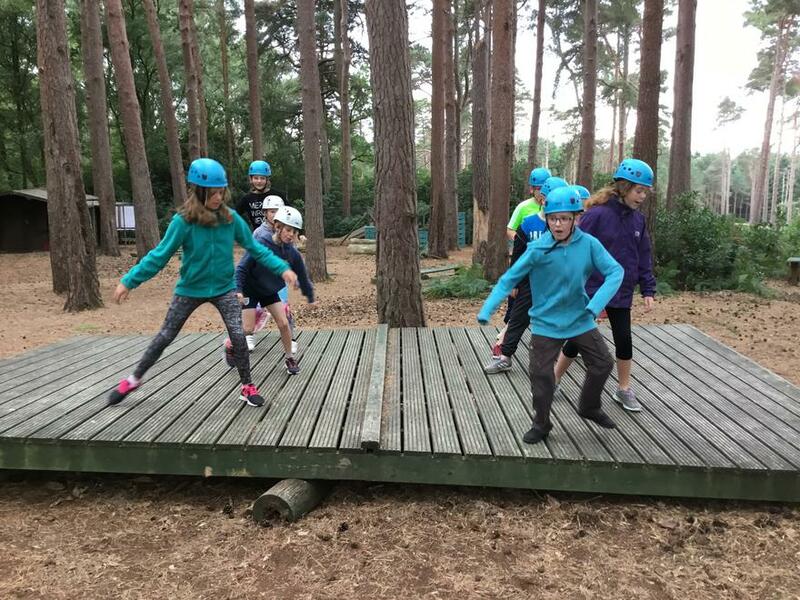 To finish our day, the children have danced the night away at the disco before heading to their beds. 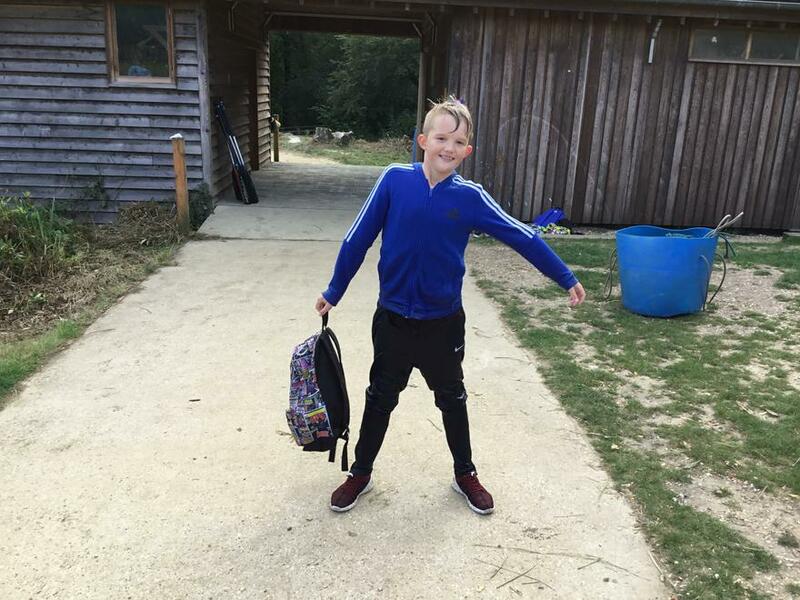 Let's hope your child returns home to you tomorrow with the same clothes and shoes that they helped you pack at the start of the week.